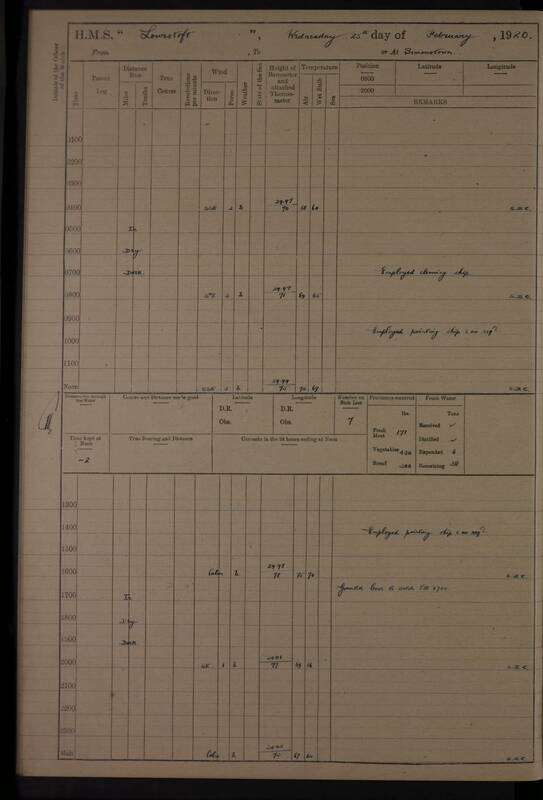 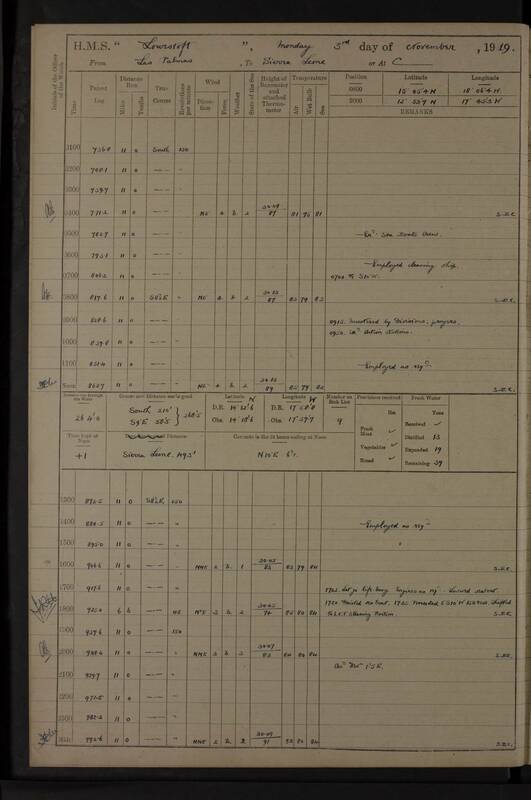 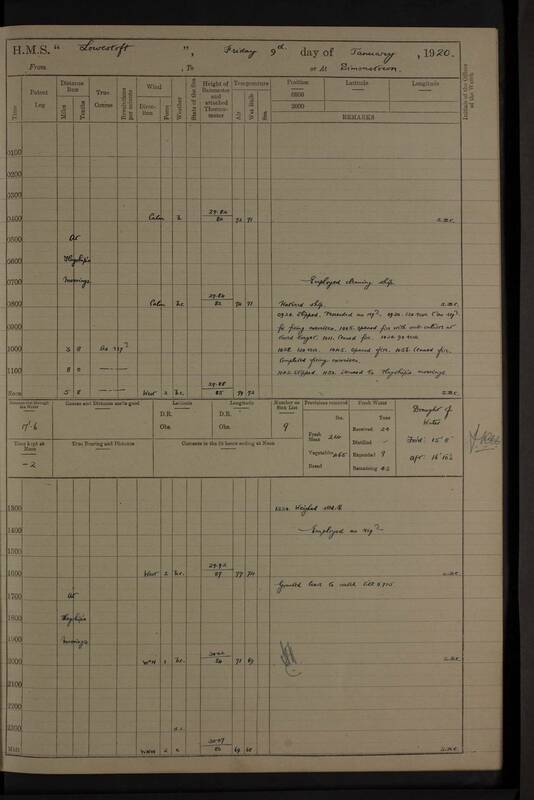 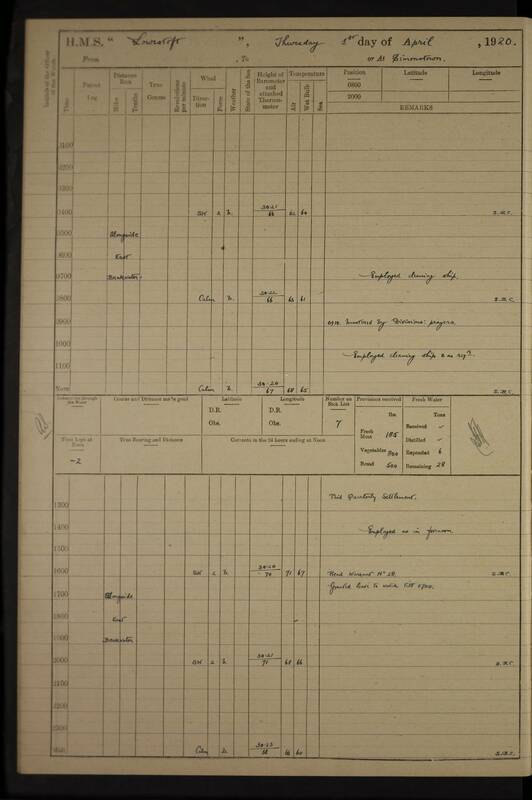 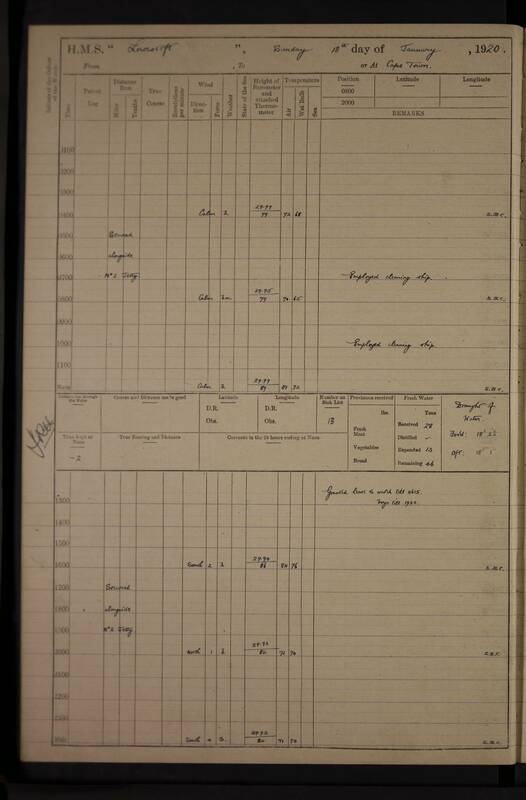 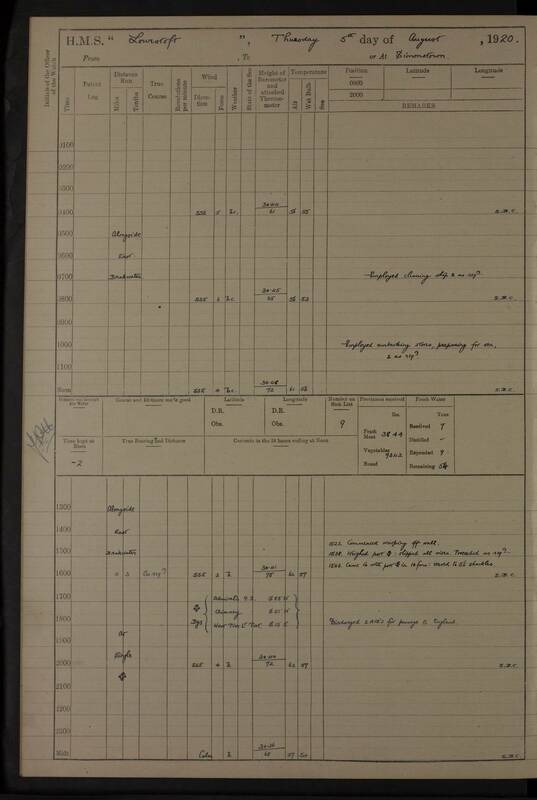 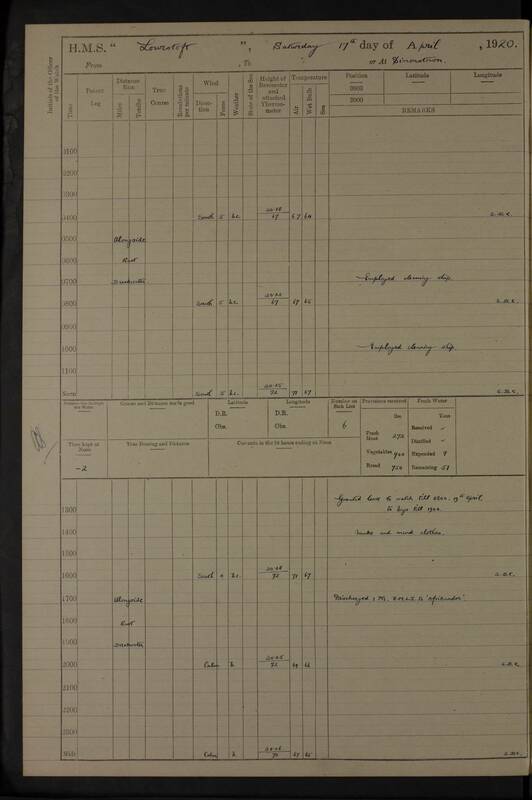 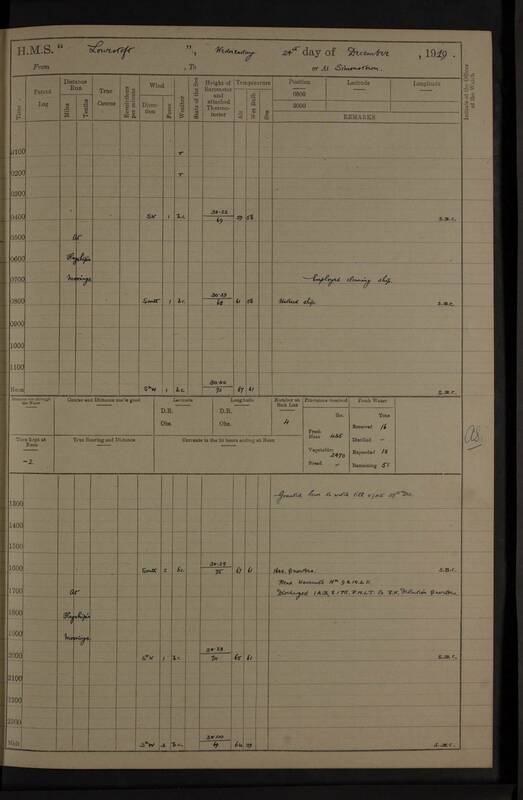 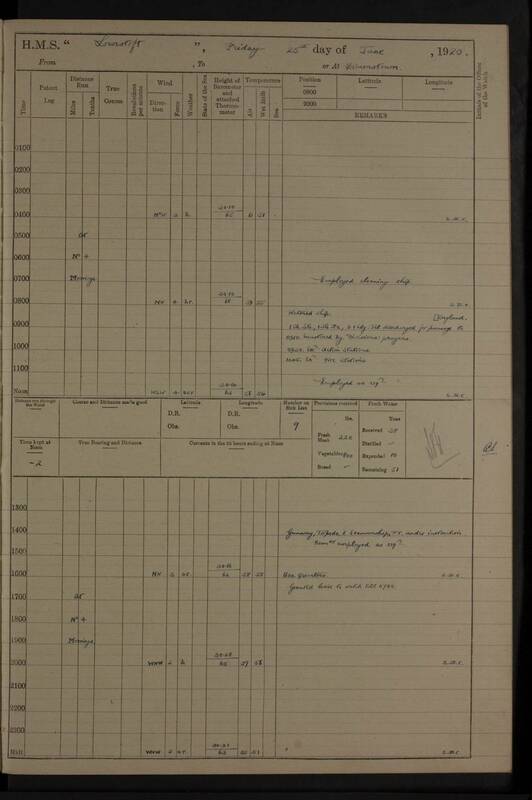 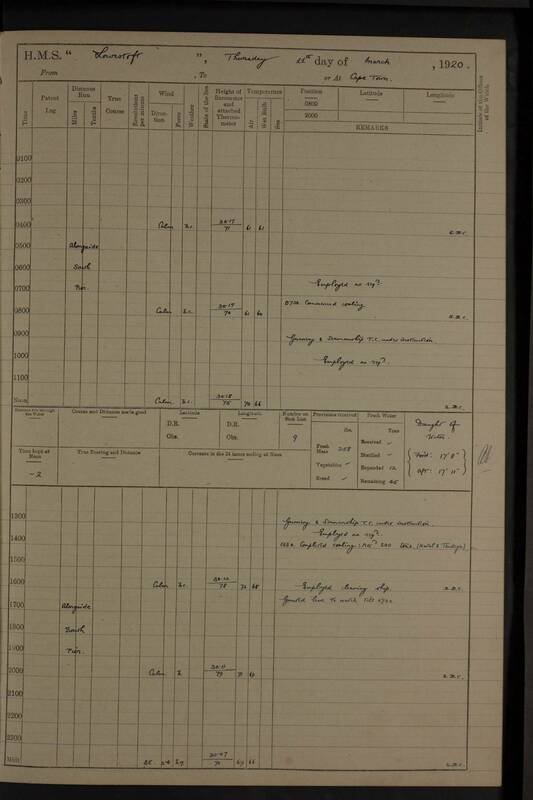 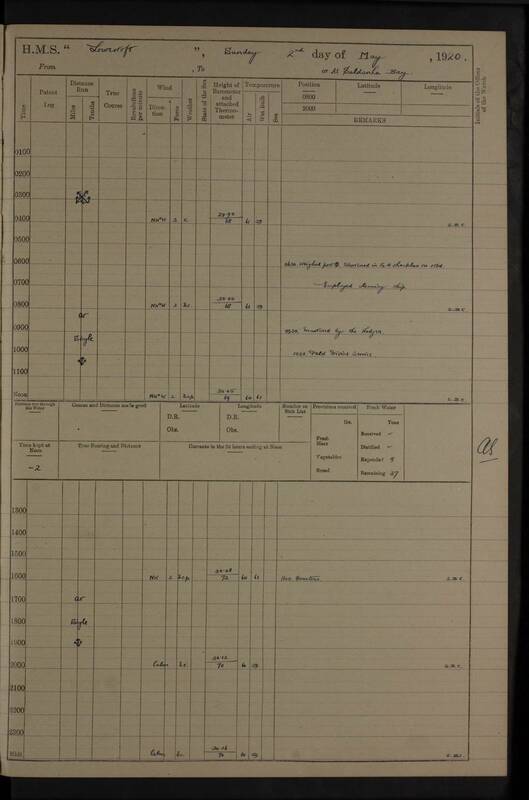 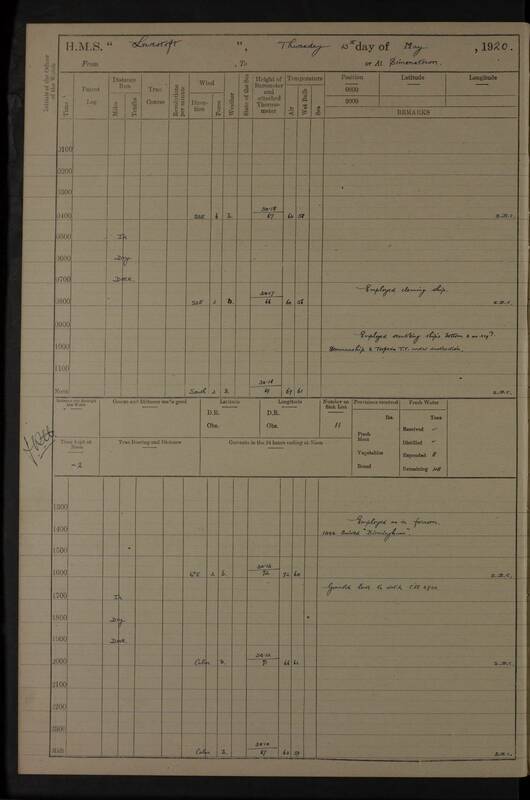 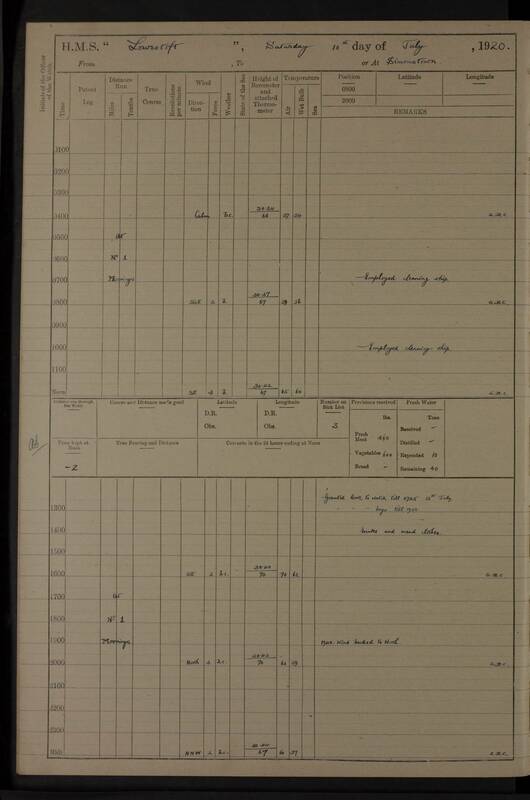 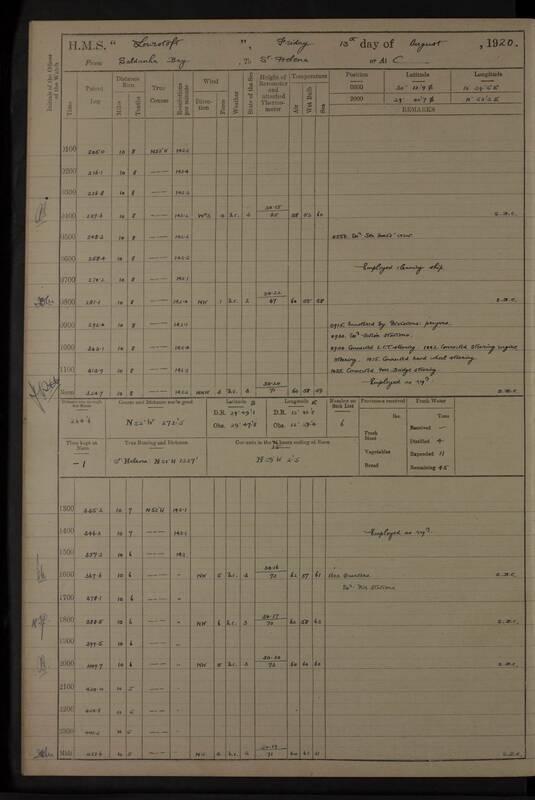 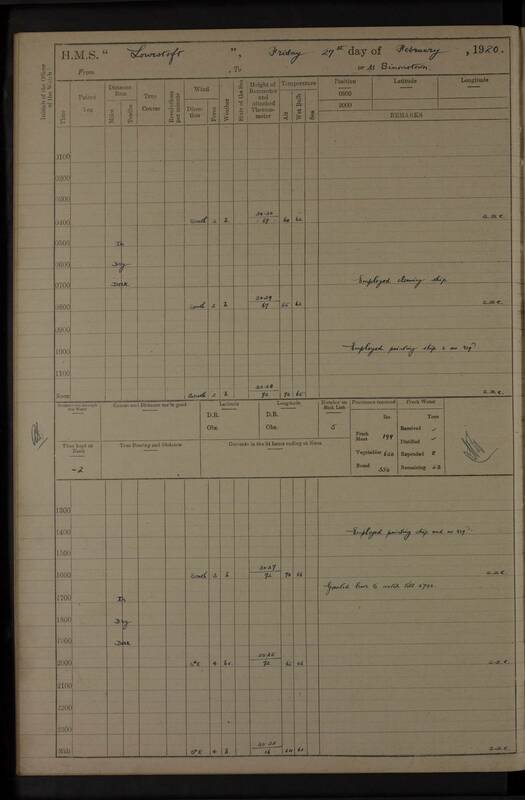 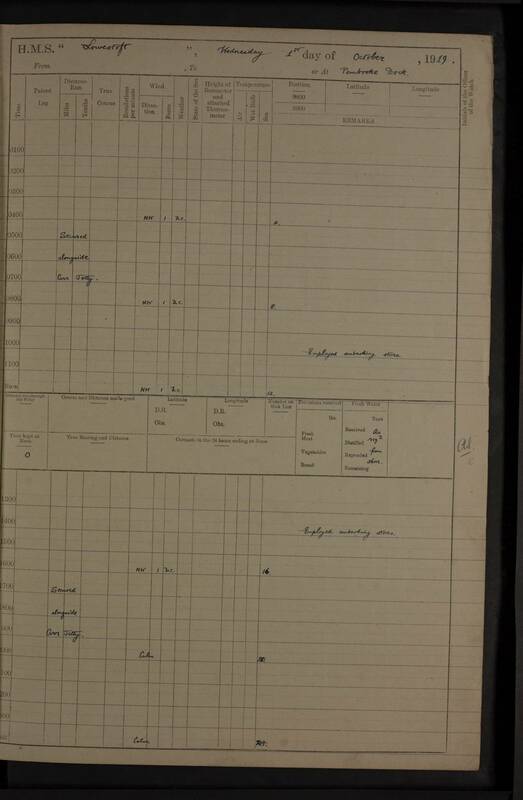 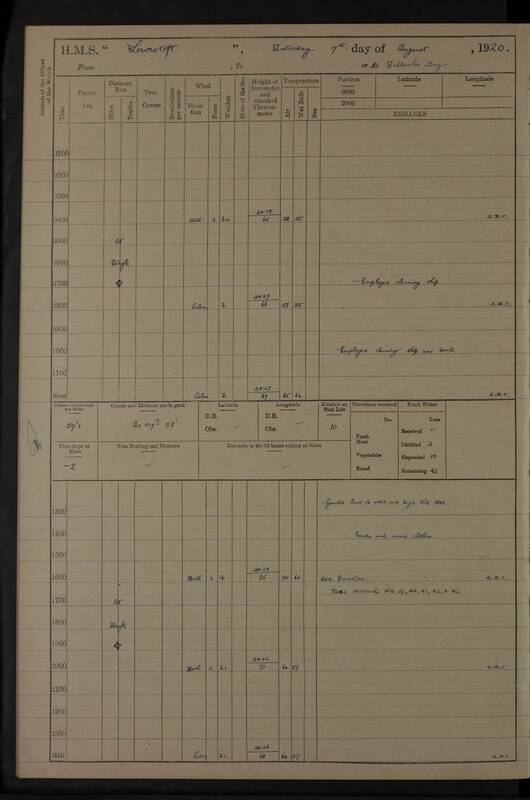 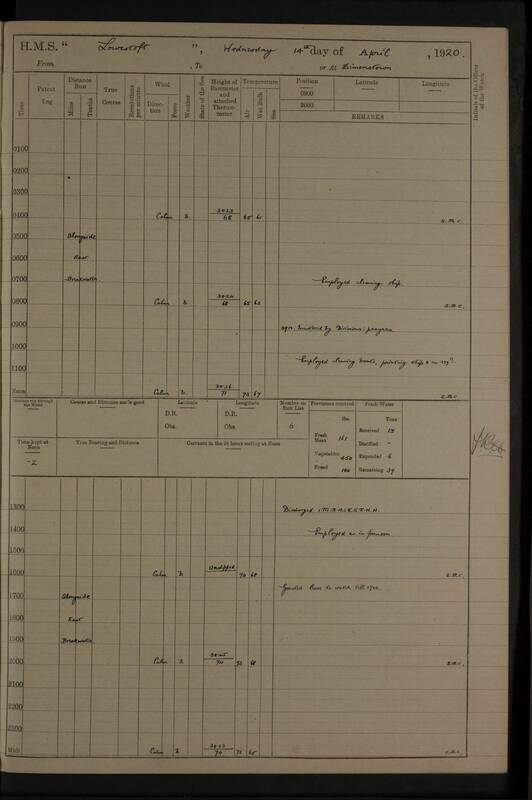 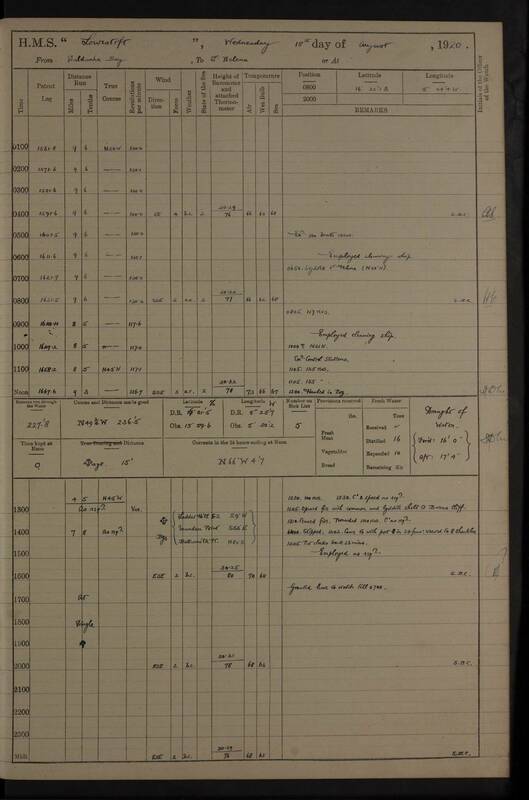 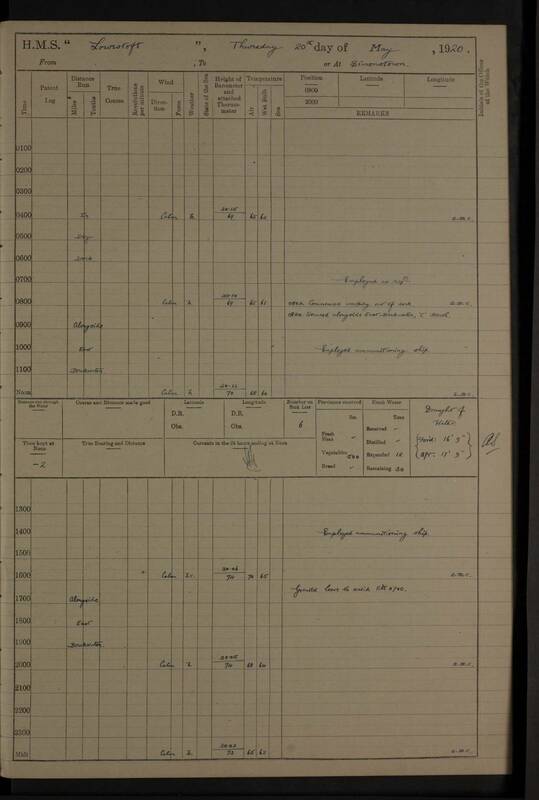 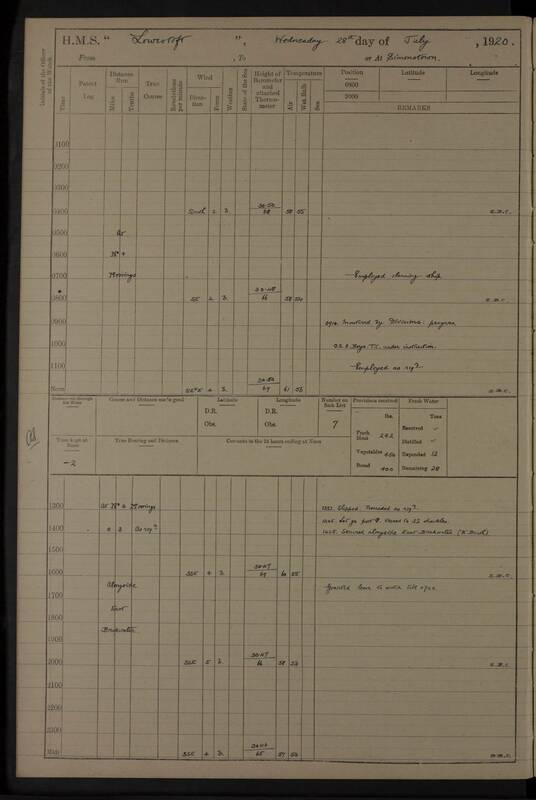 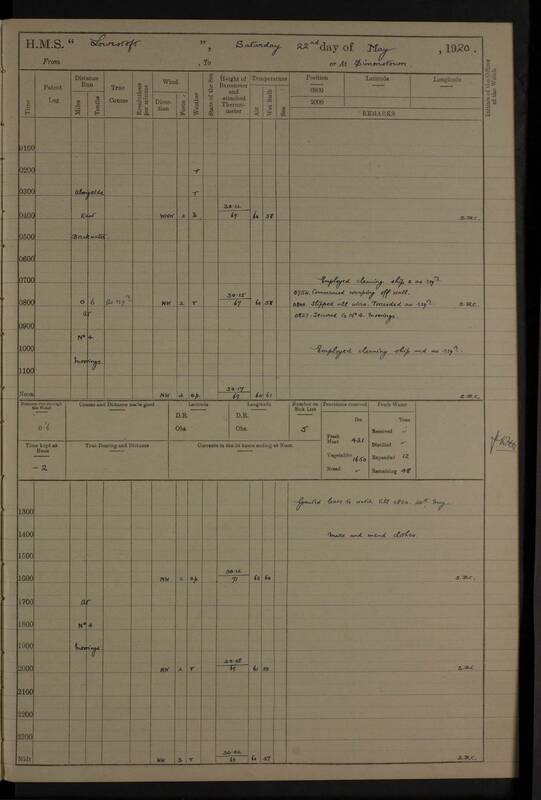 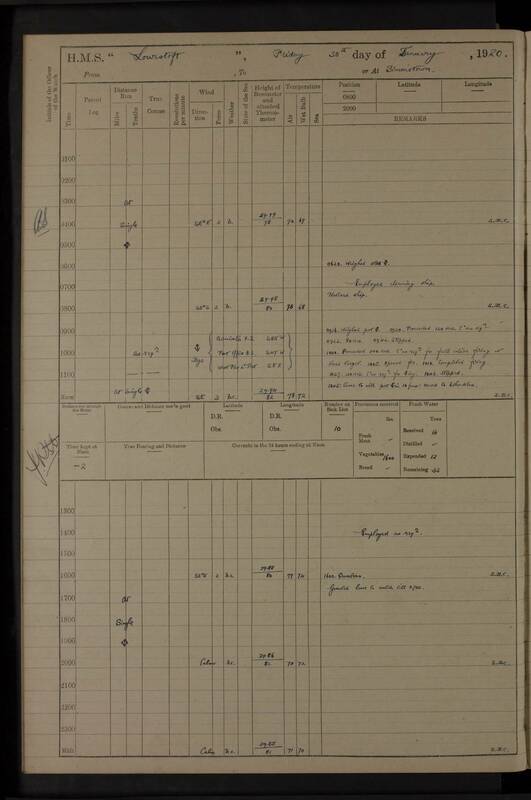 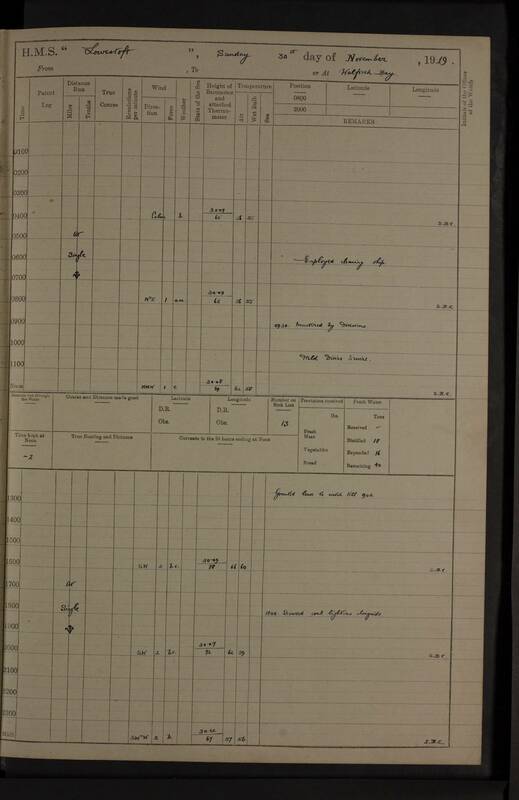 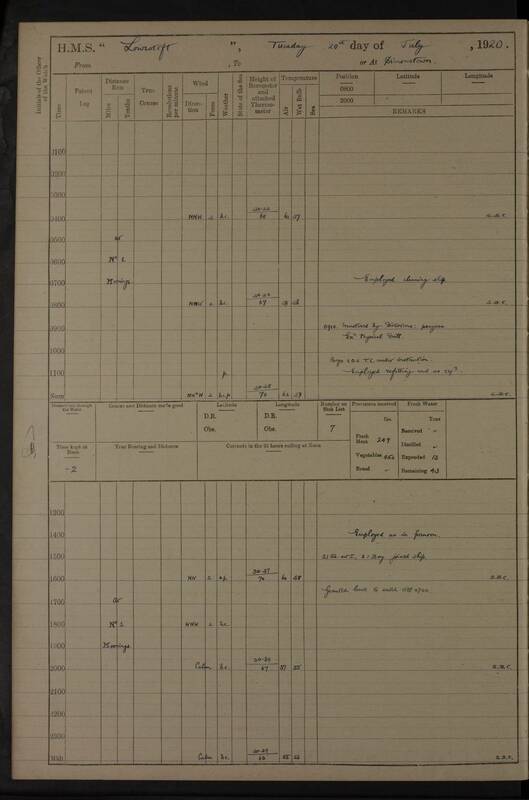 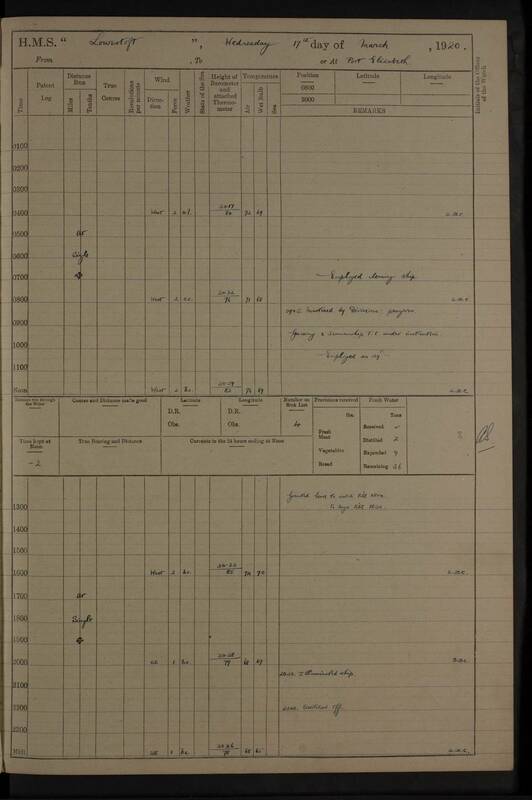 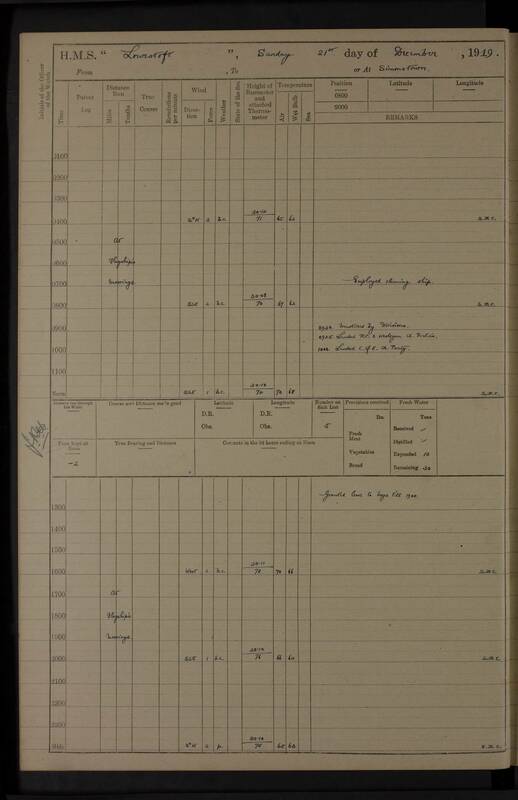 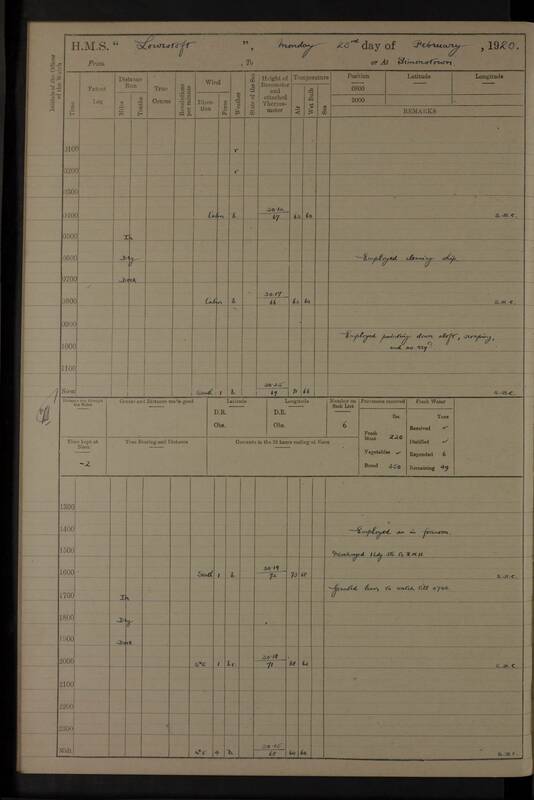 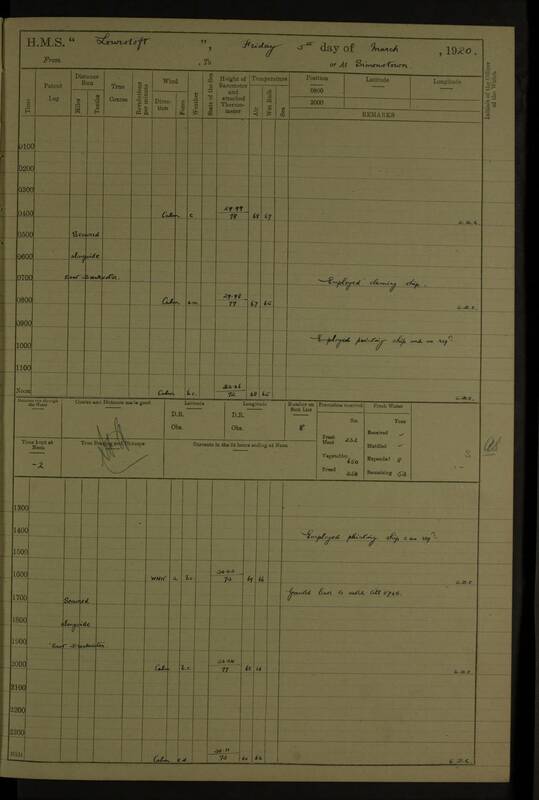 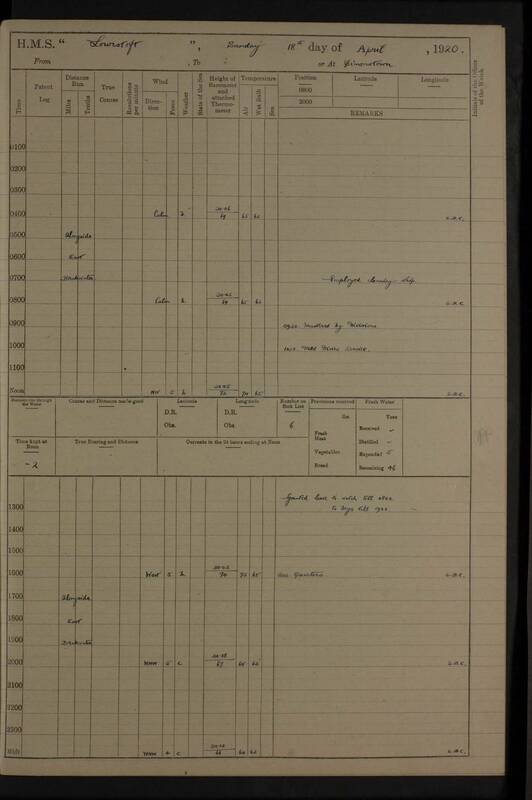 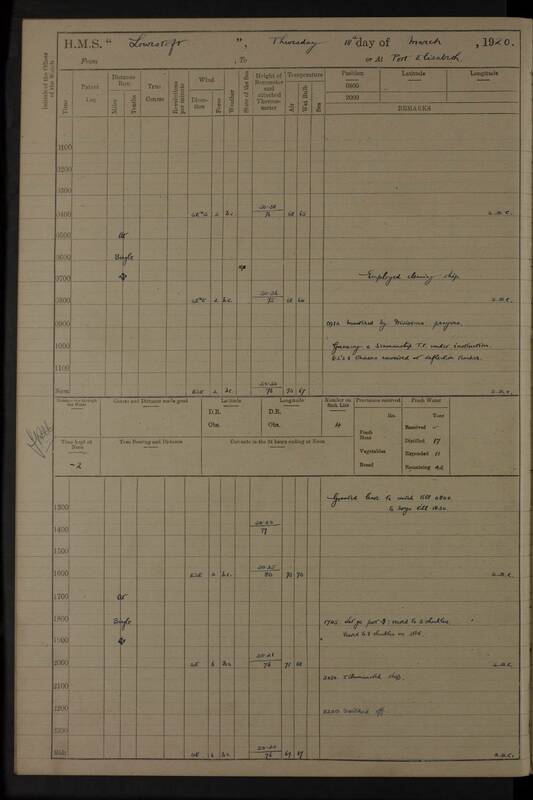 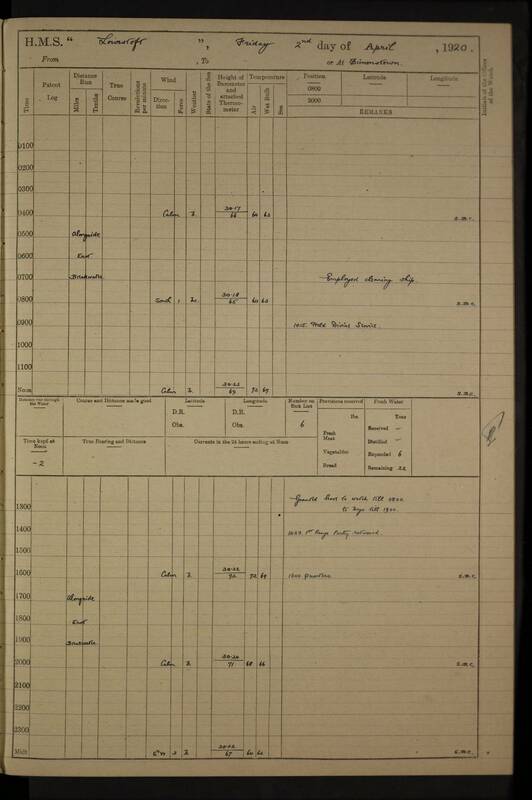 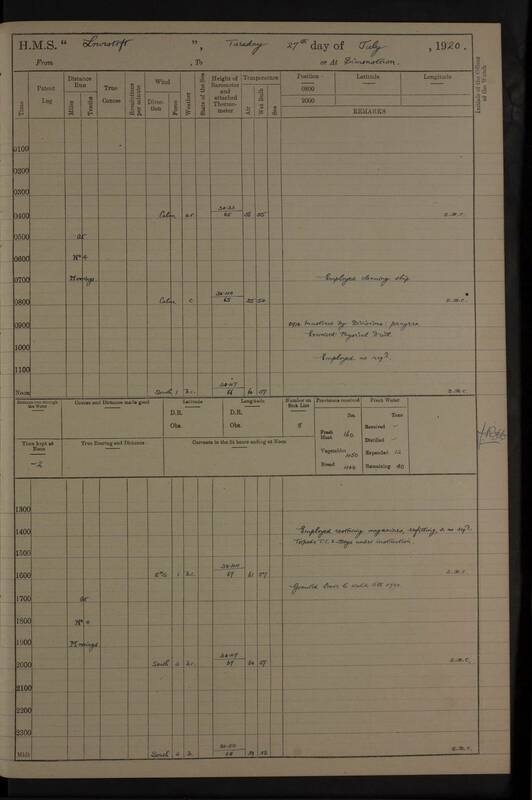 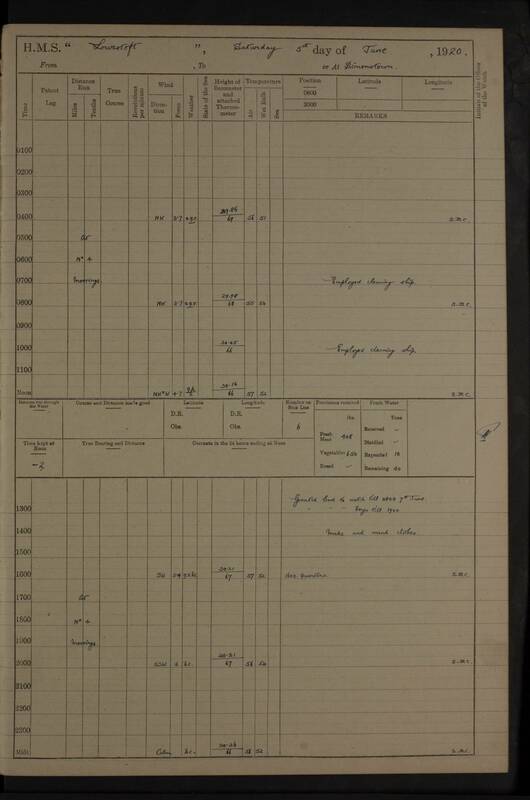 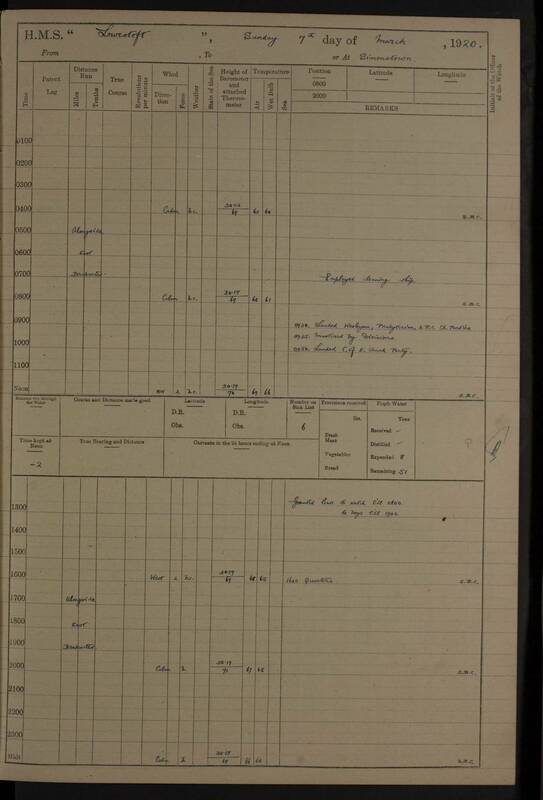 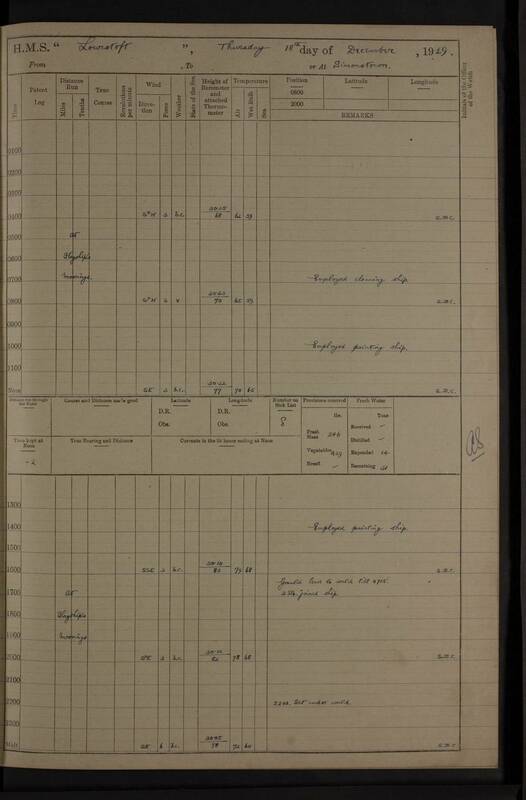 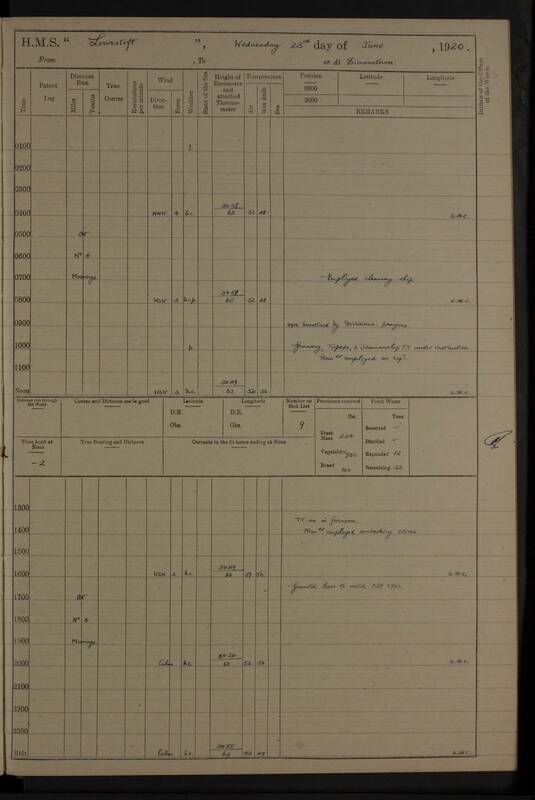 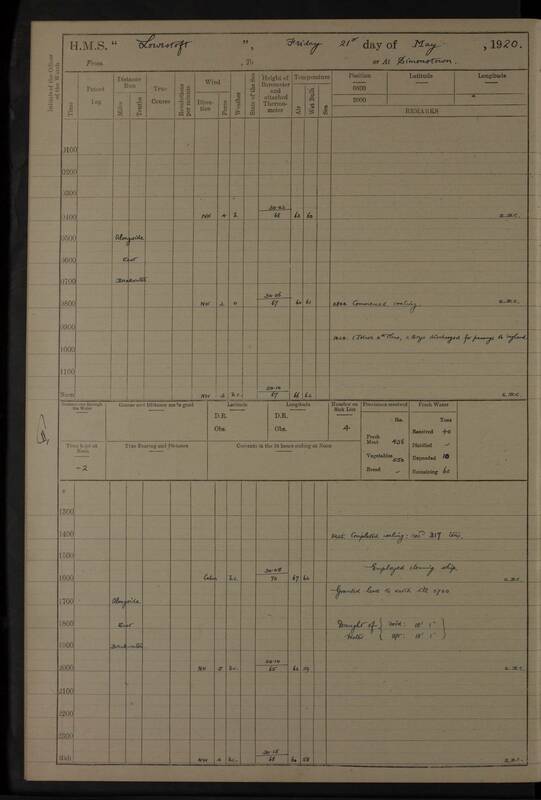 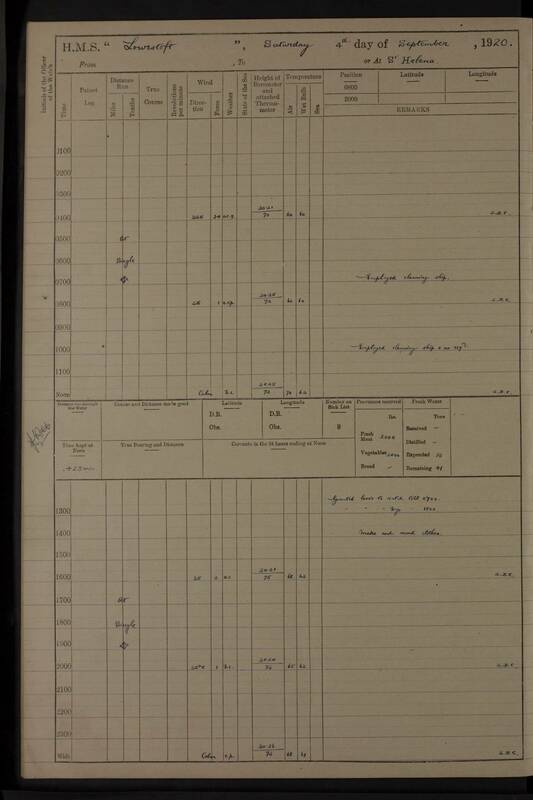 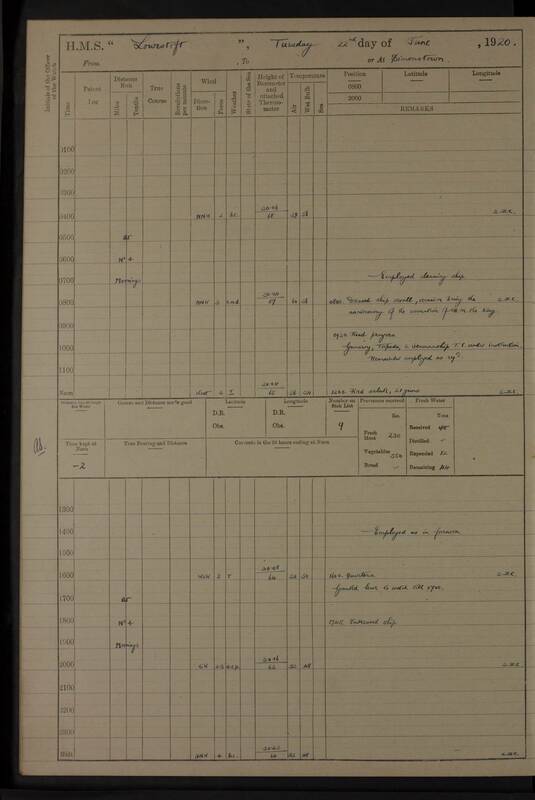 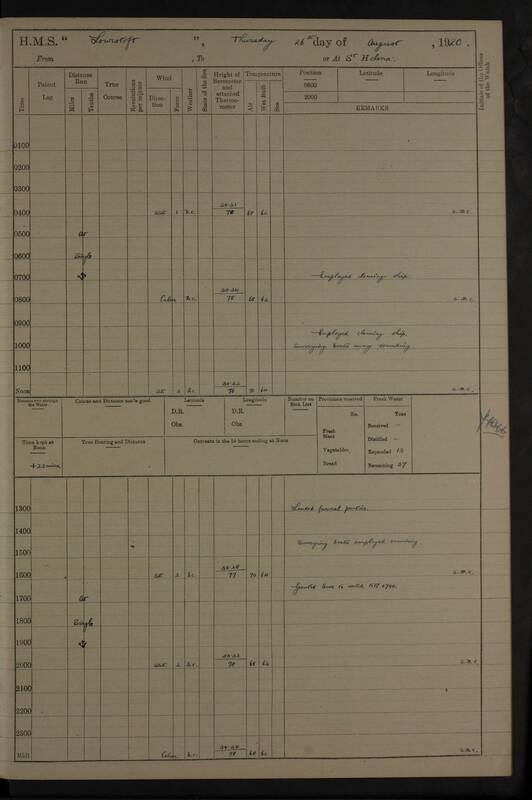 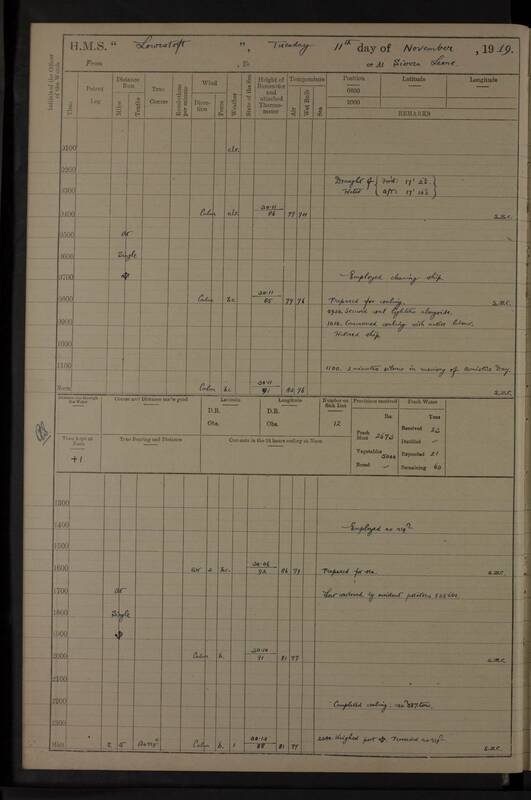 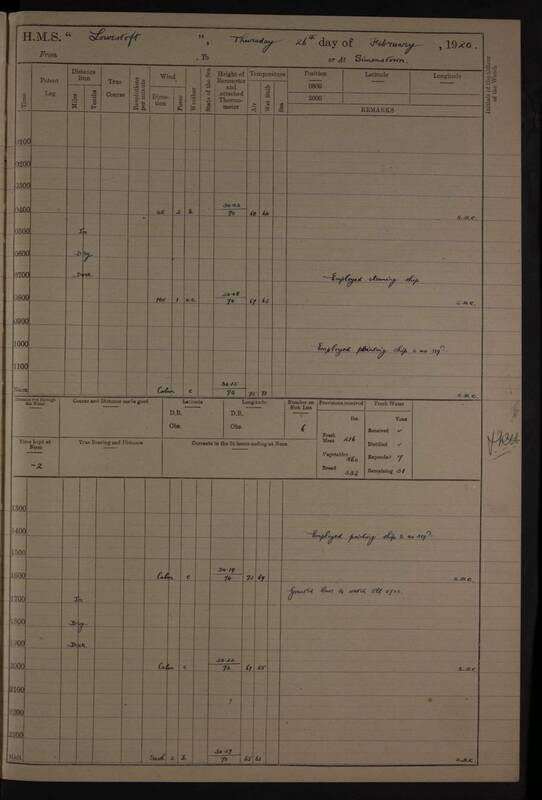 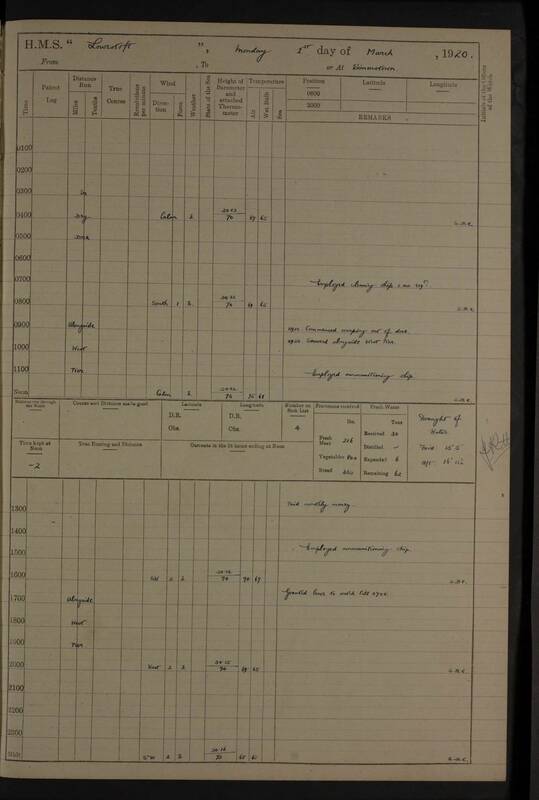 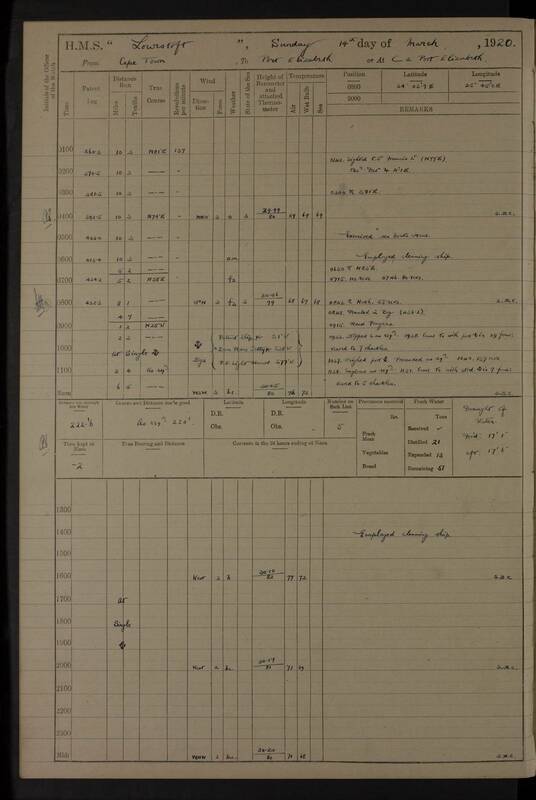 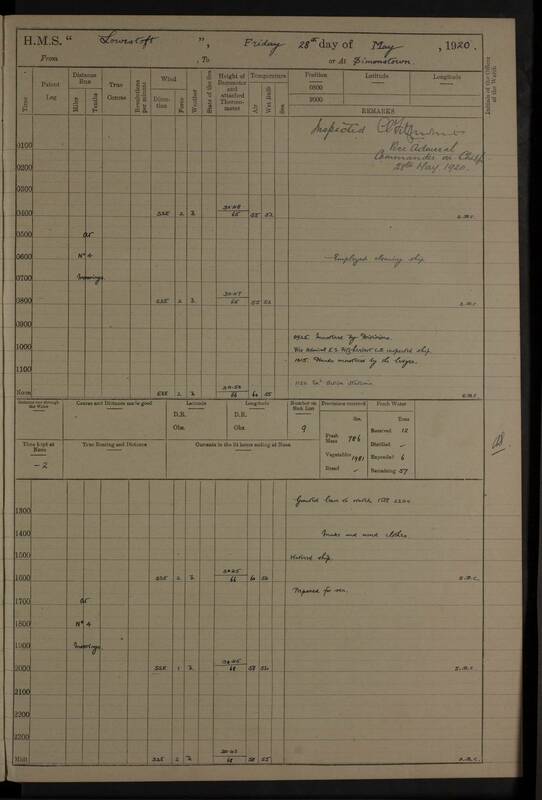 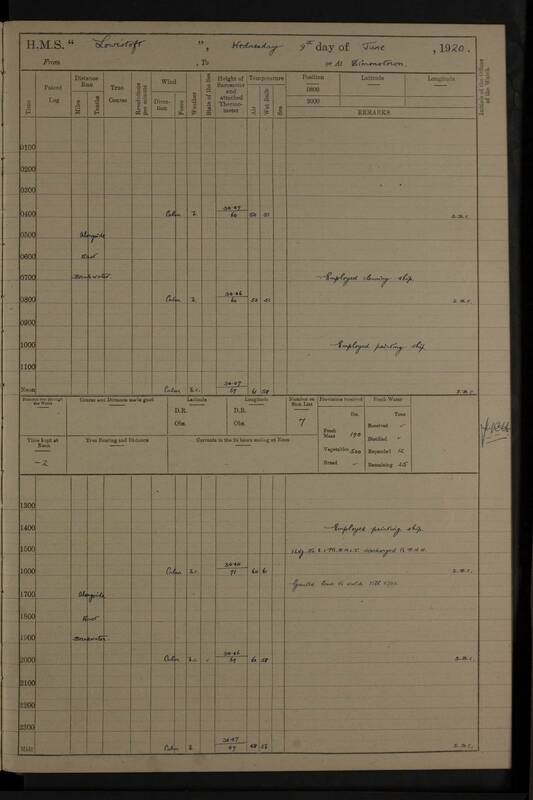 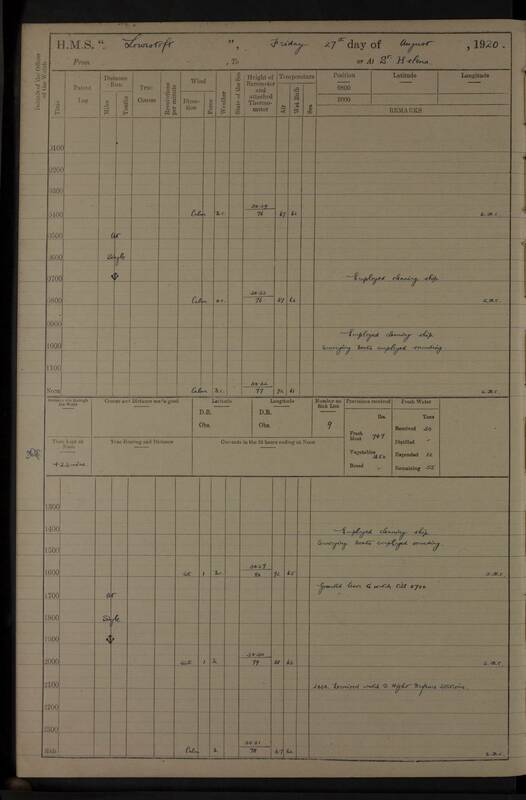 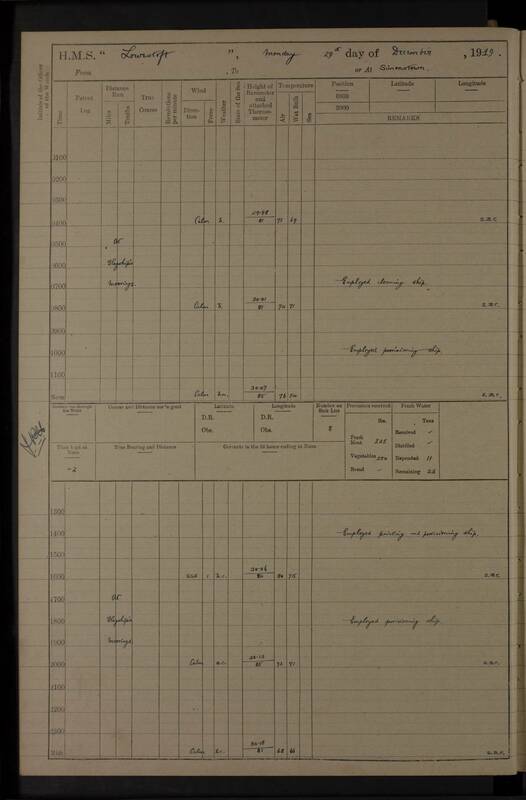 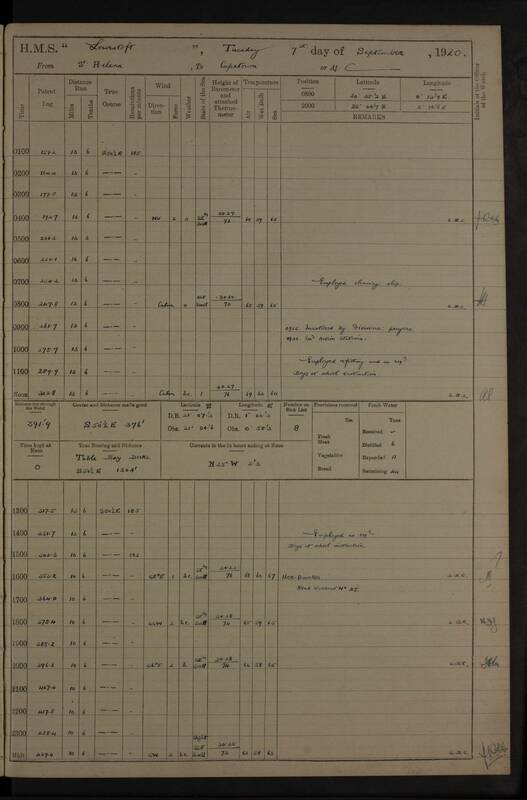 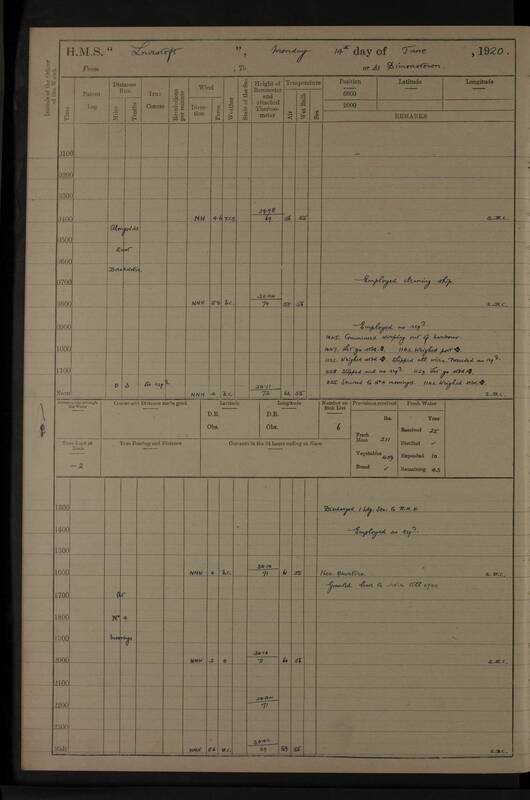 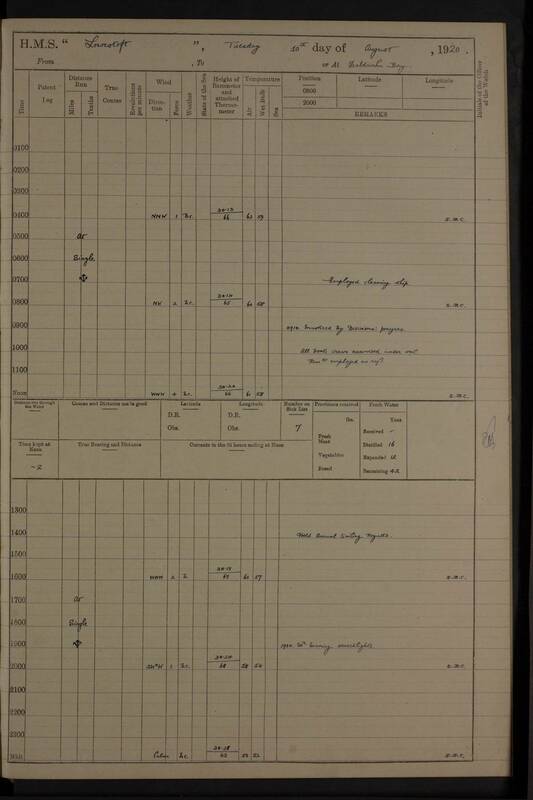 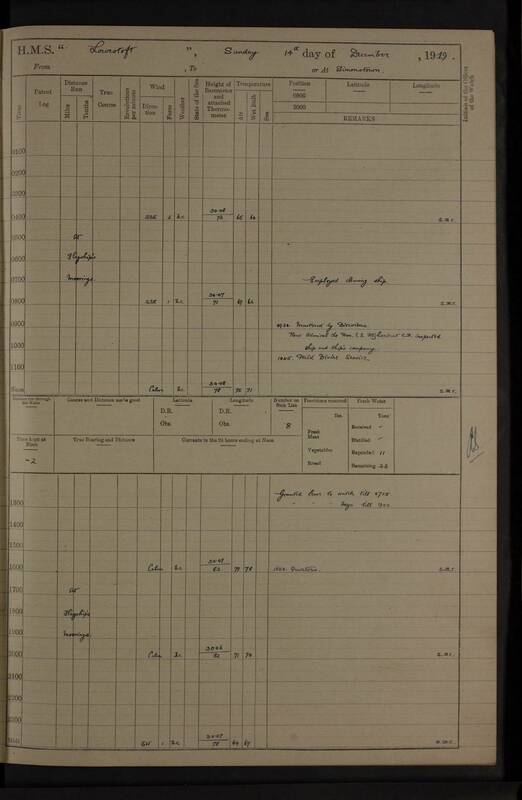 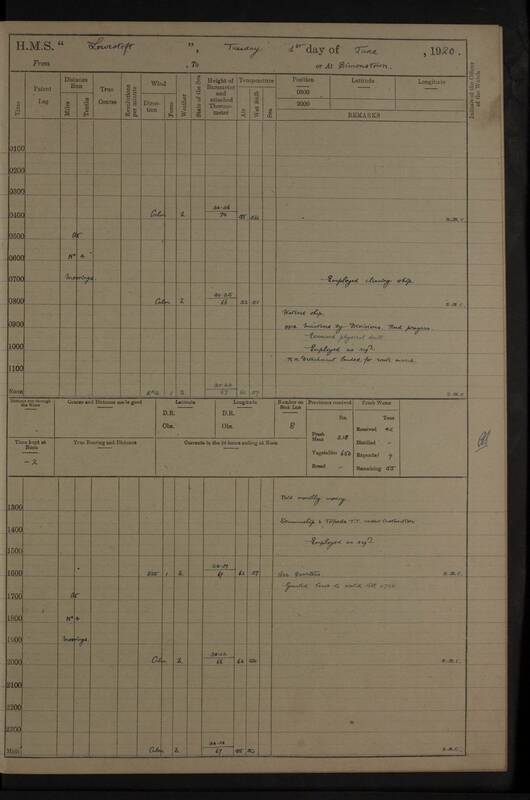 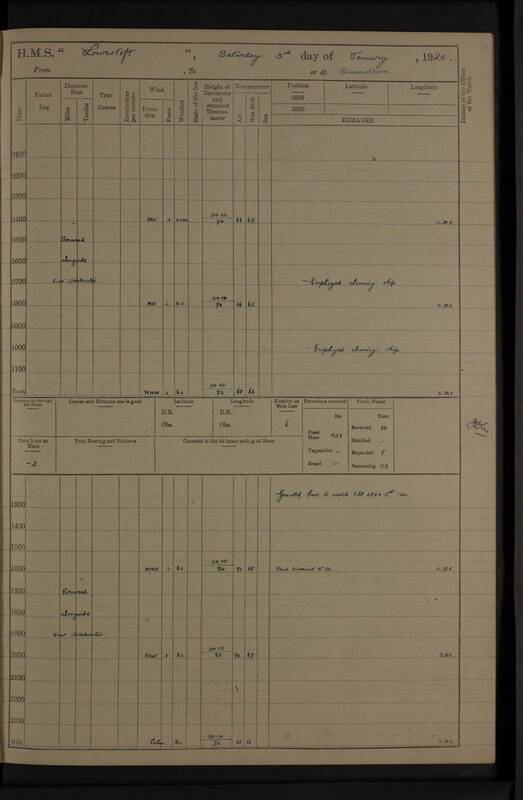 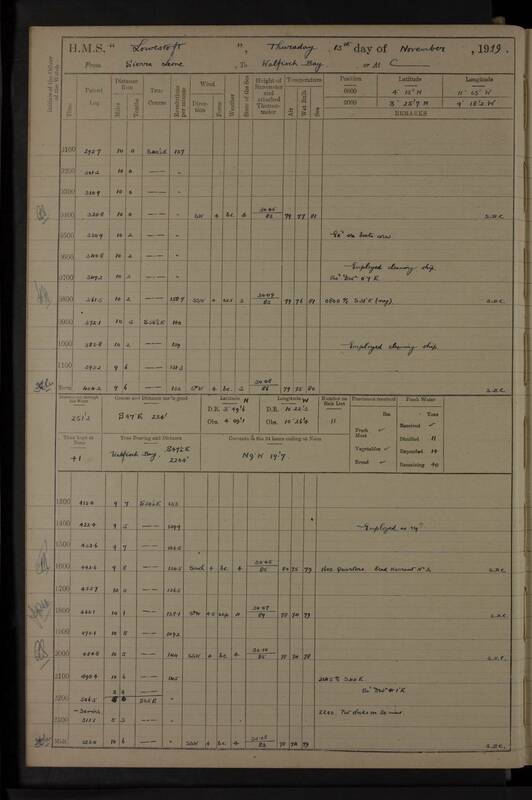 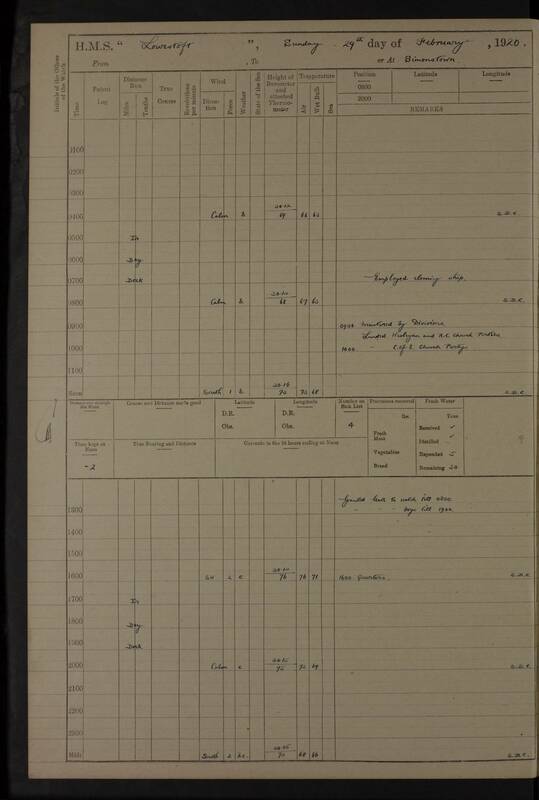 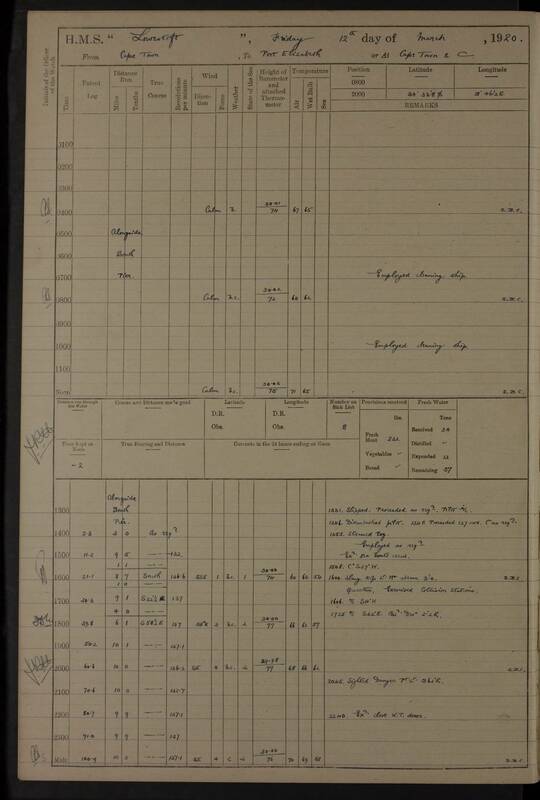 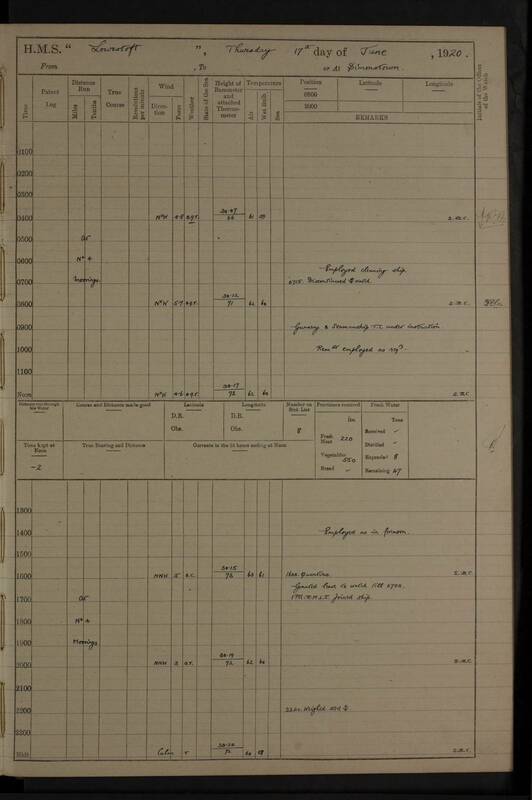 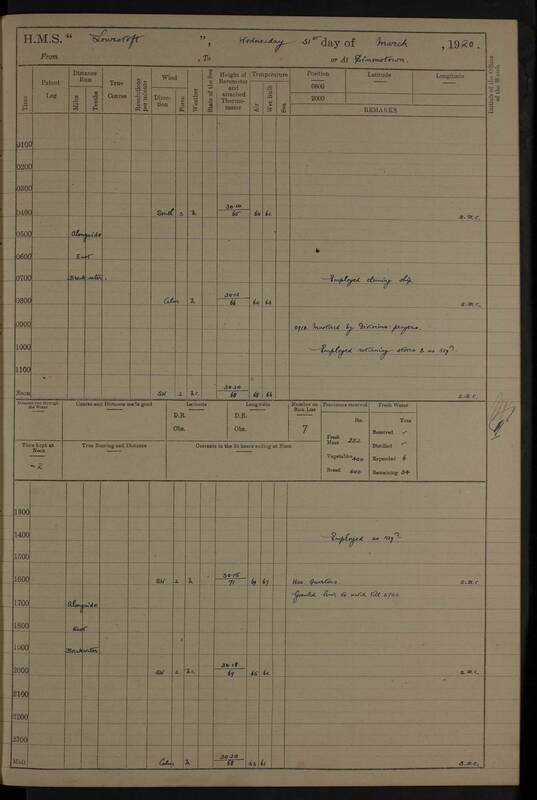 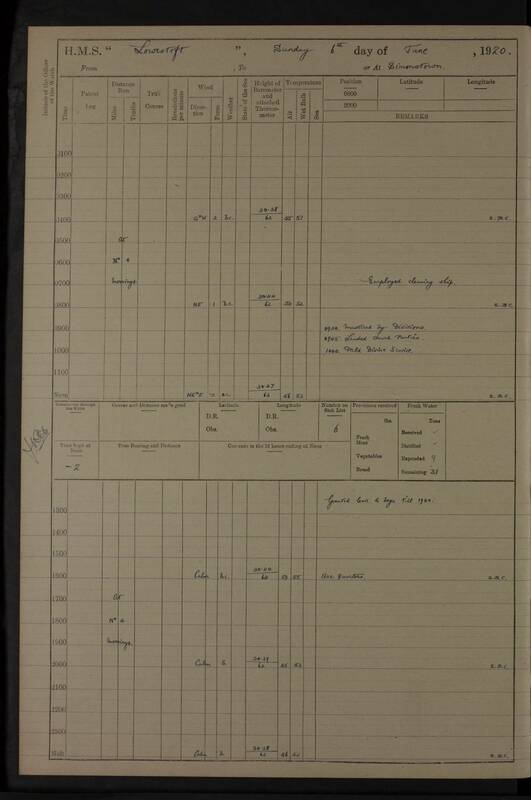 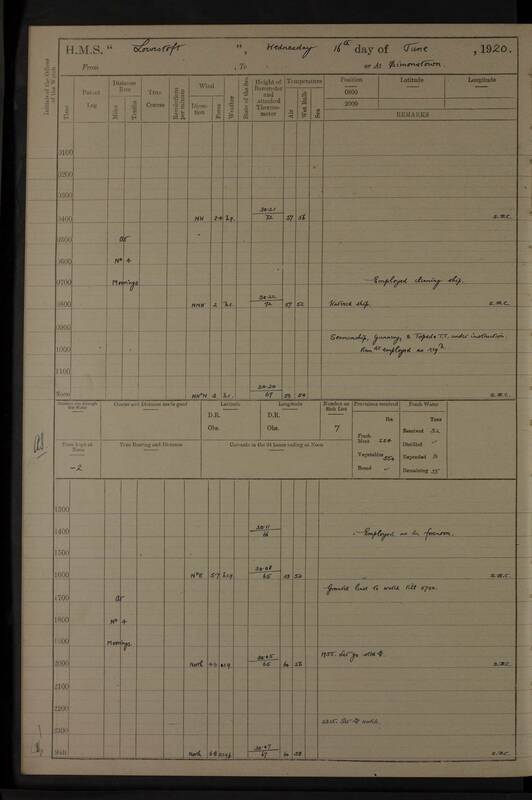 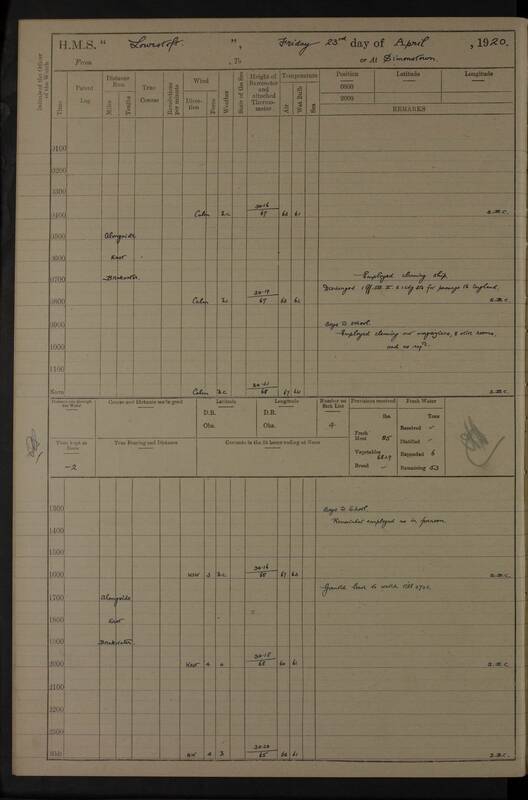 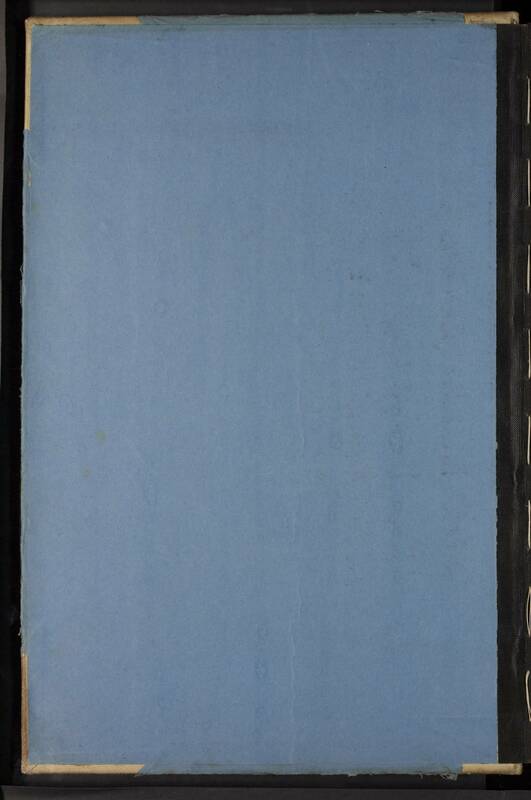 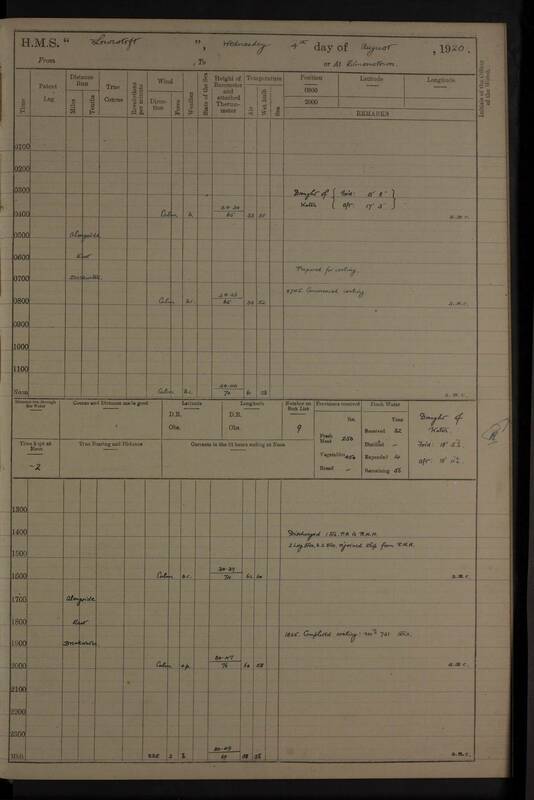 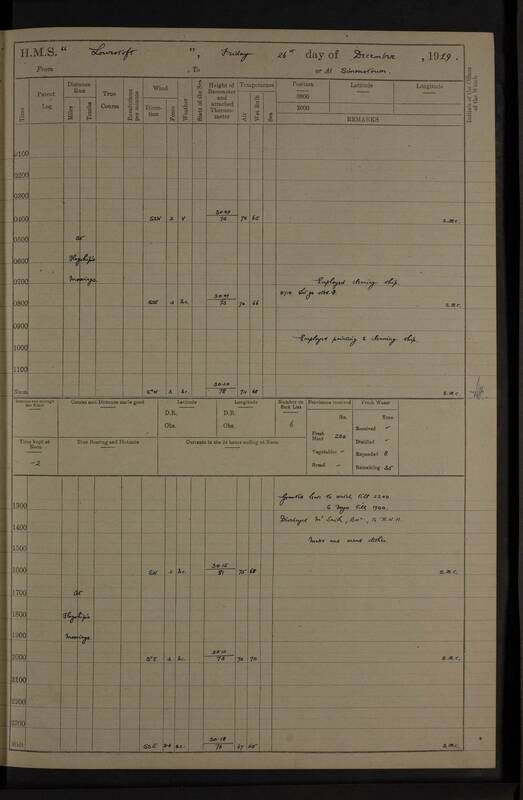 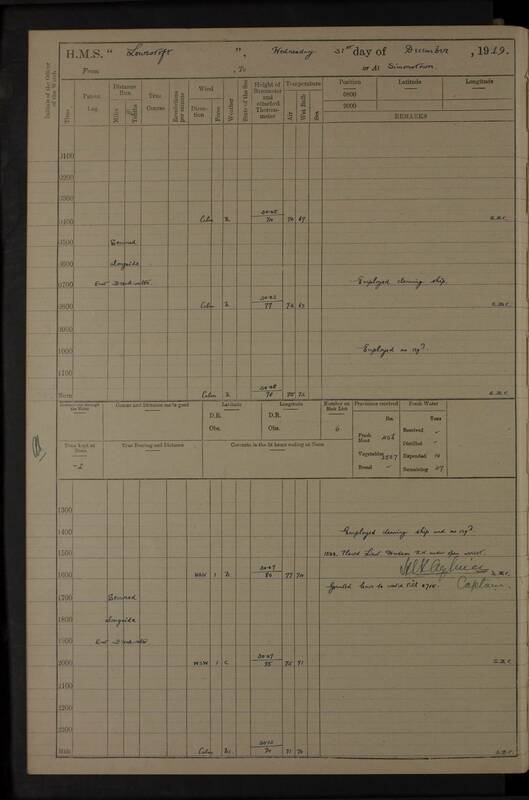 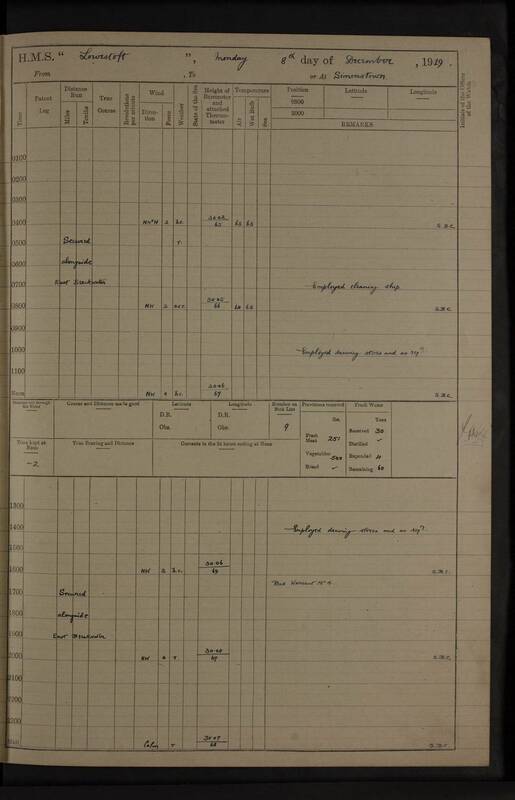 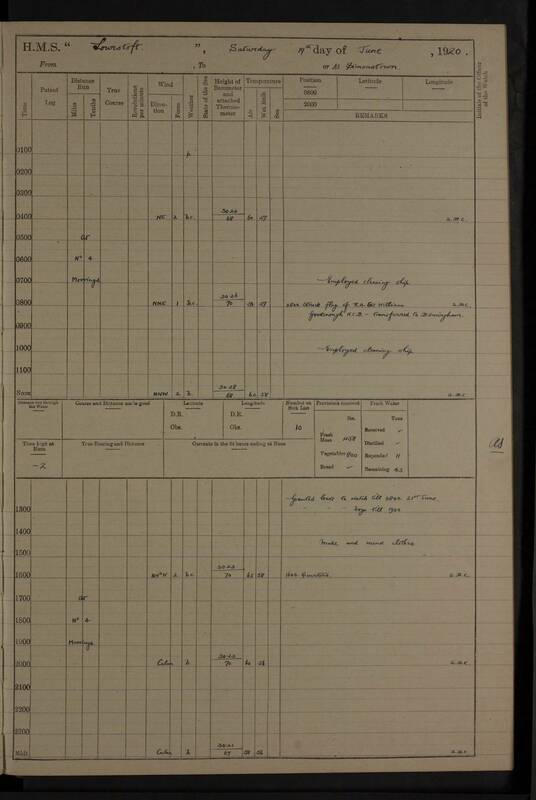 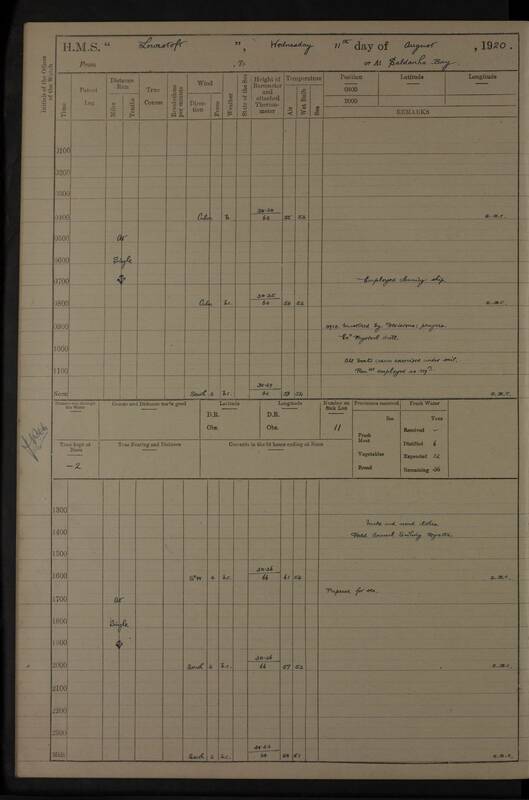 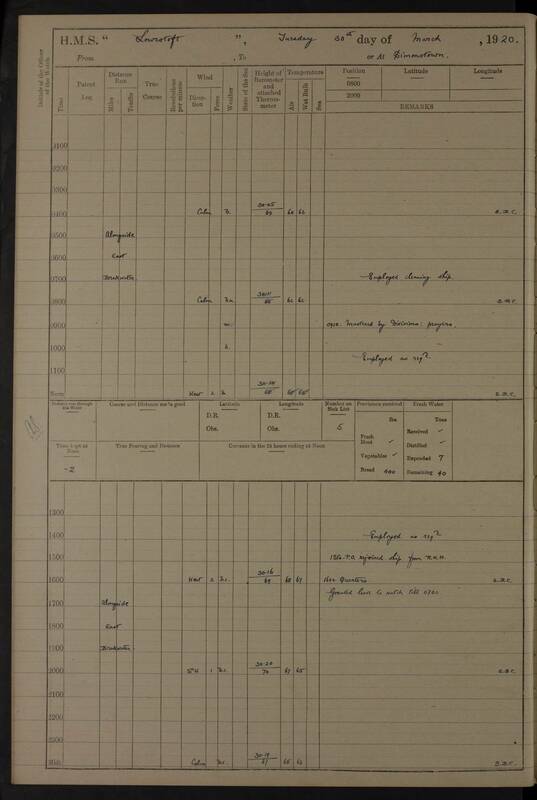 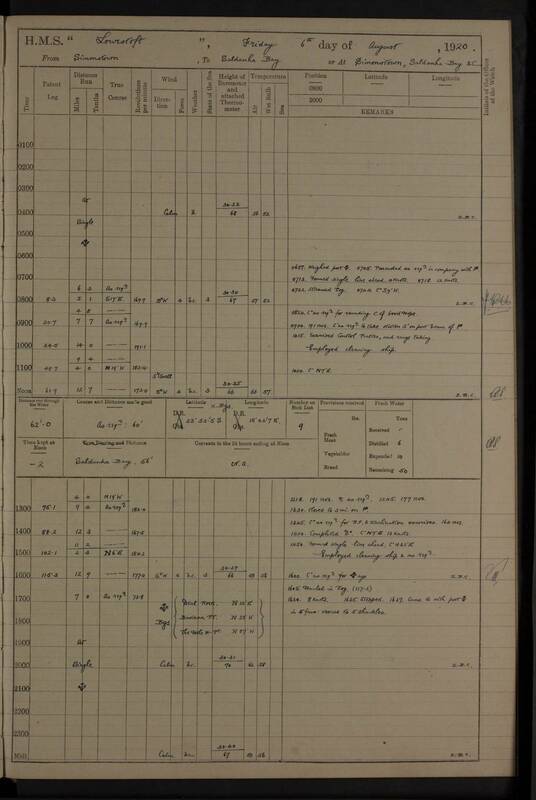 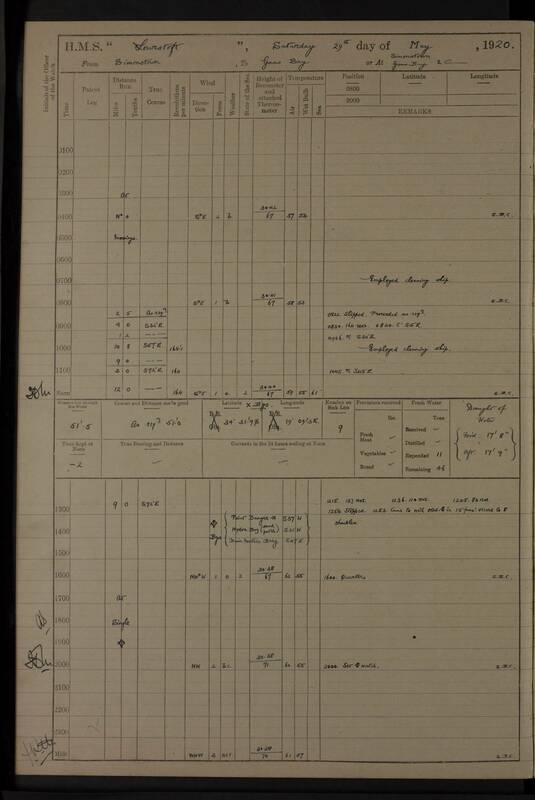 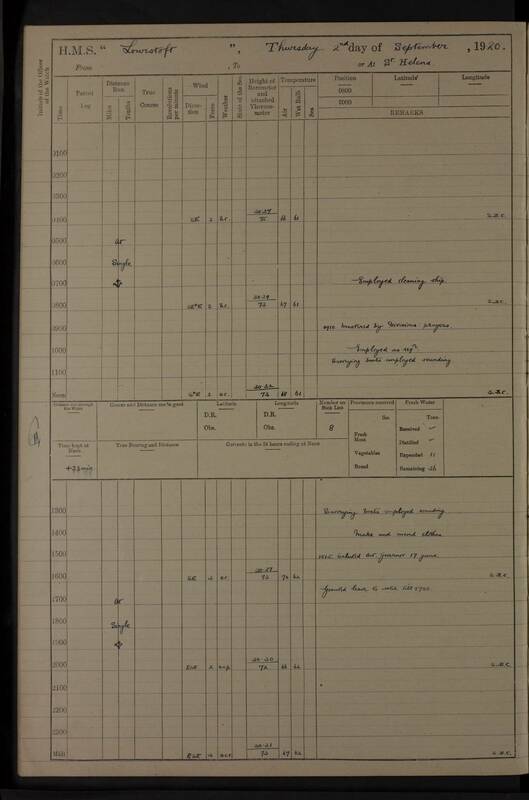 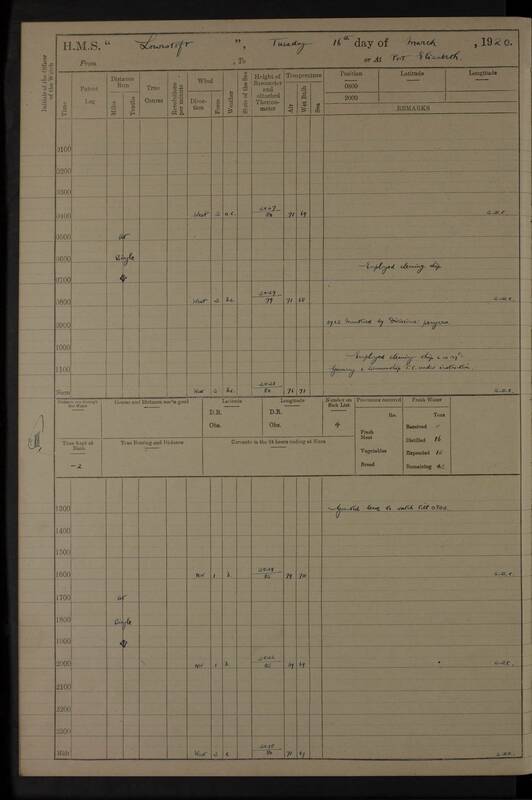 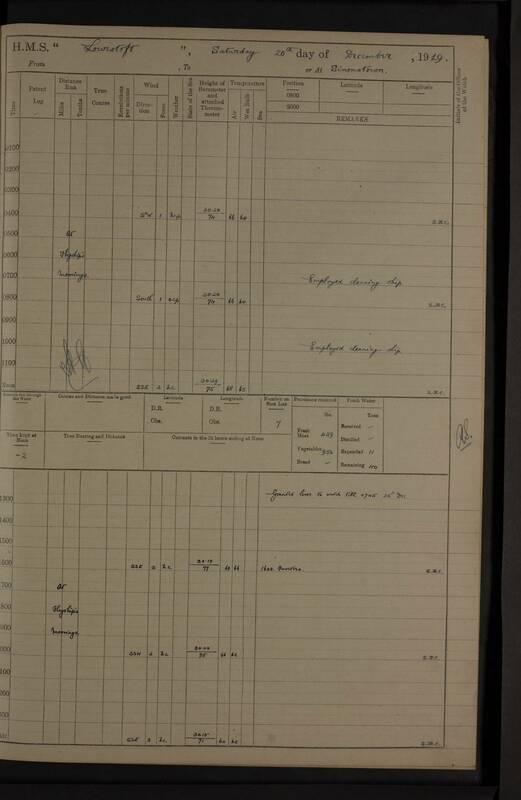 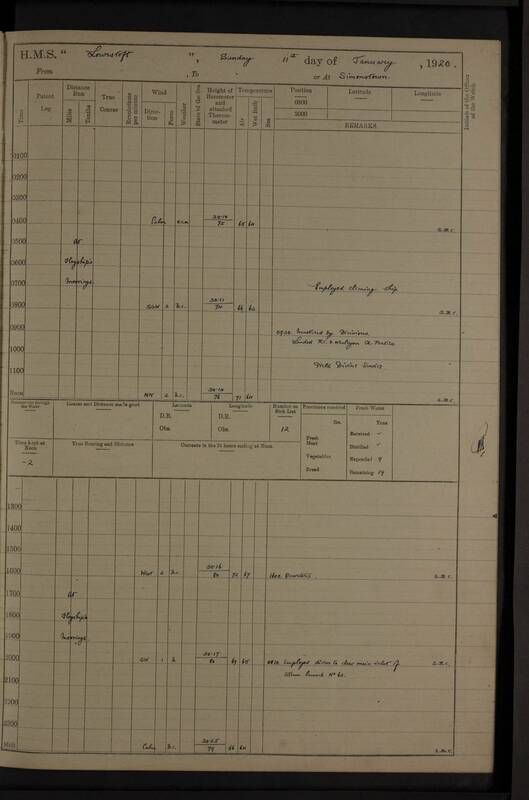 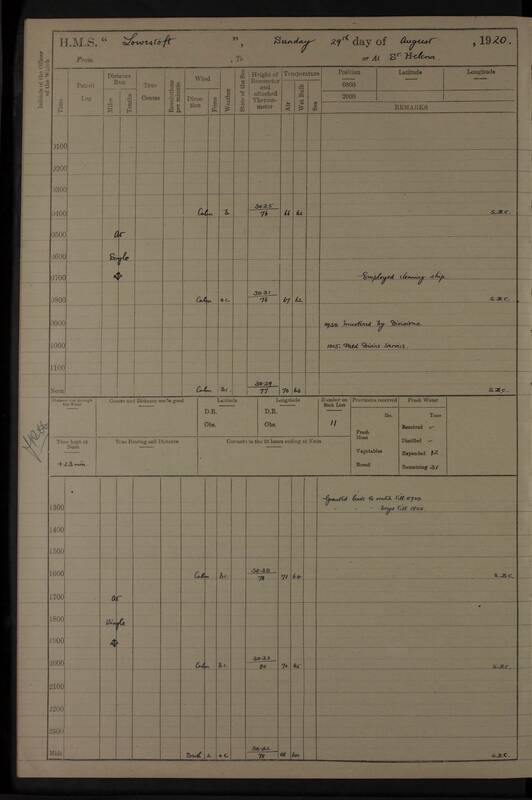 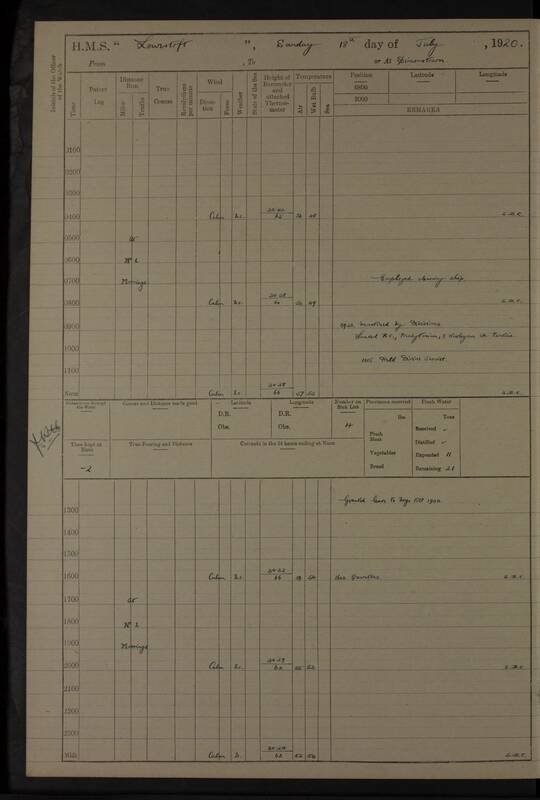 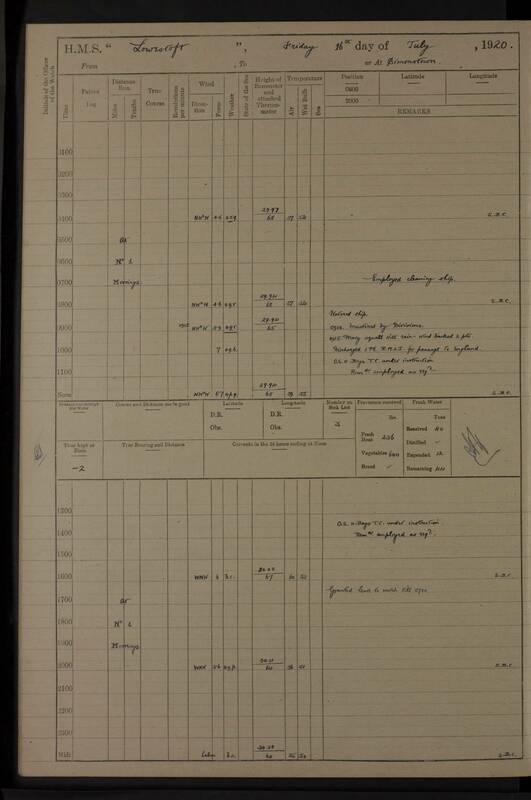 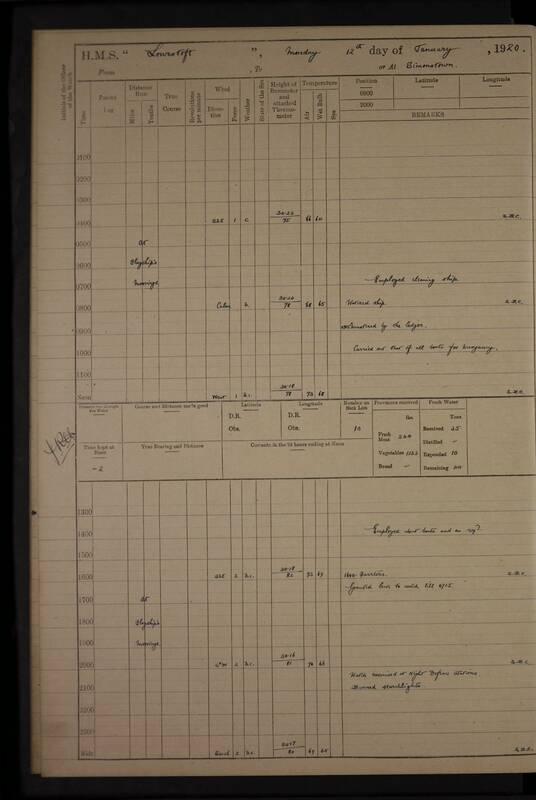 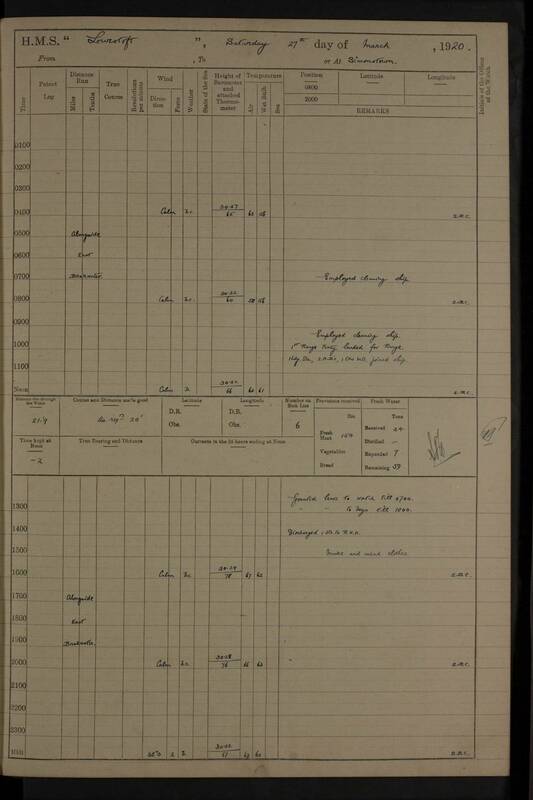 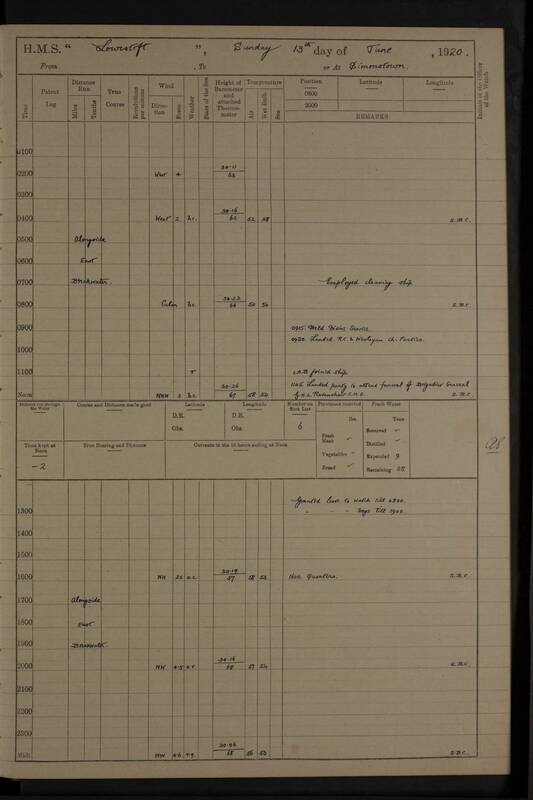 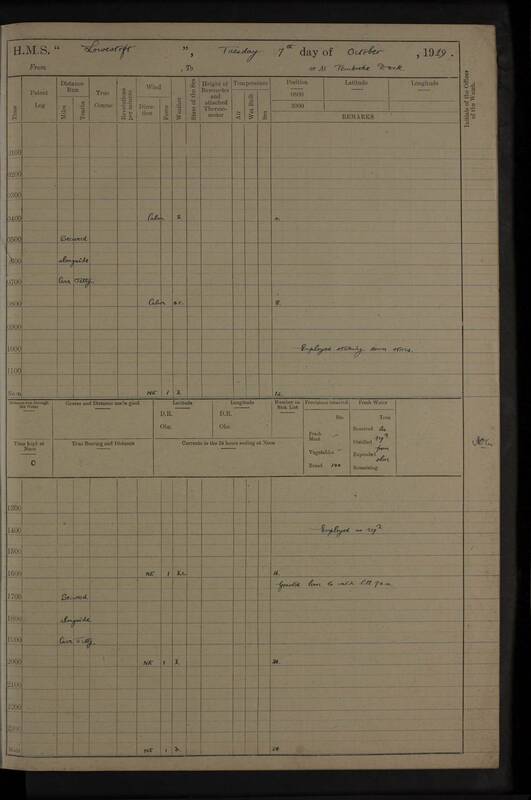 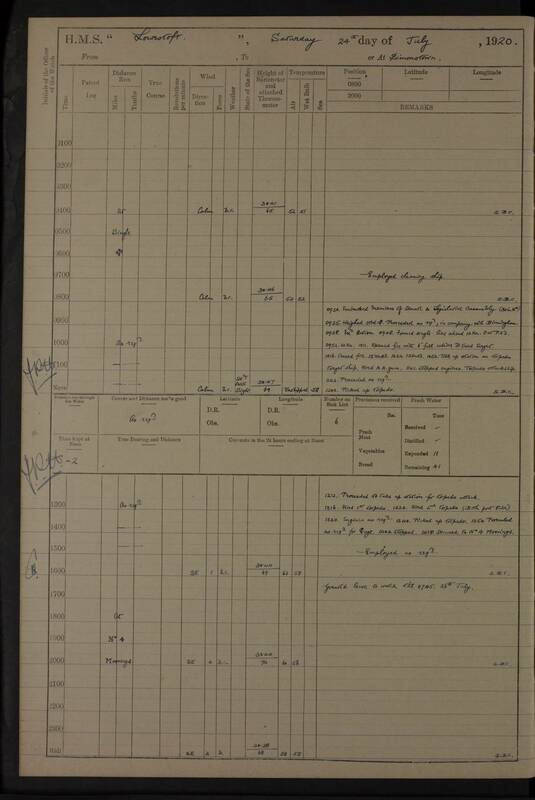 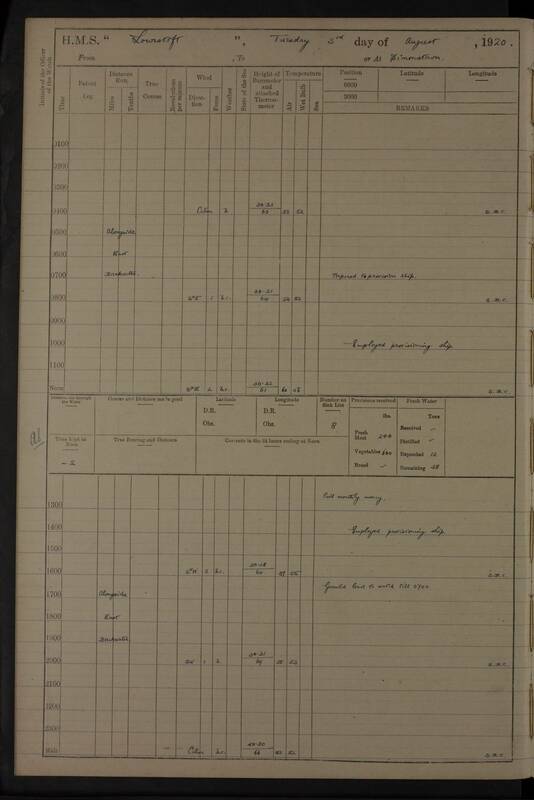 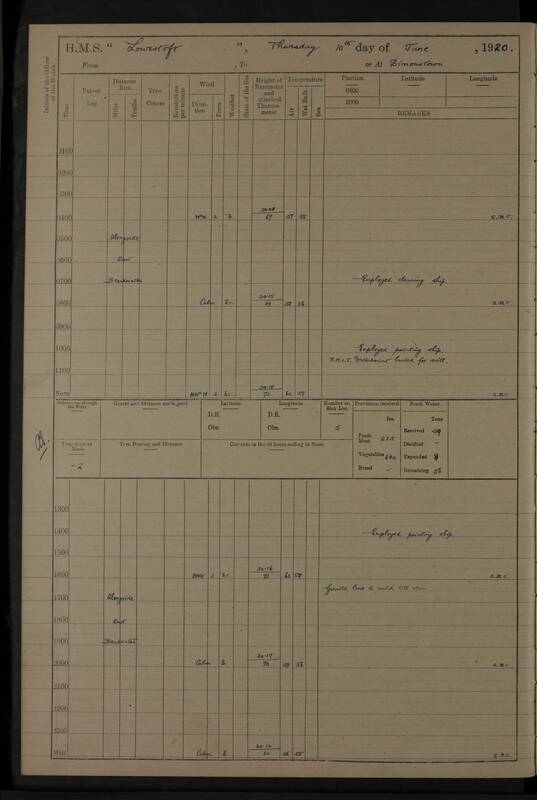 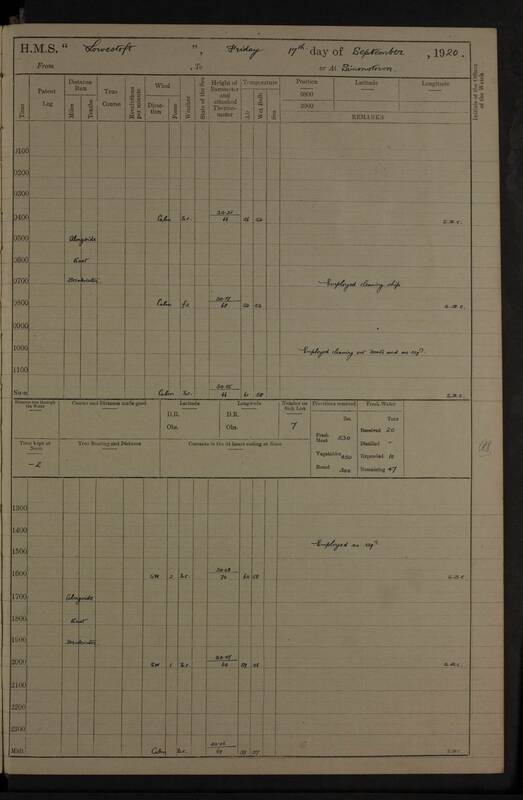 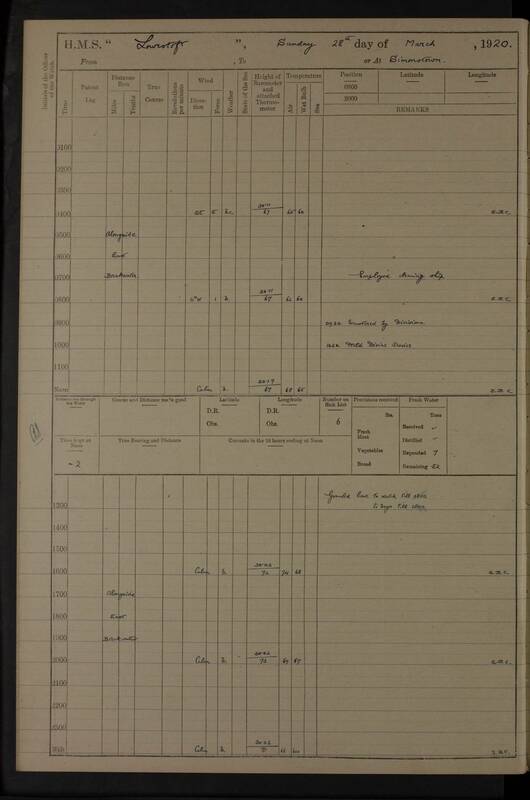 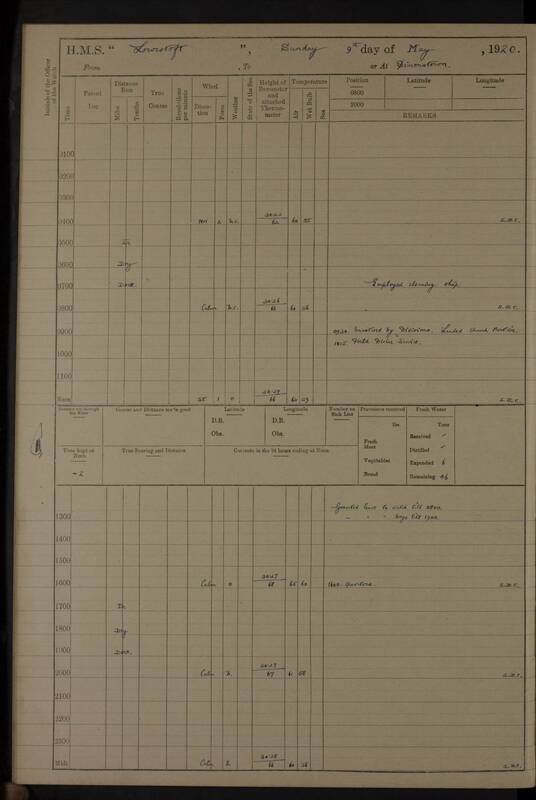 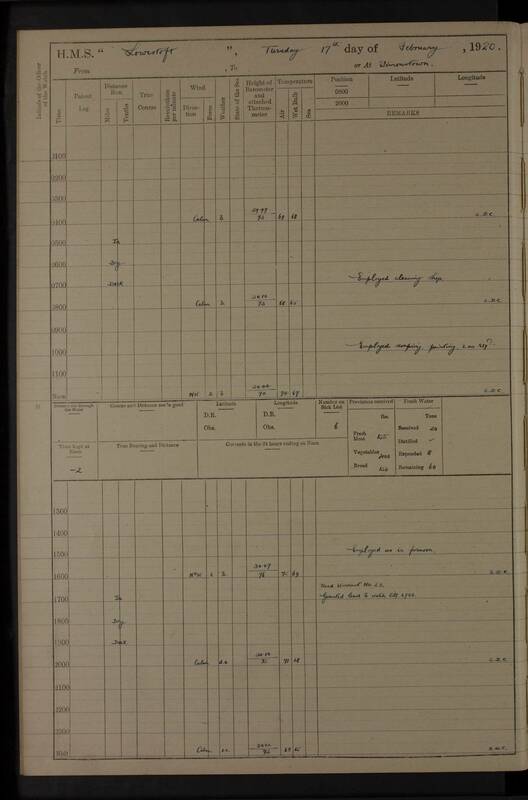 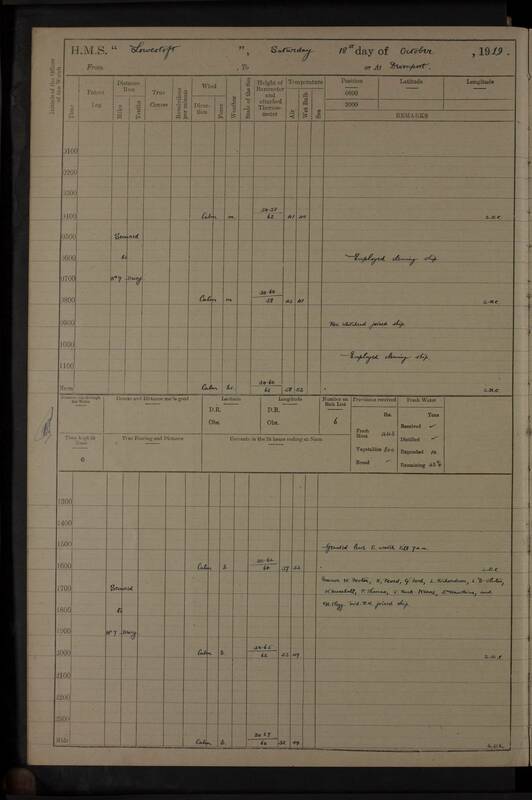 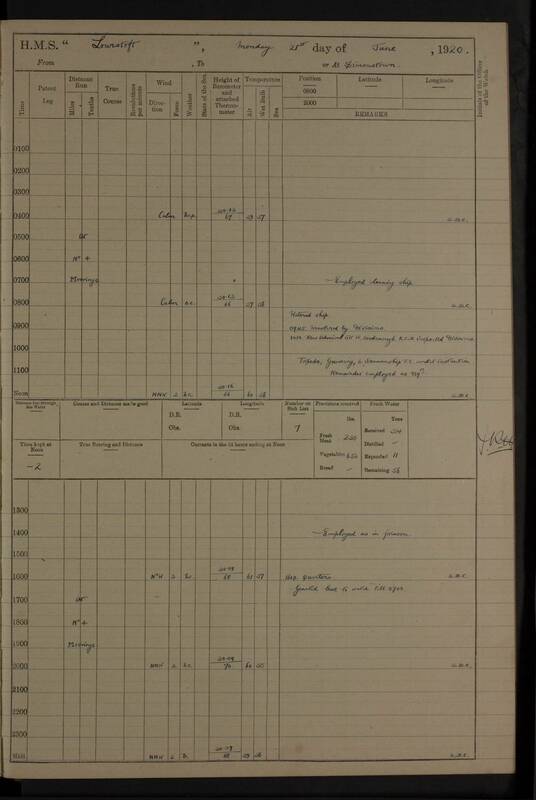 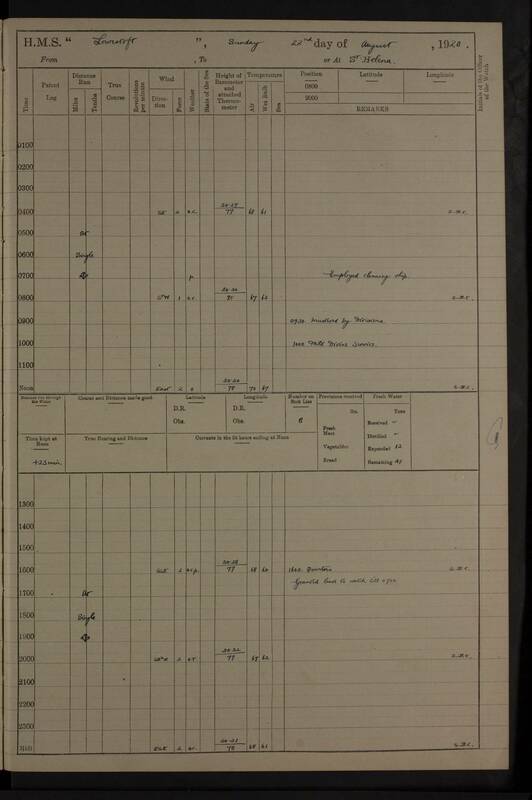 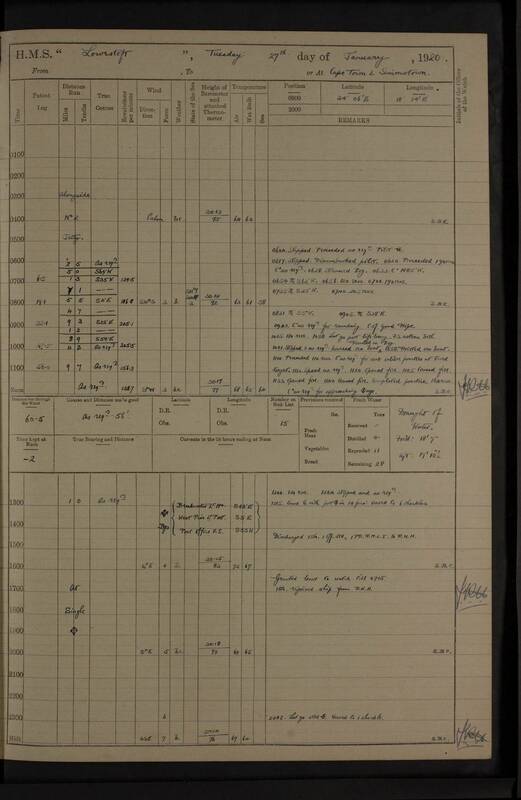 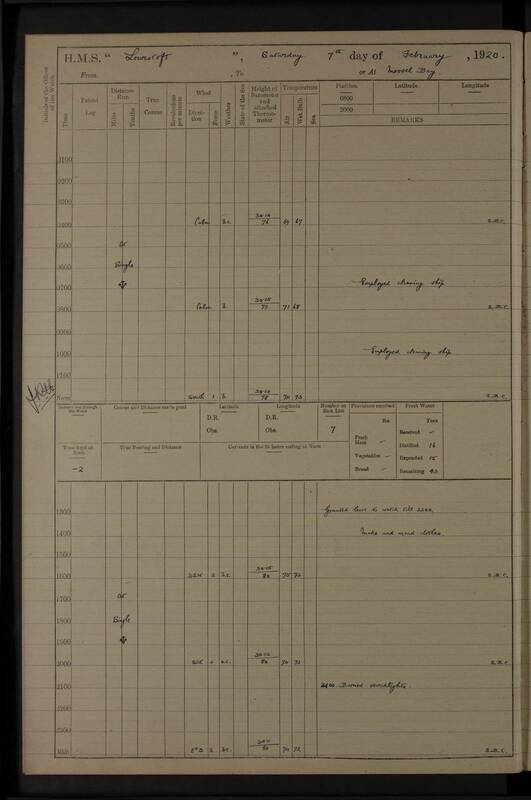 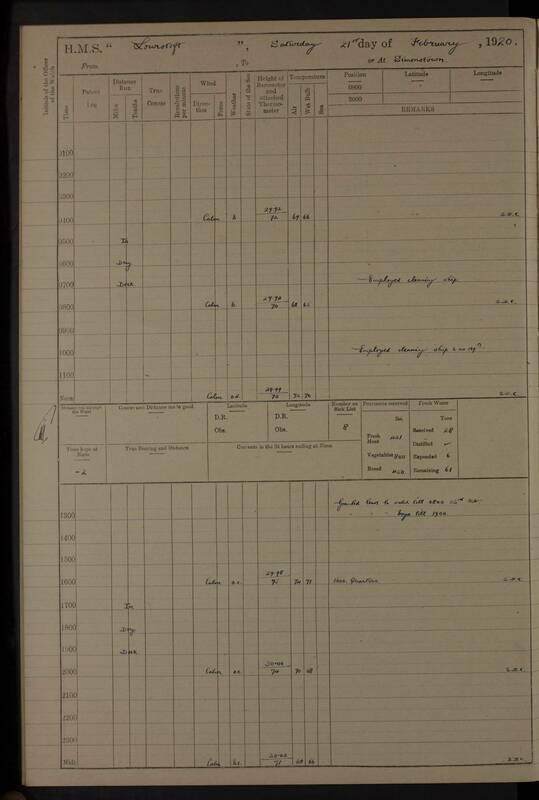 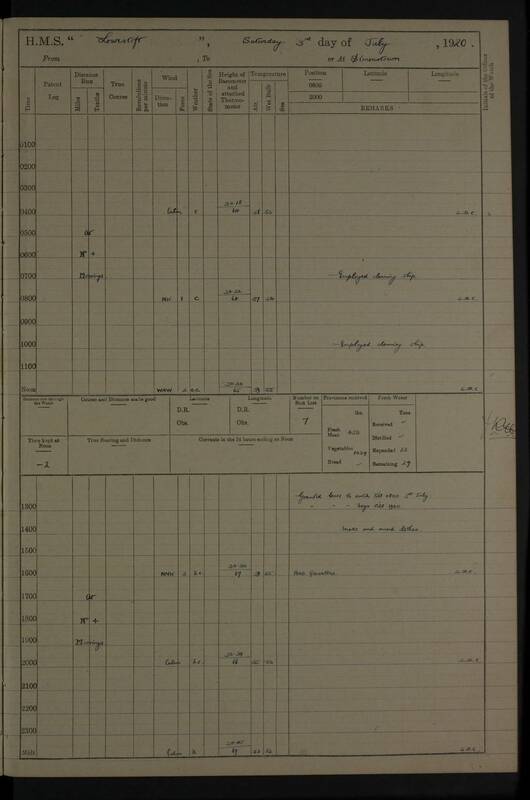 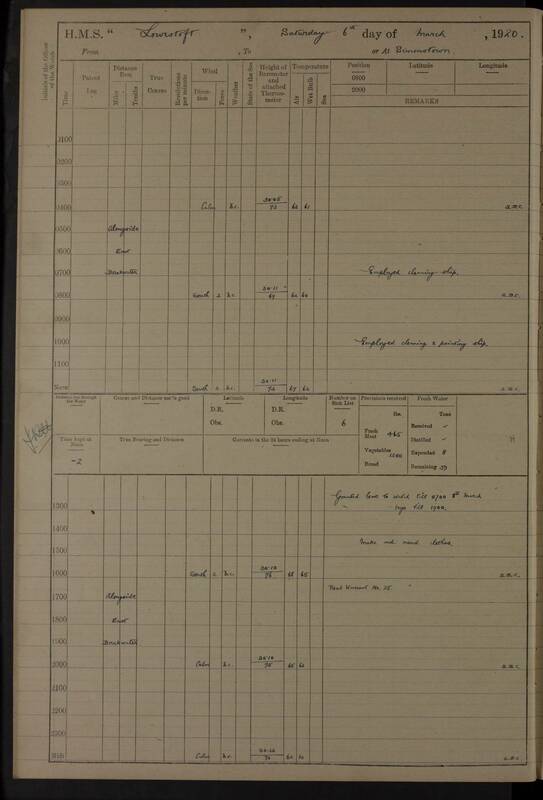 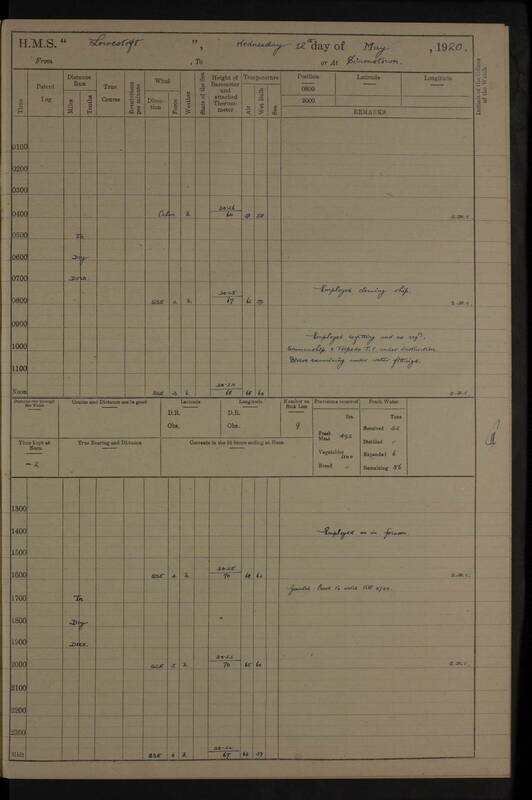 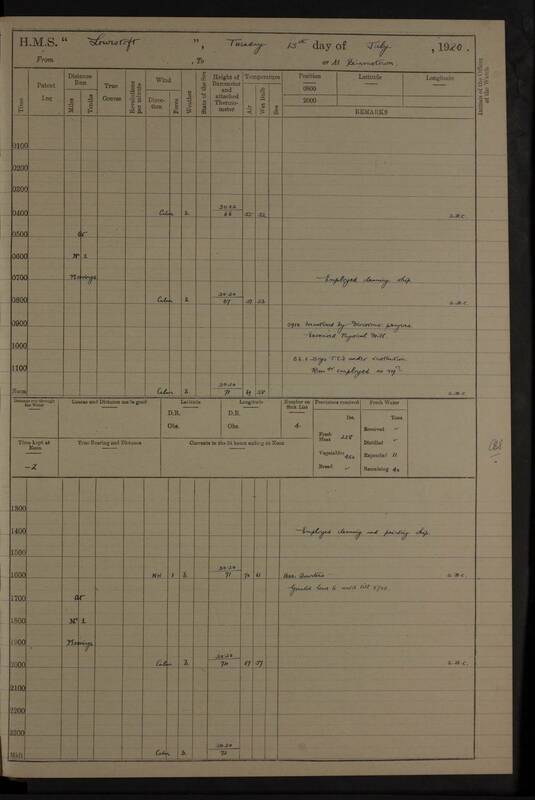 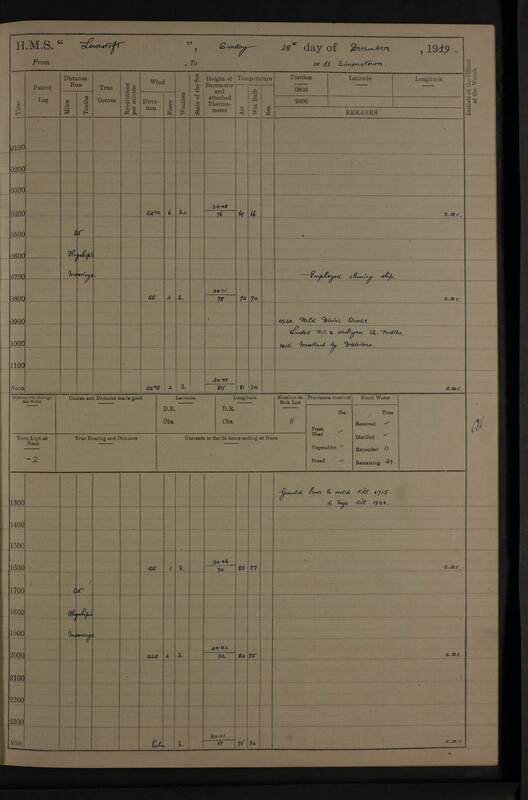 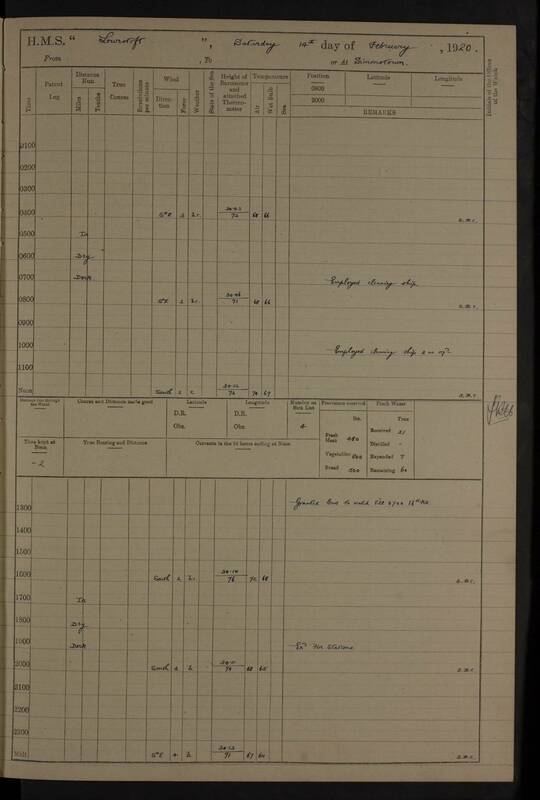 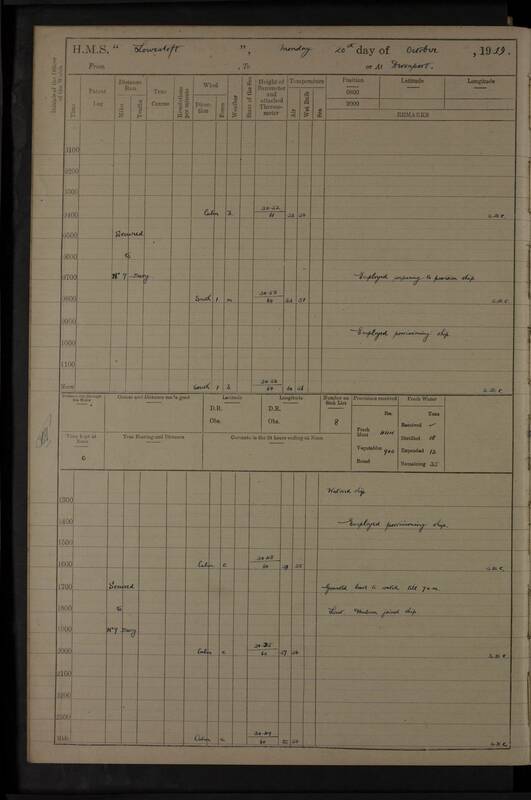 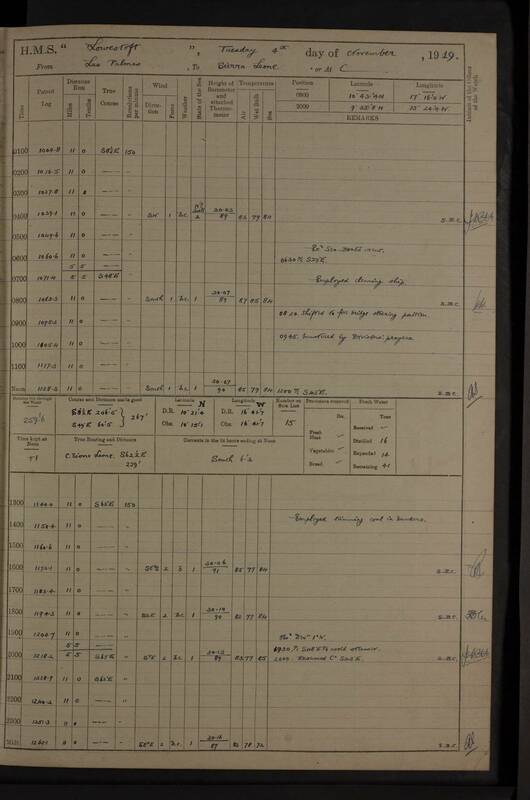 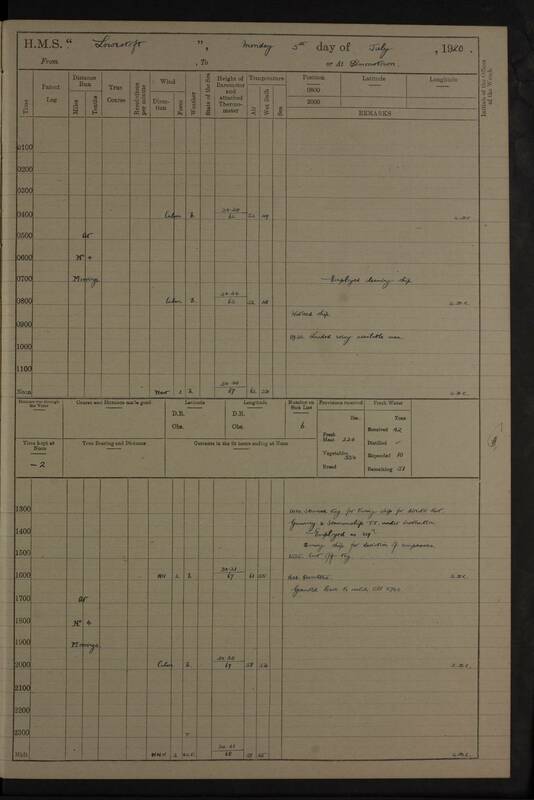 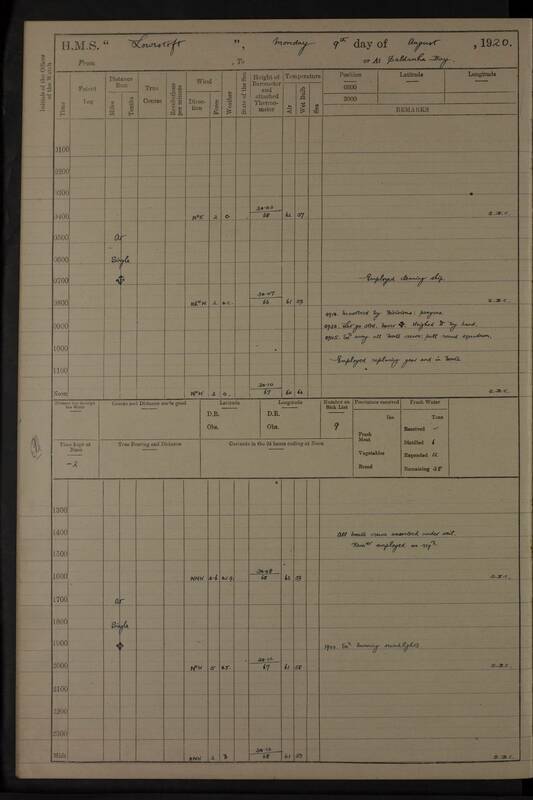 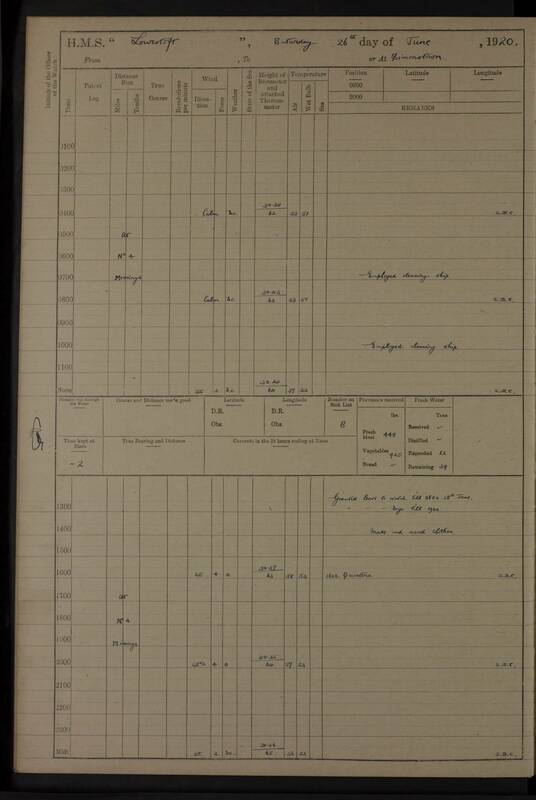 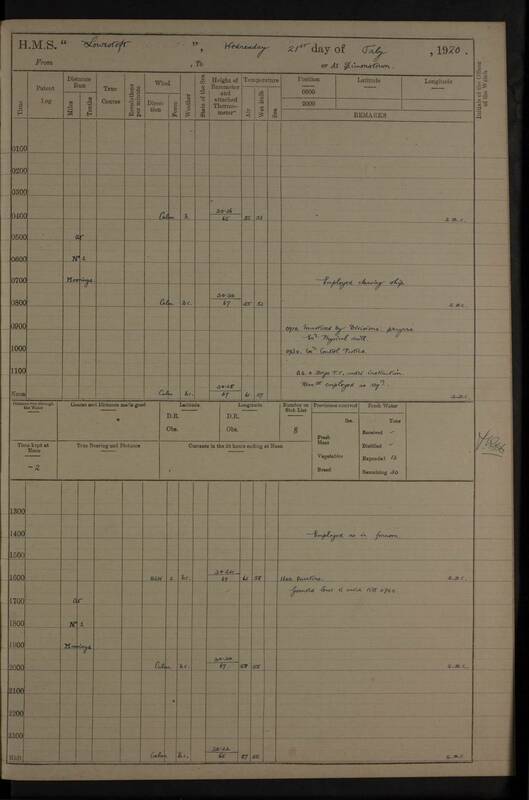 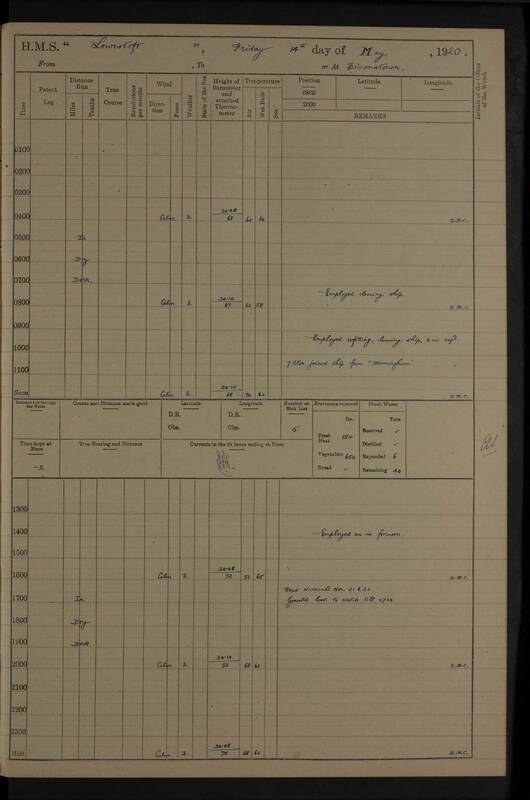 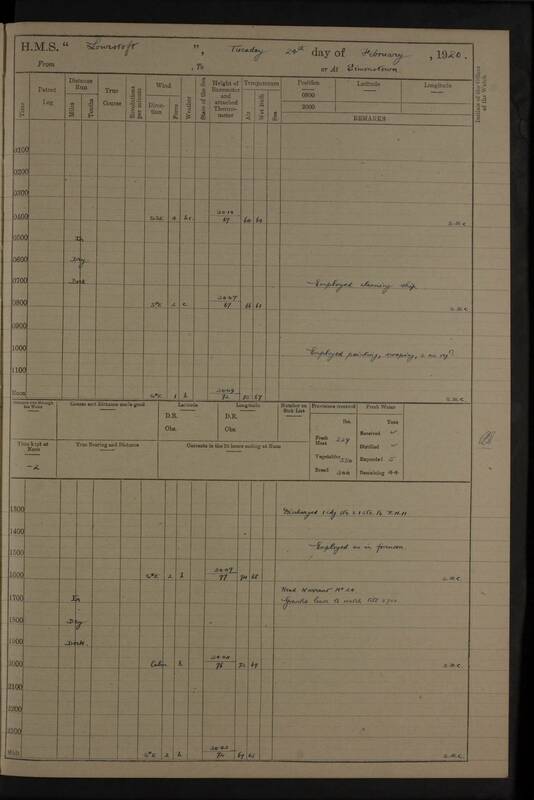 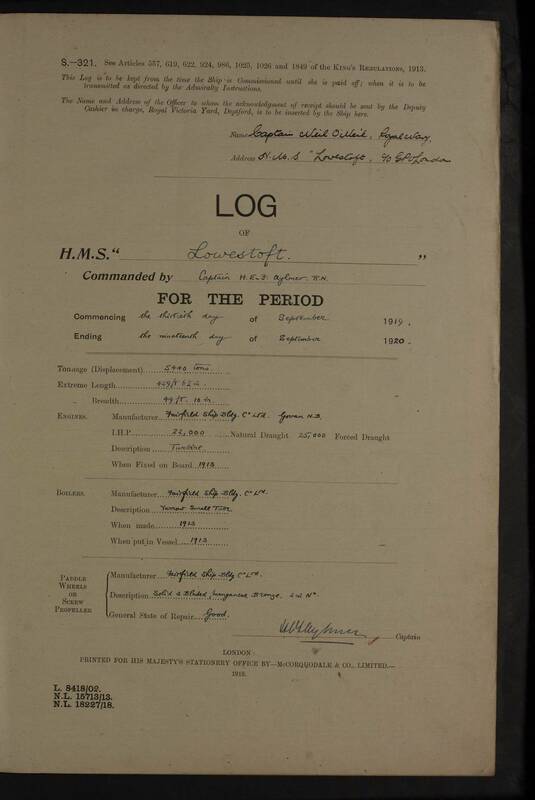 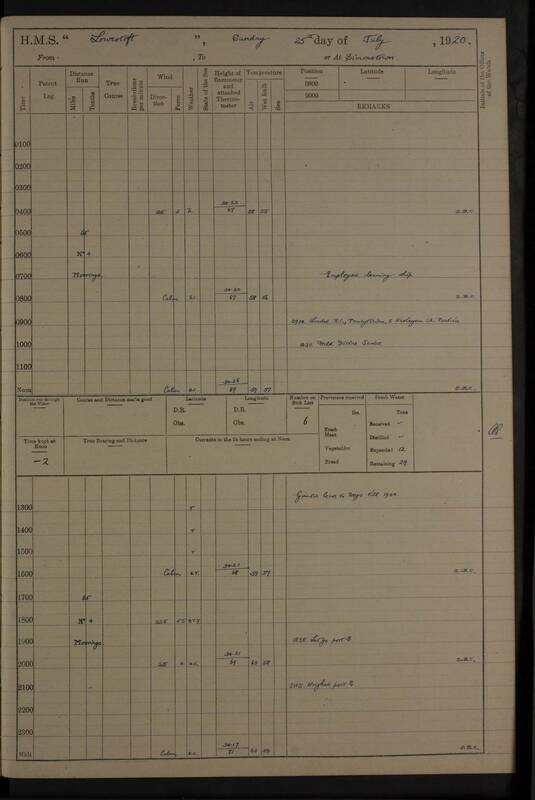 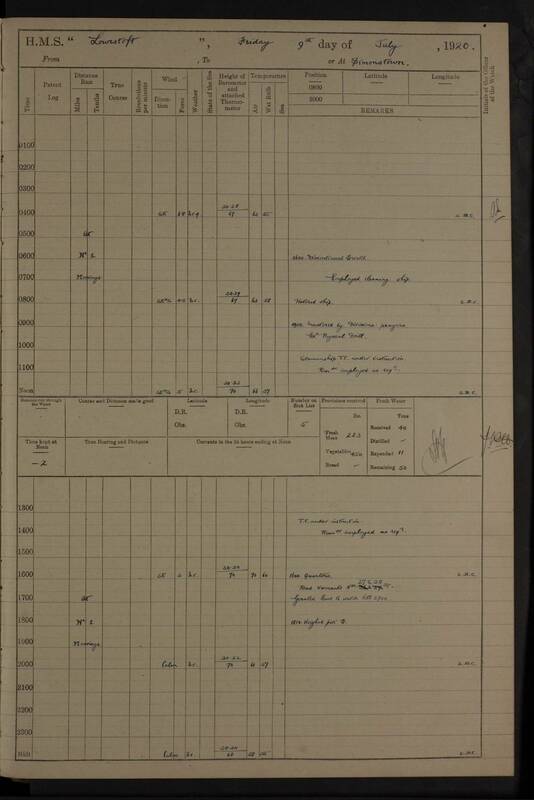 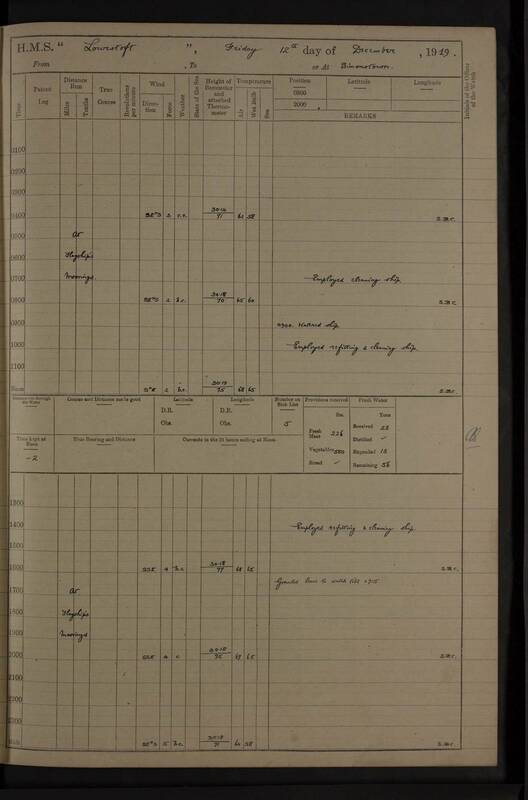 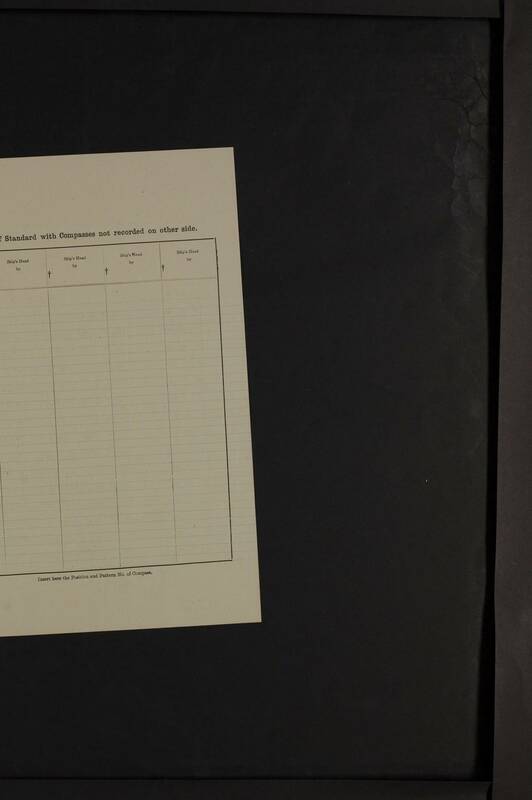 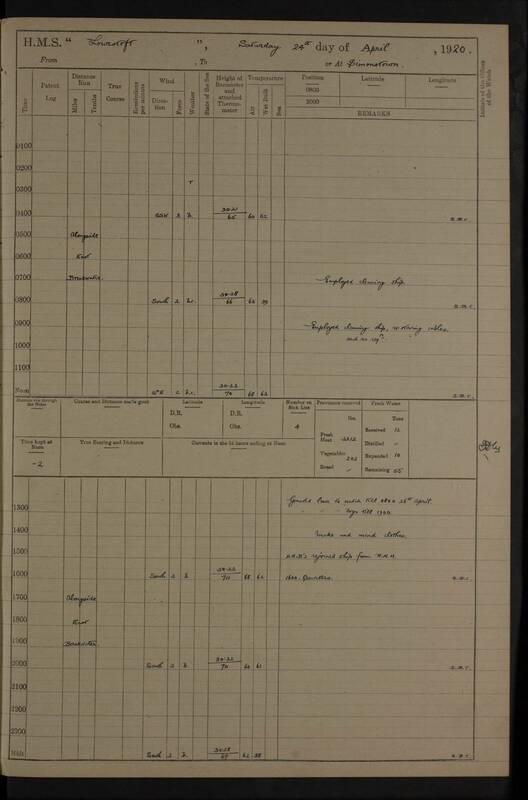 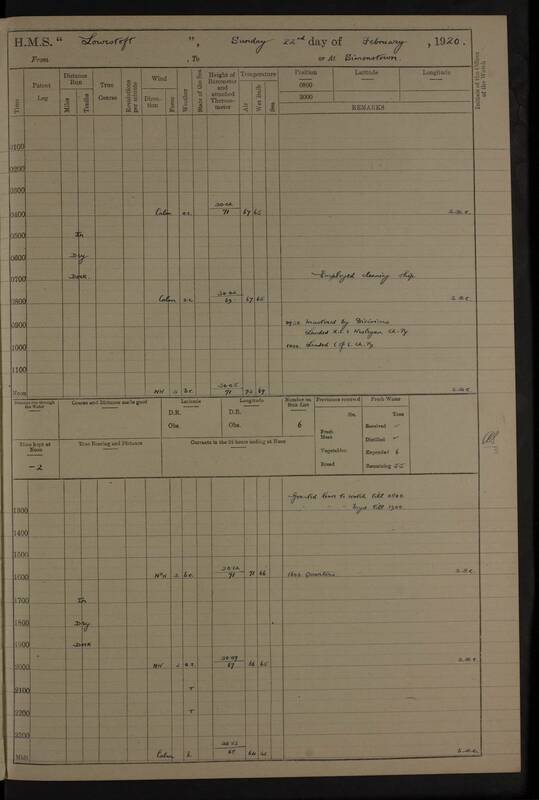 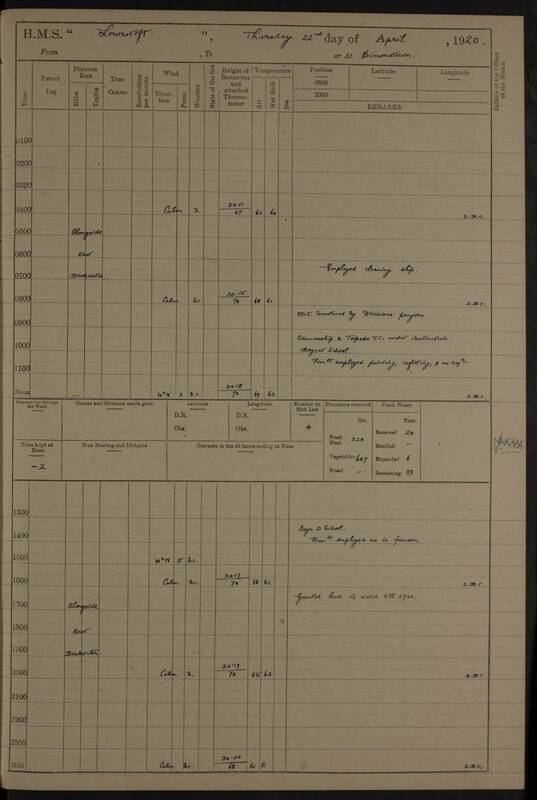 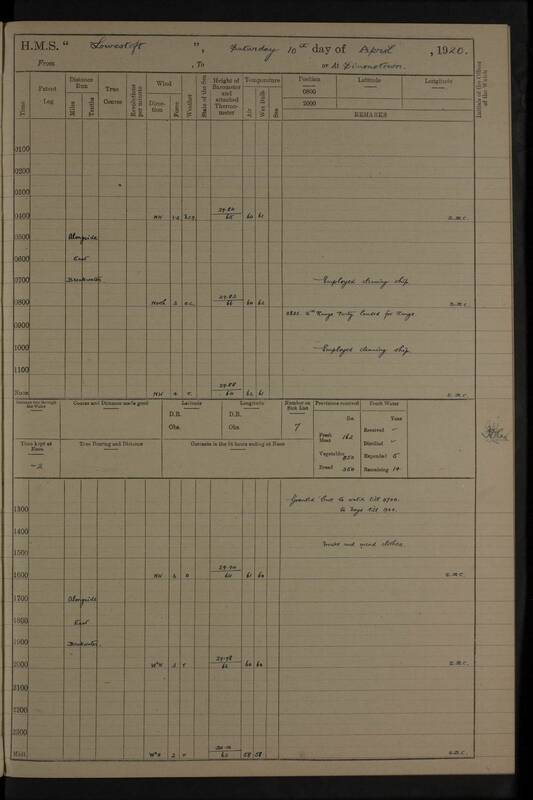 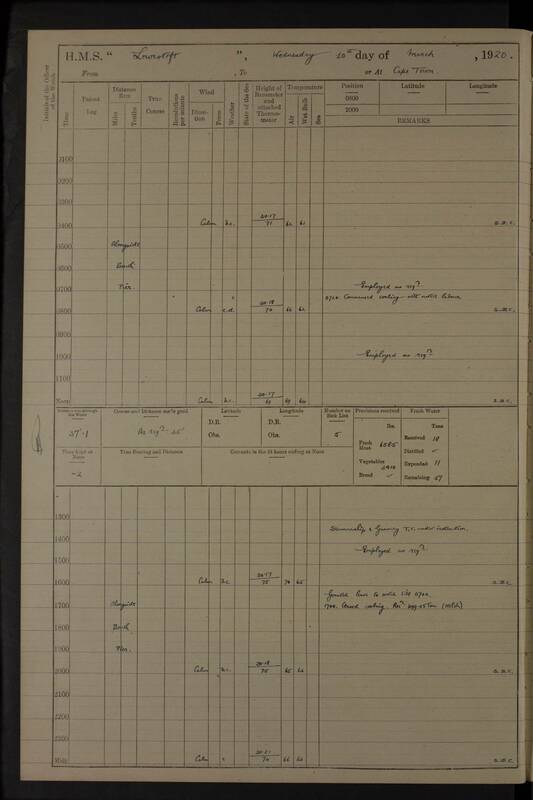 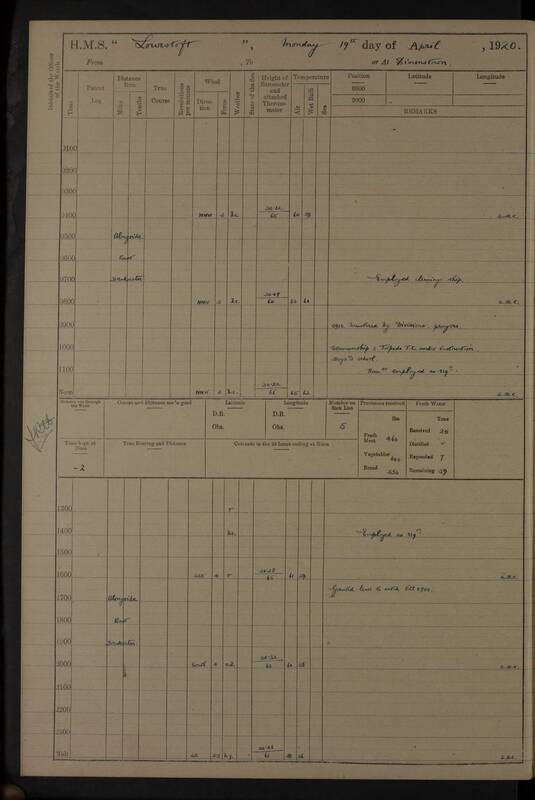 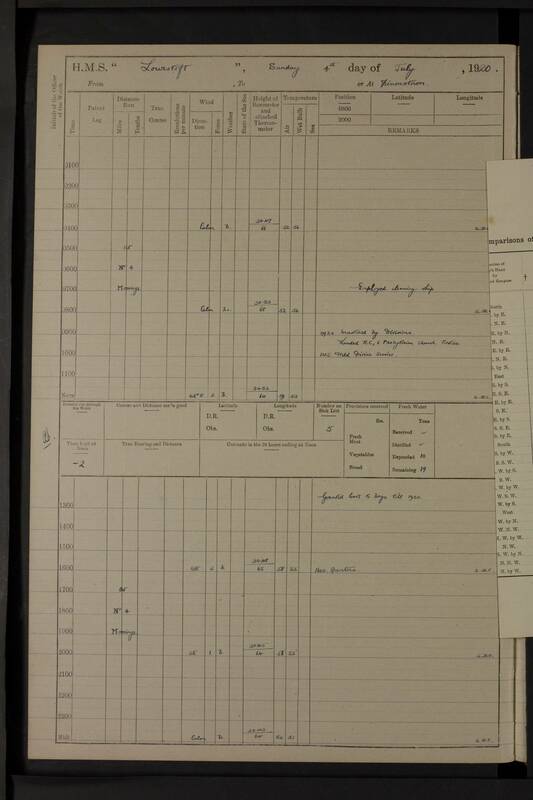 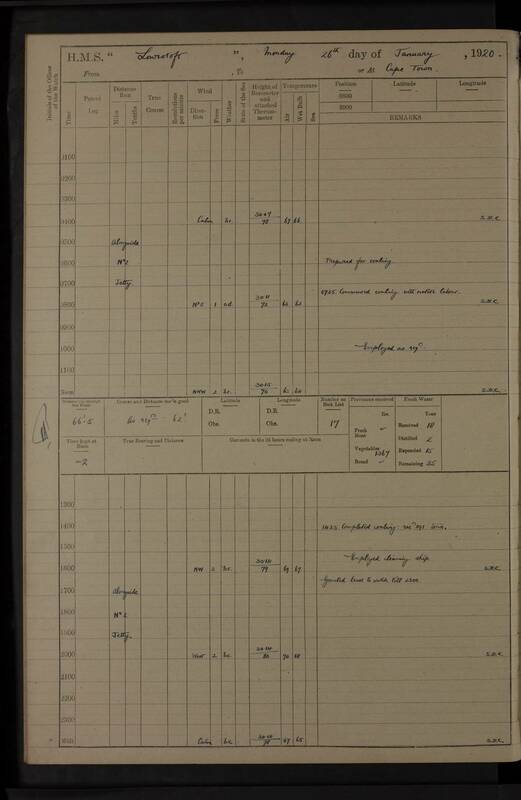 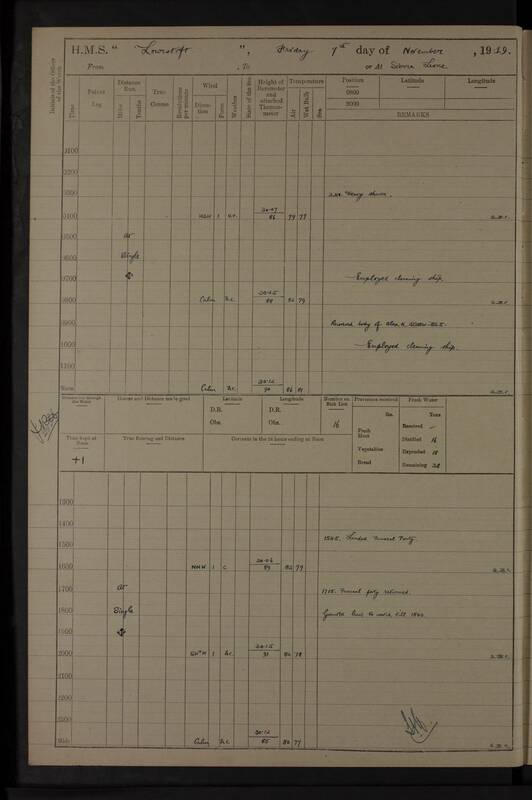 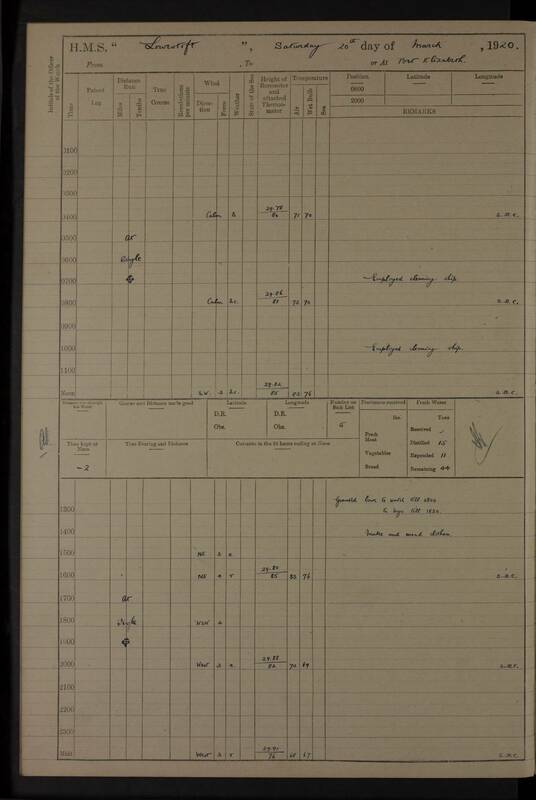 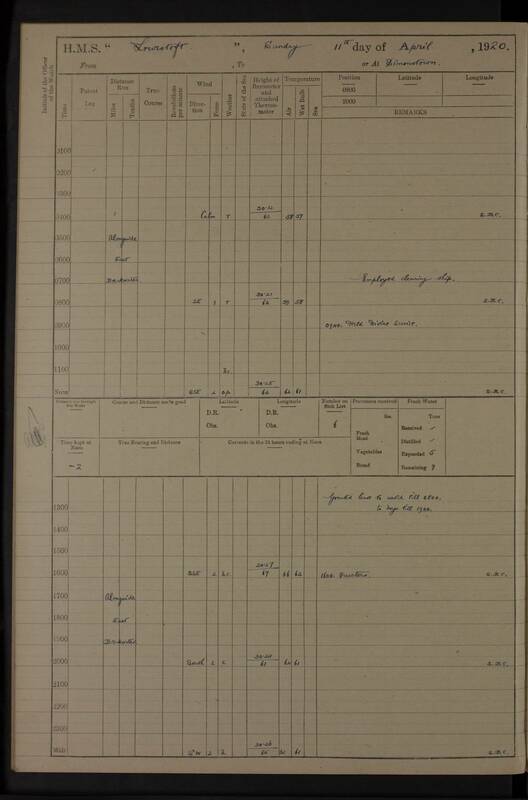 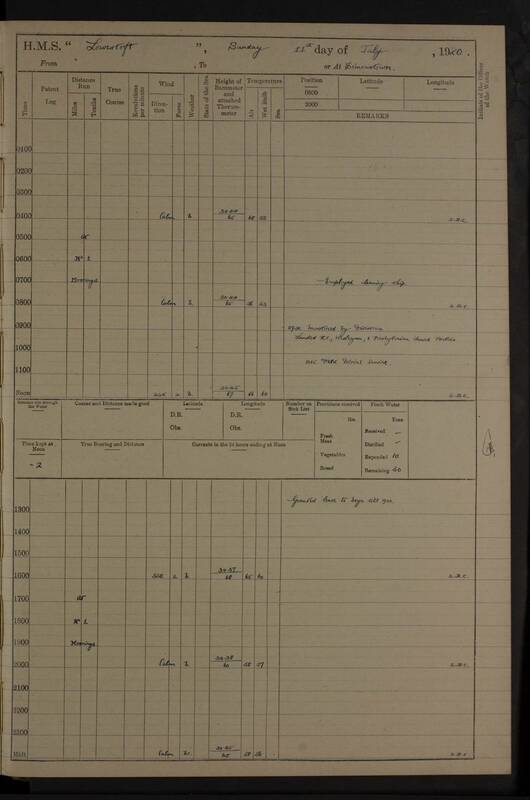 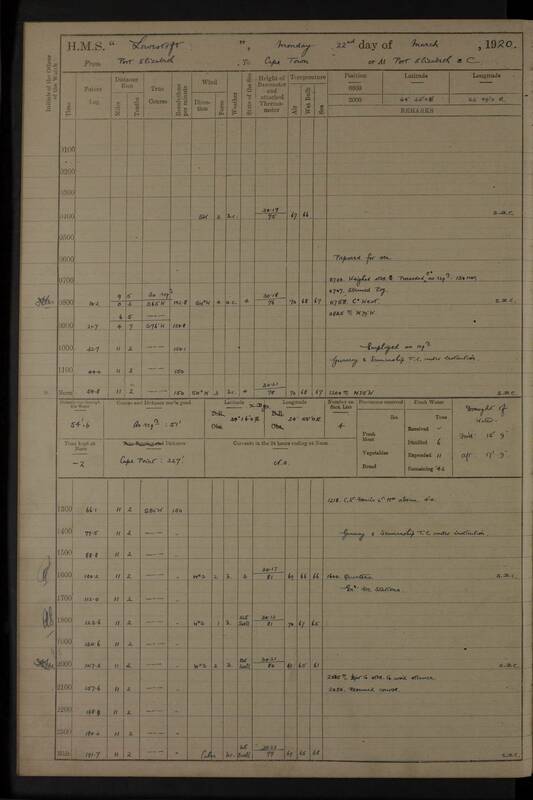 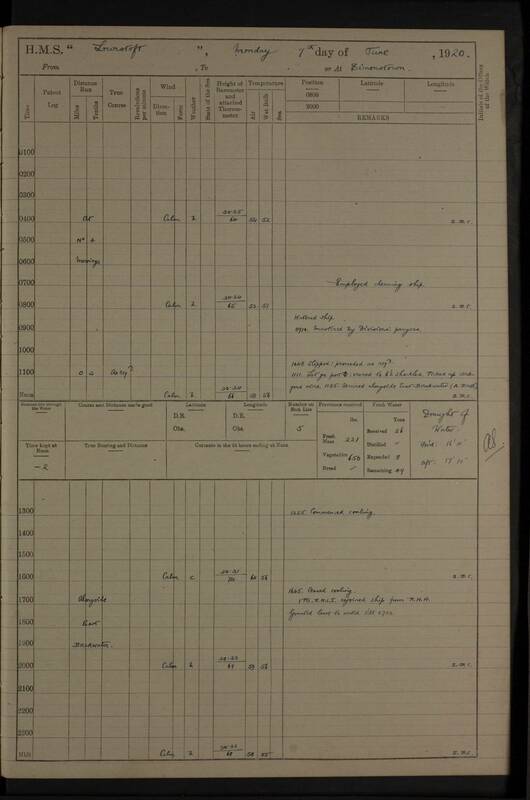 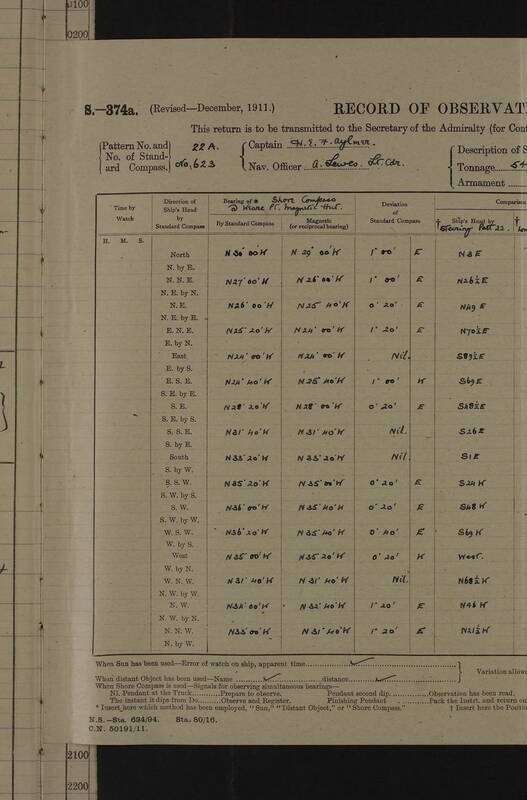 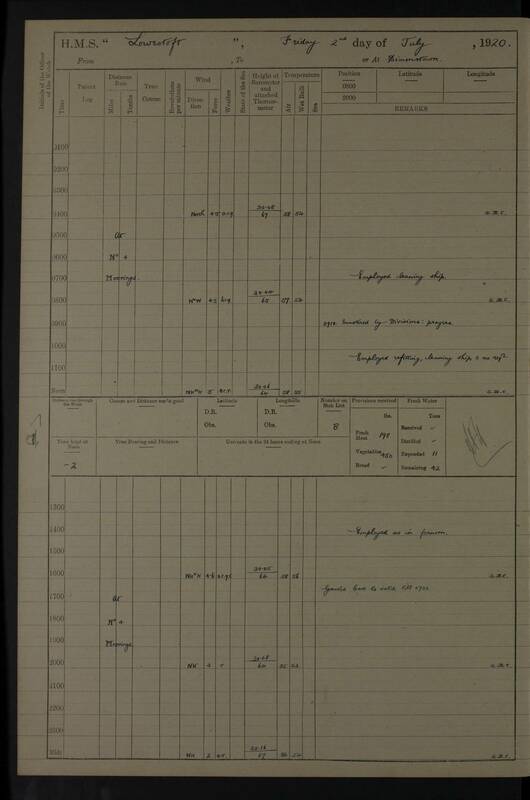 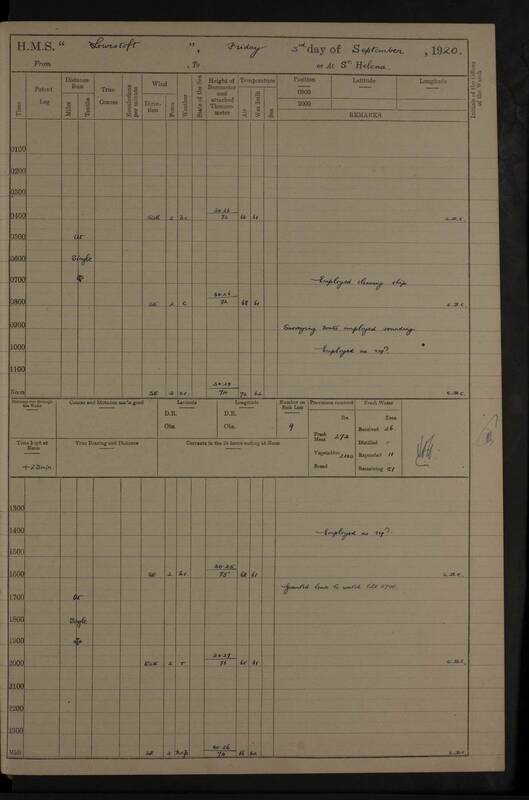 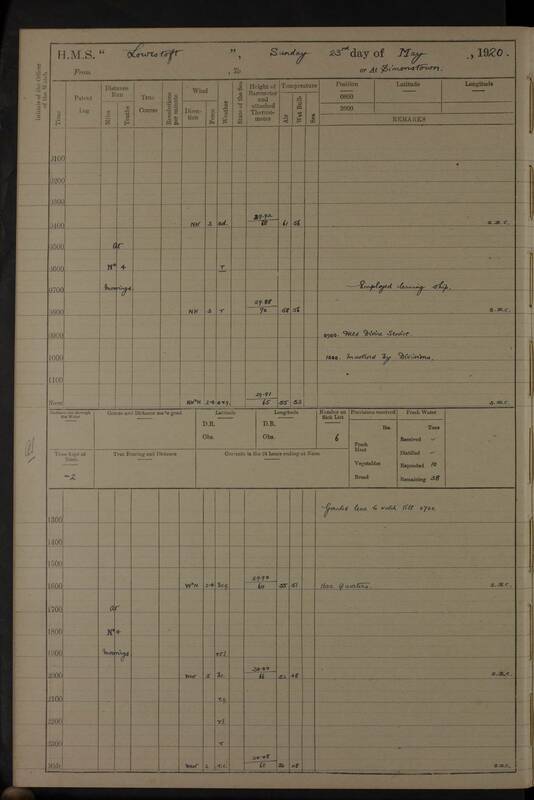 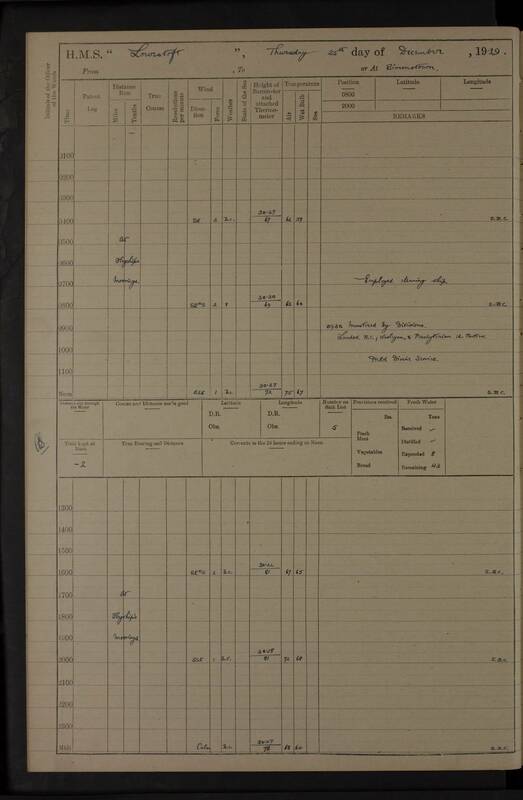 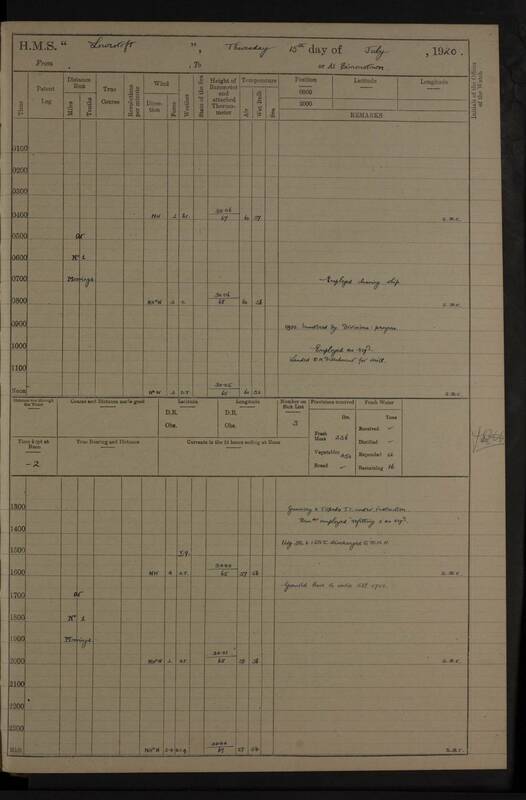 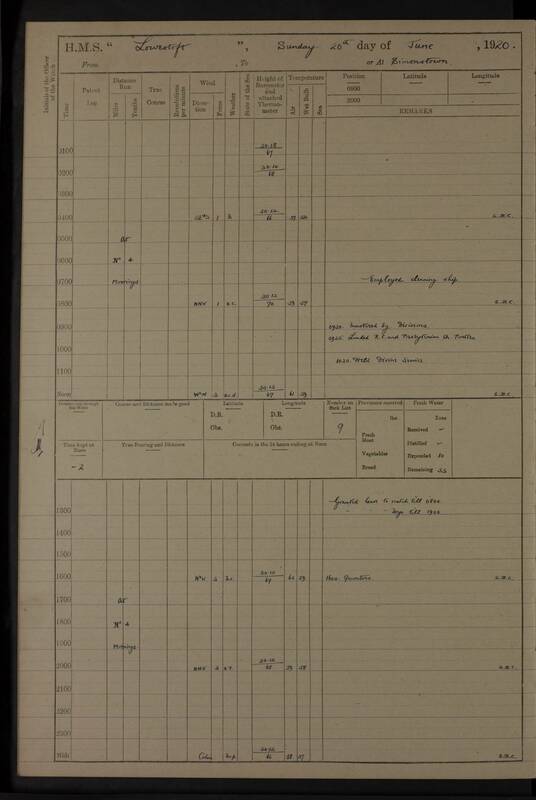 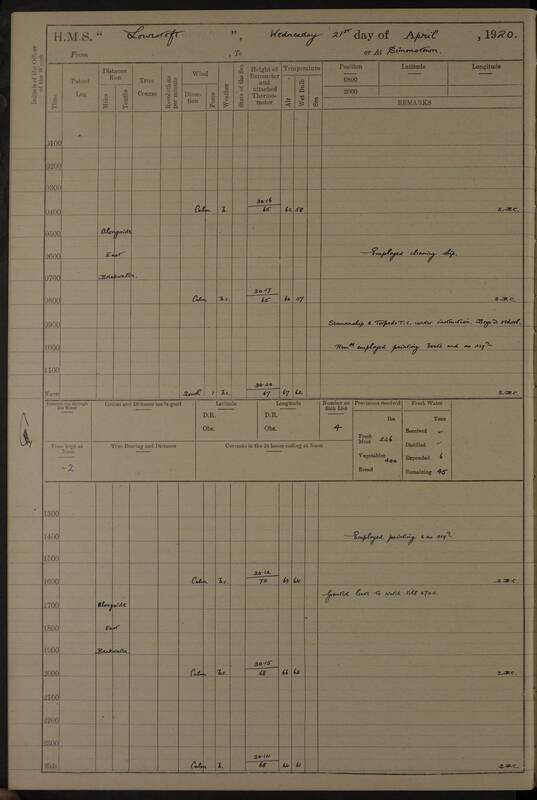 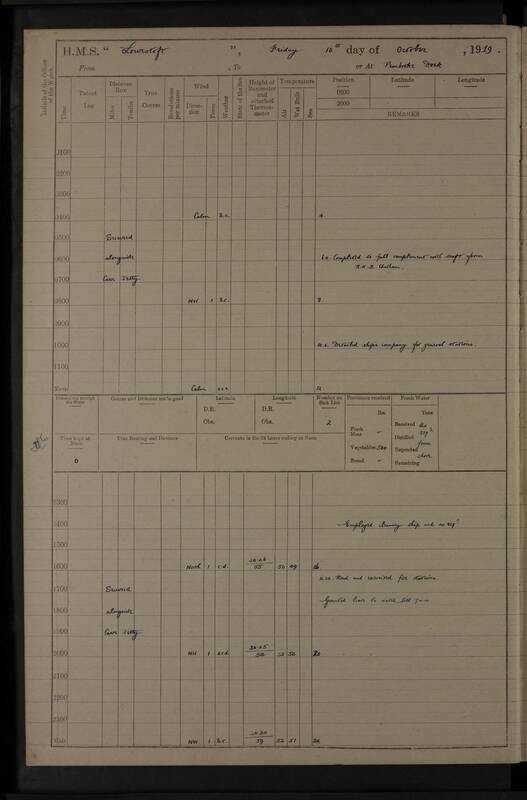 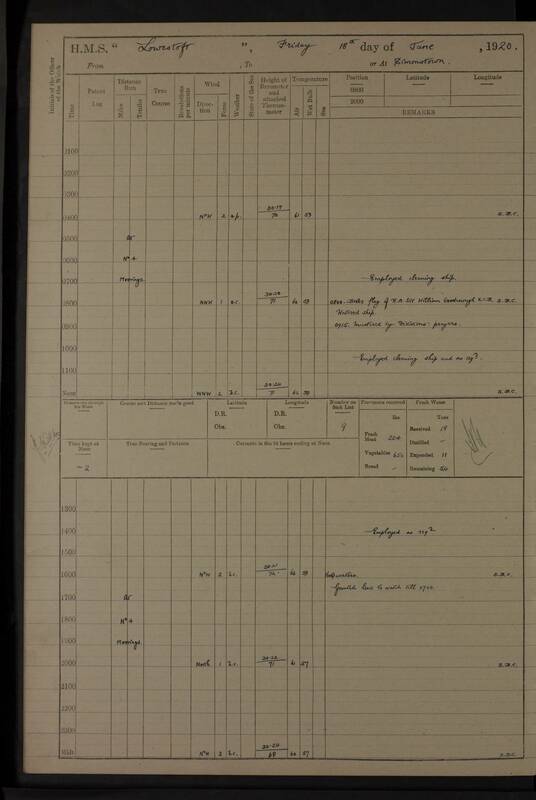 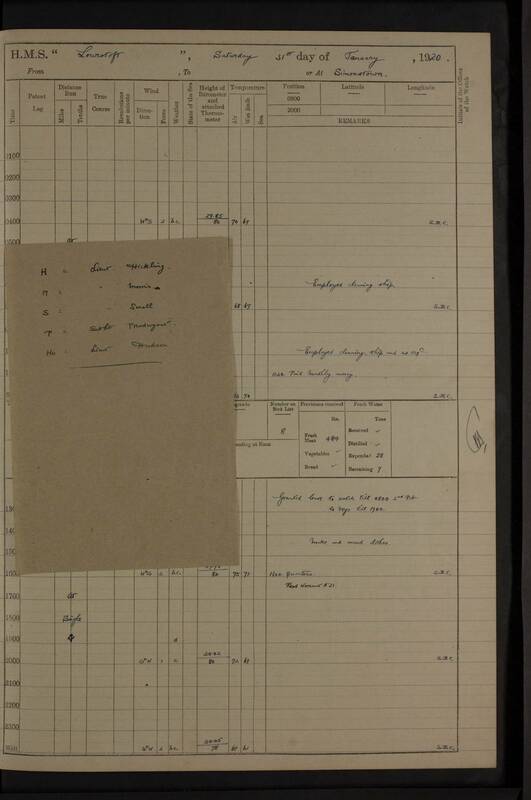 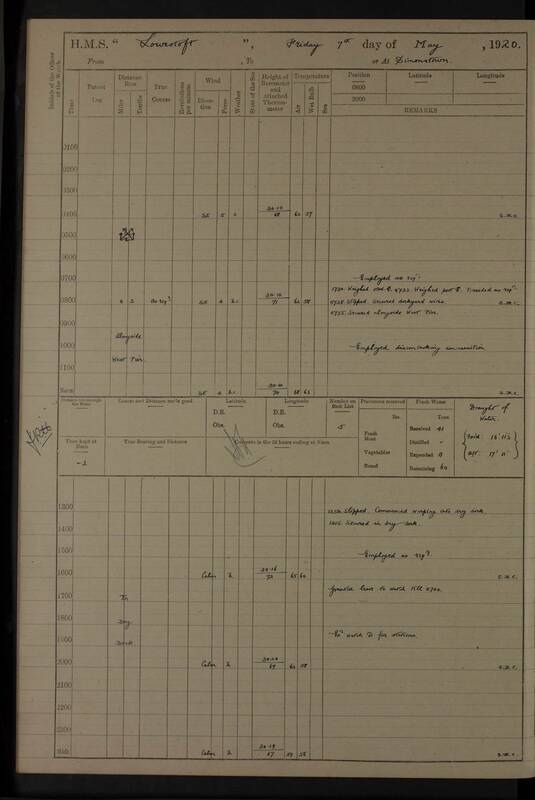 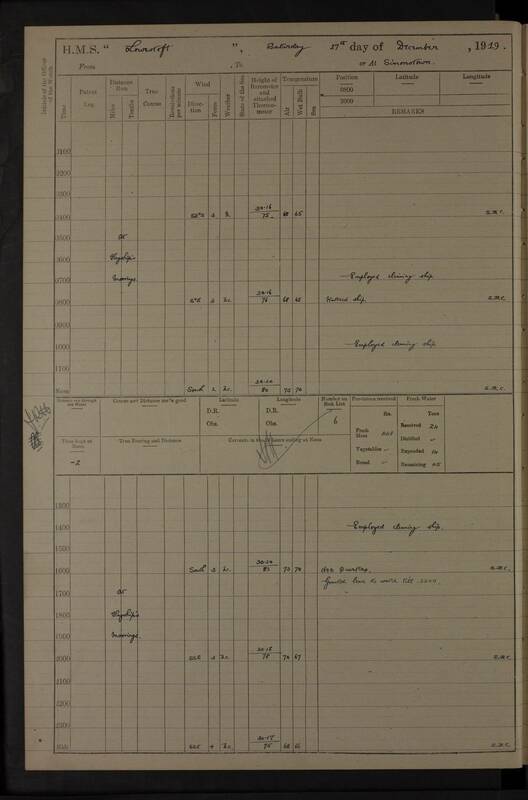 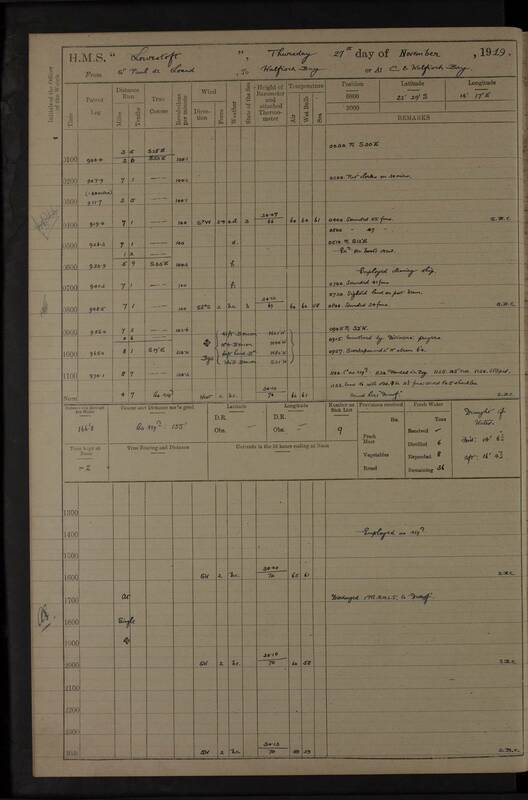 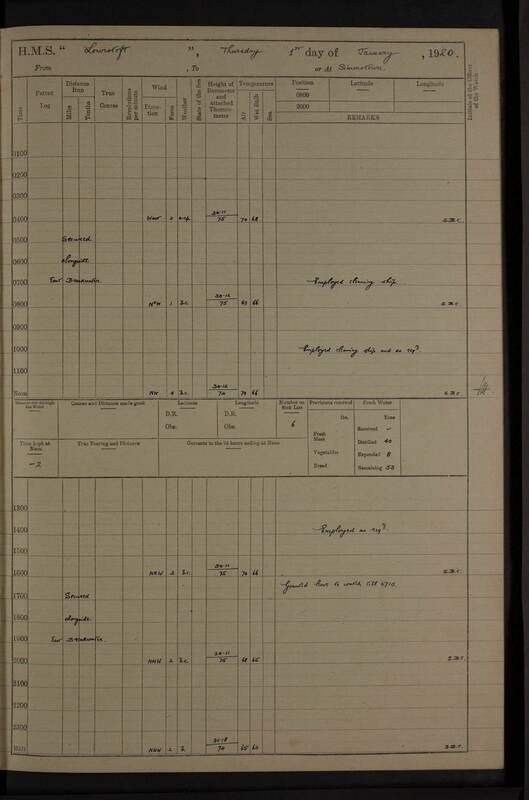 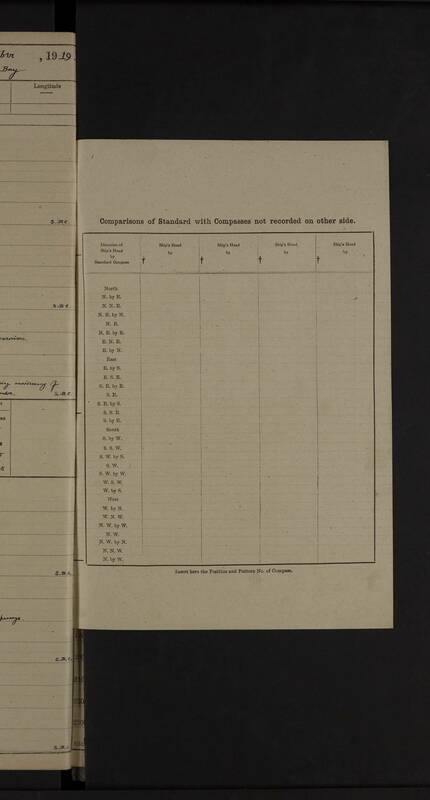 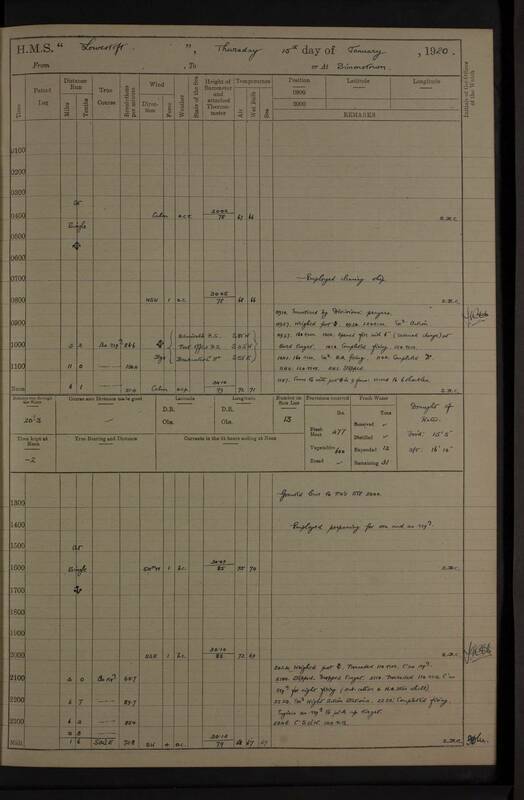 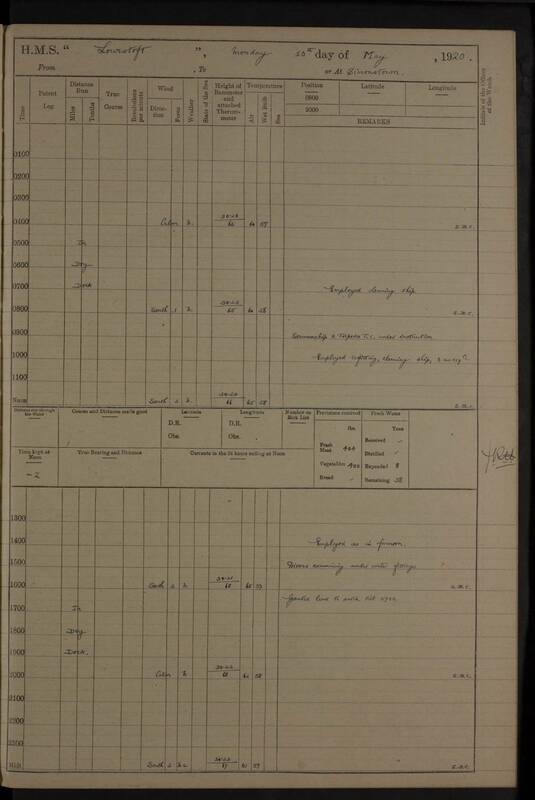 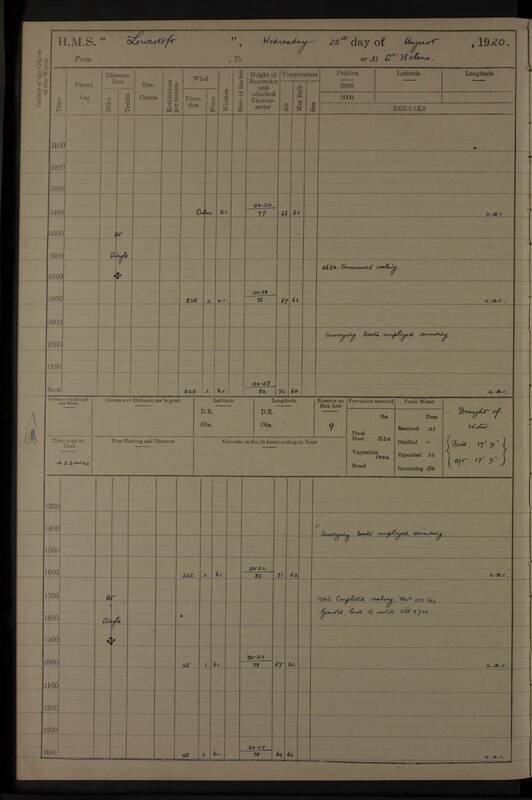 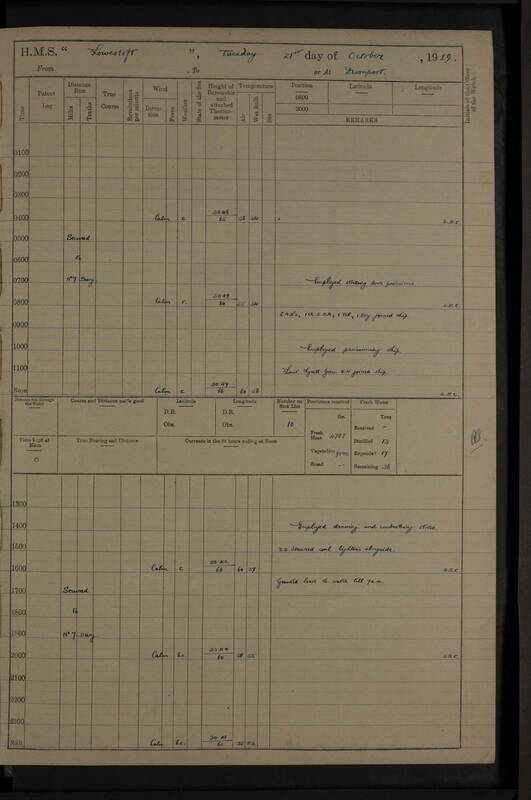 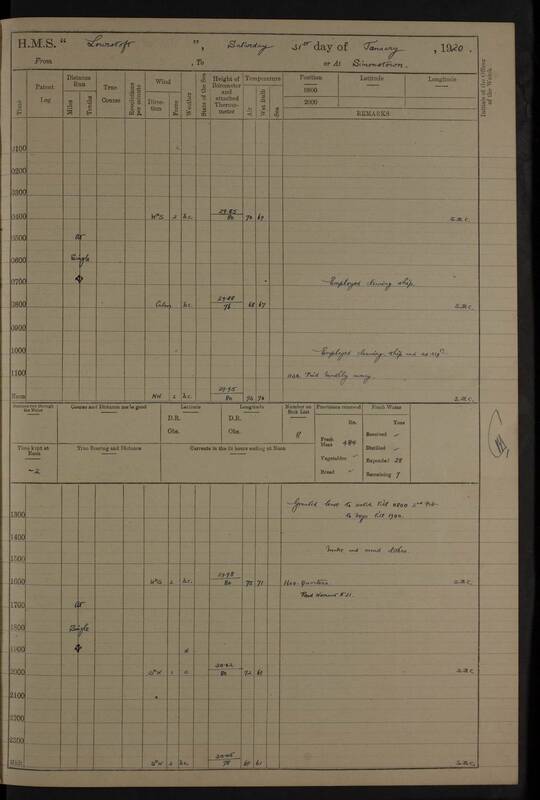 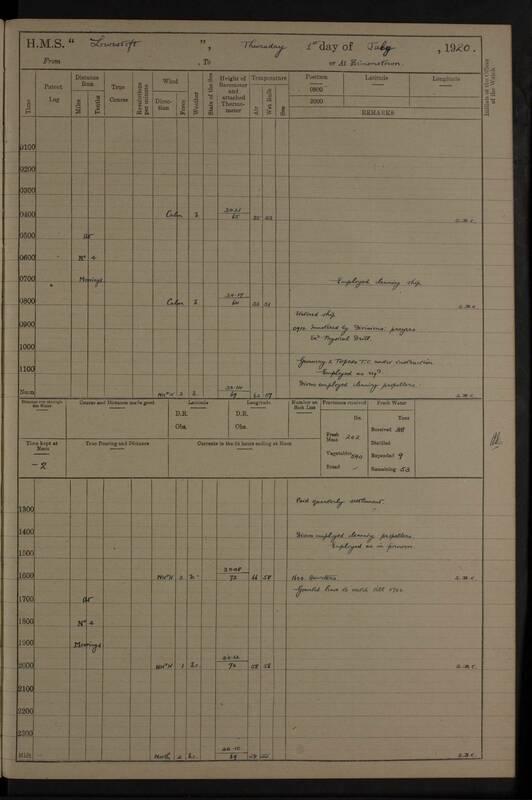 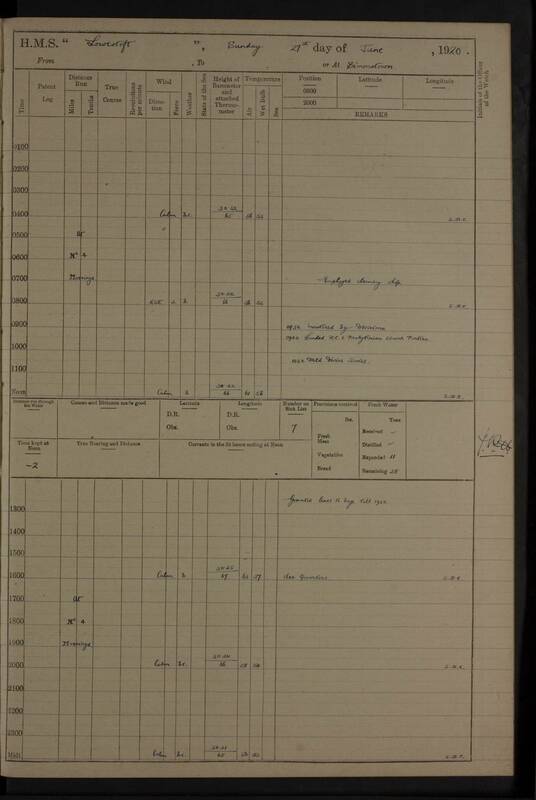 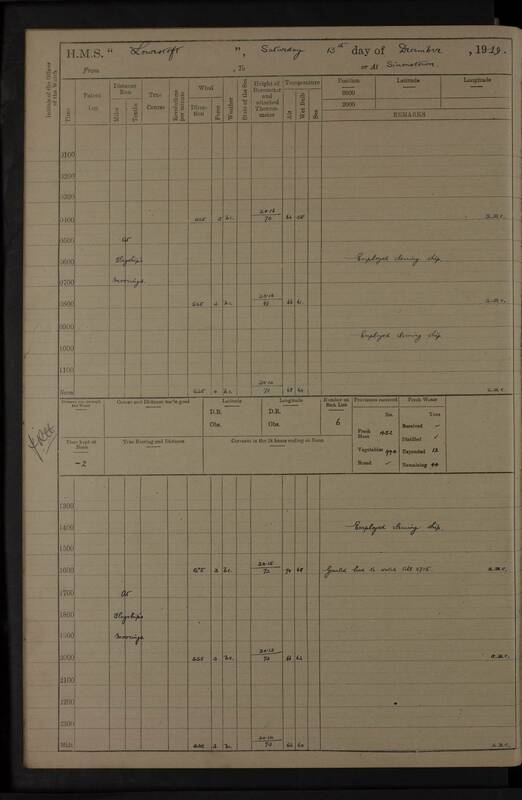 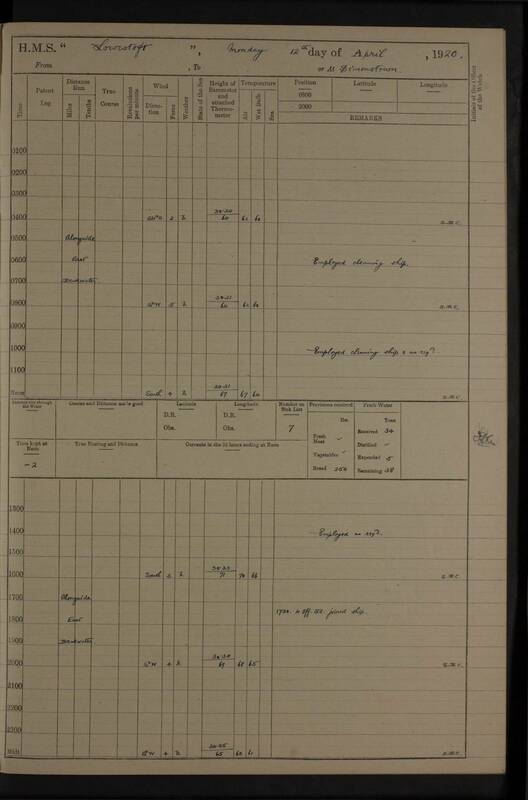 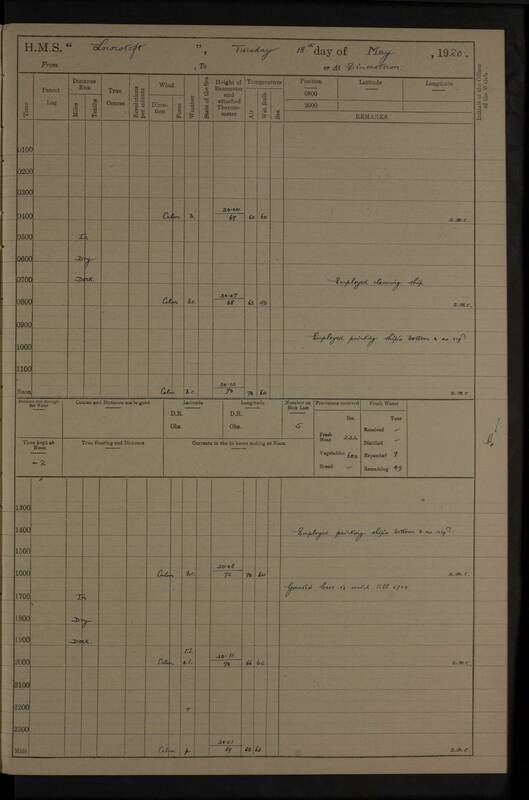 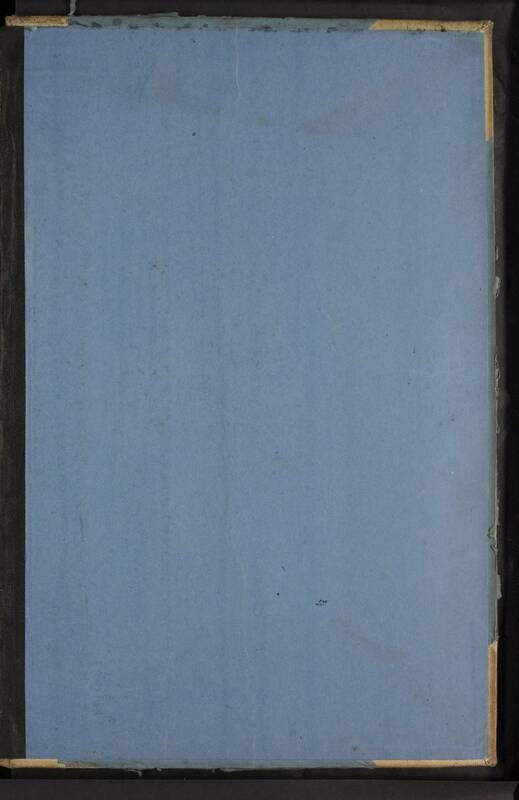 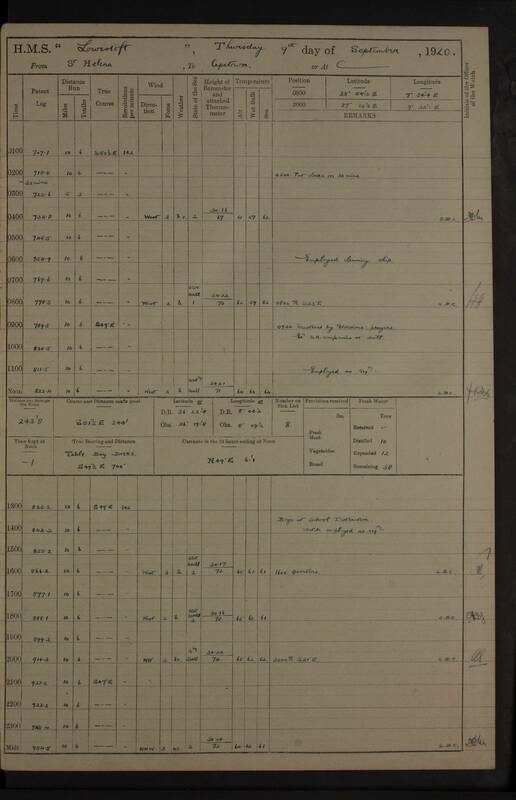 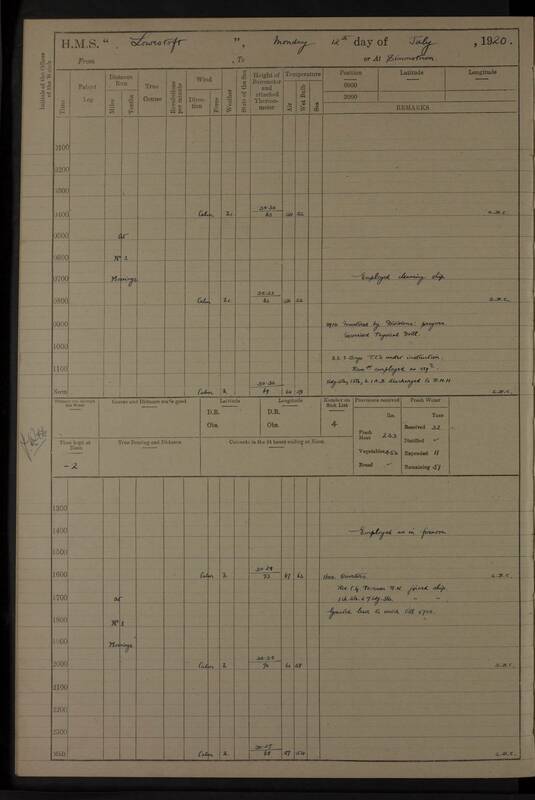 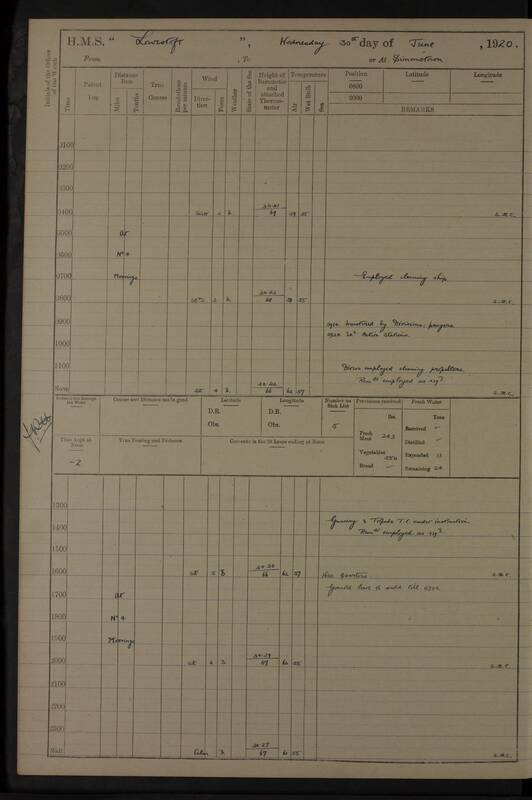 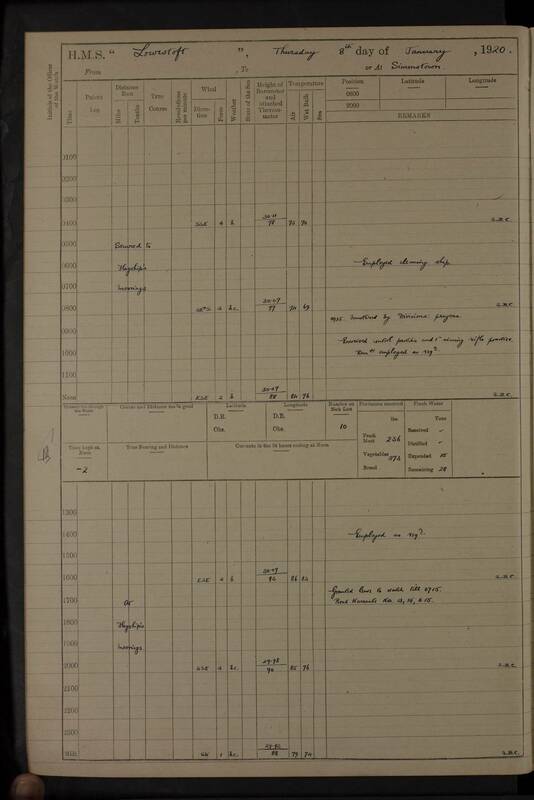 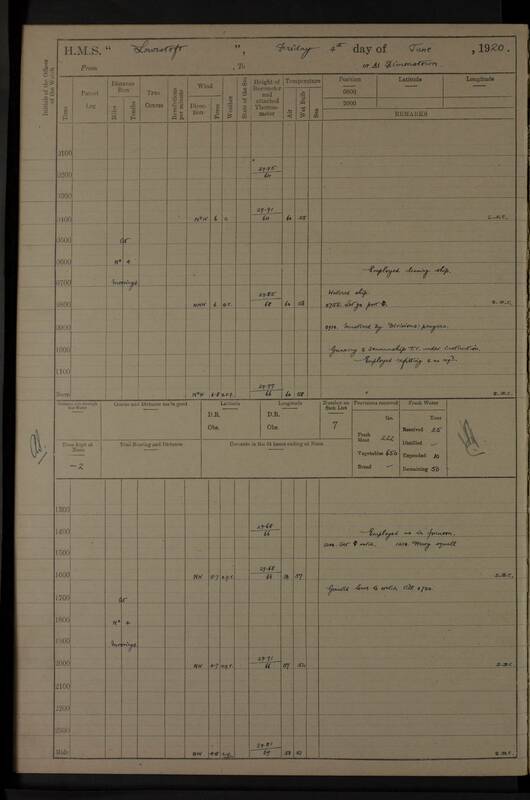 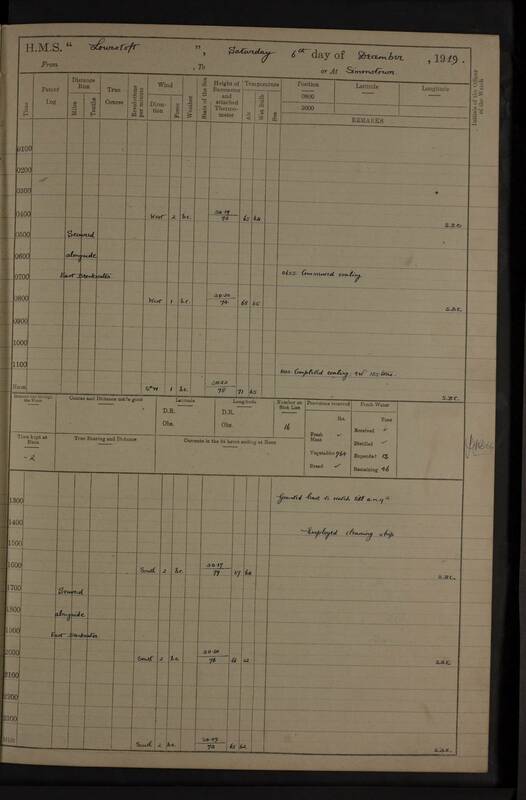 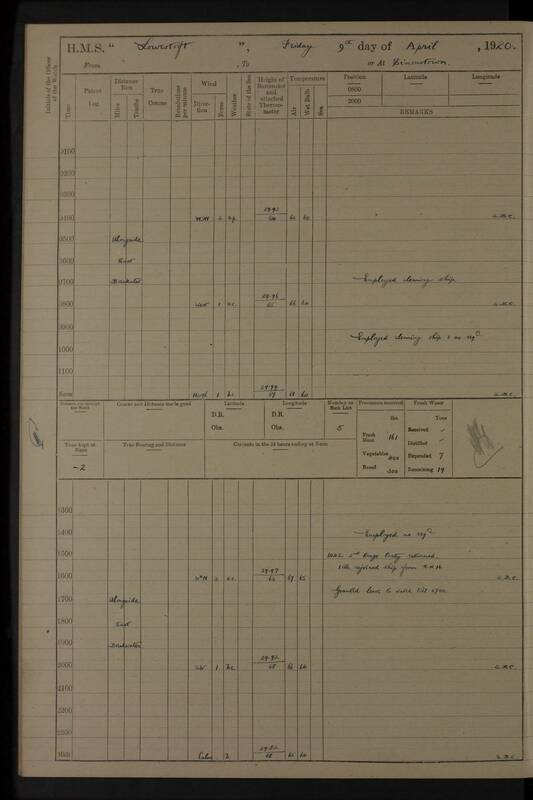 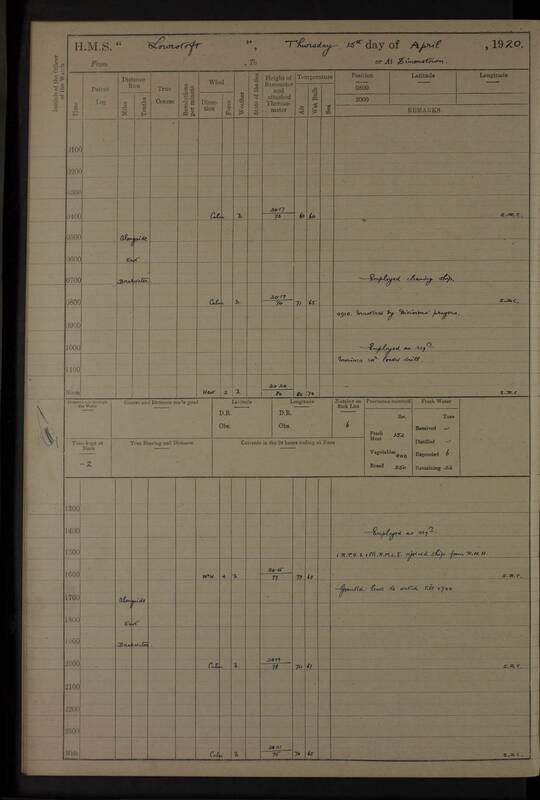 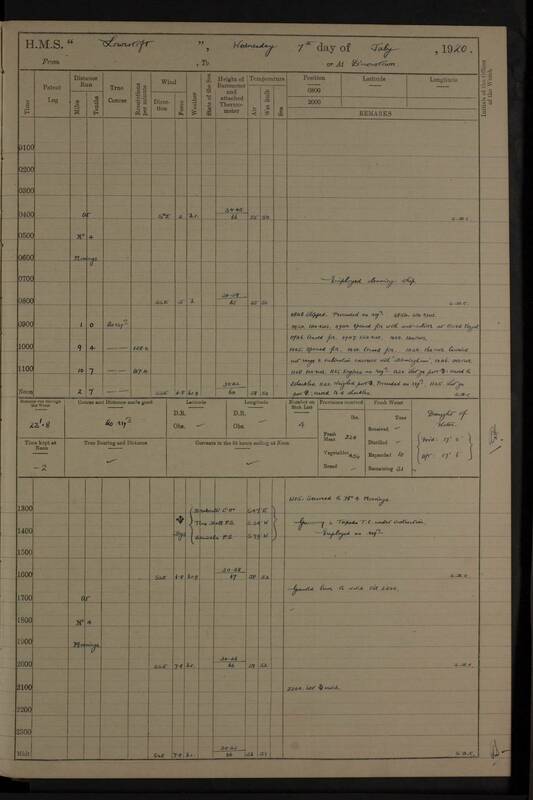 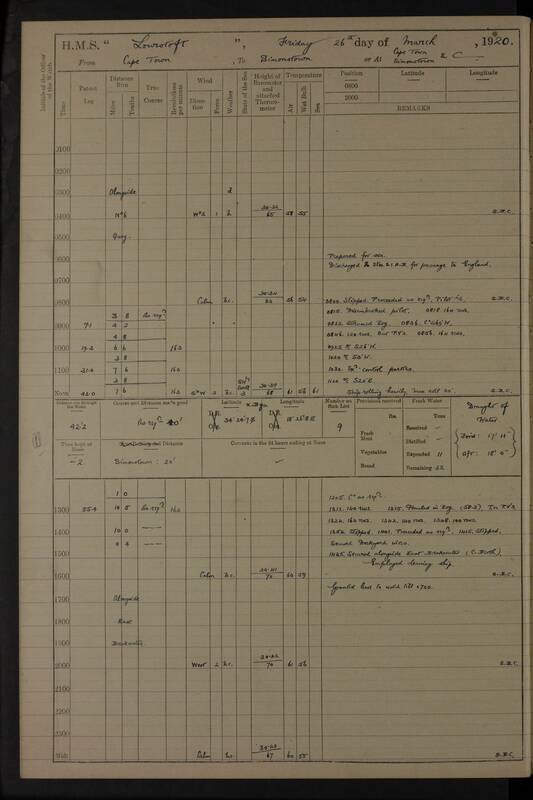 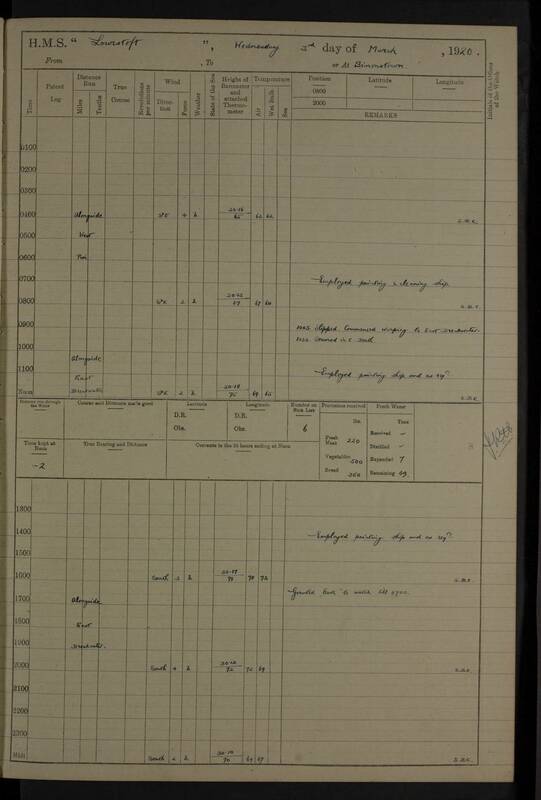 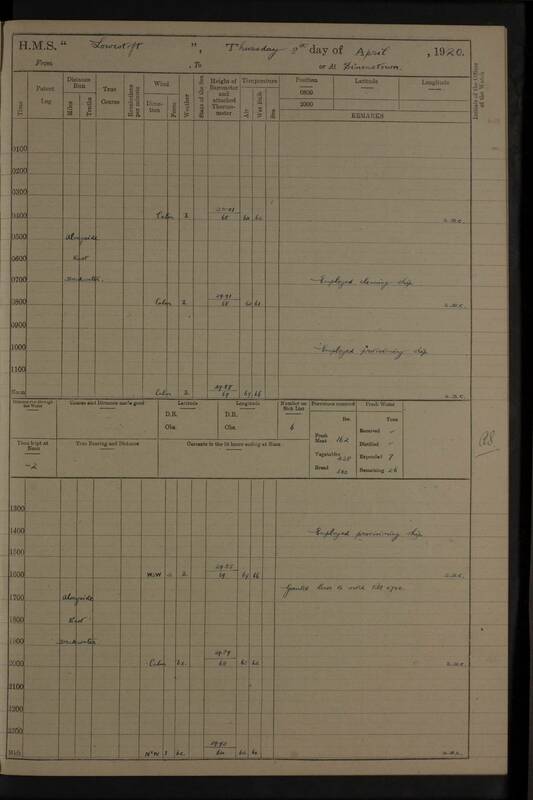 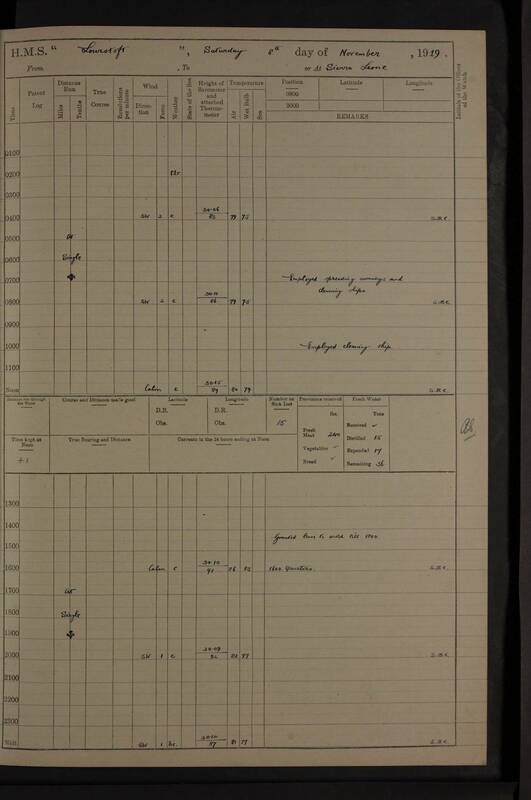 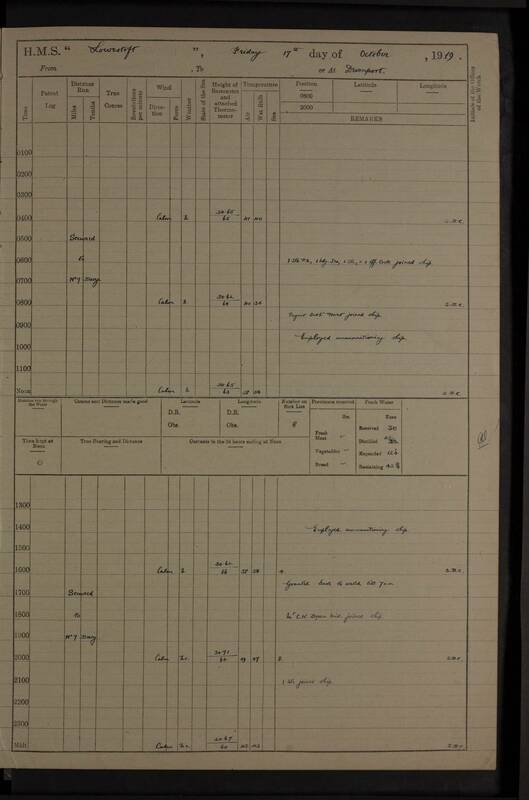 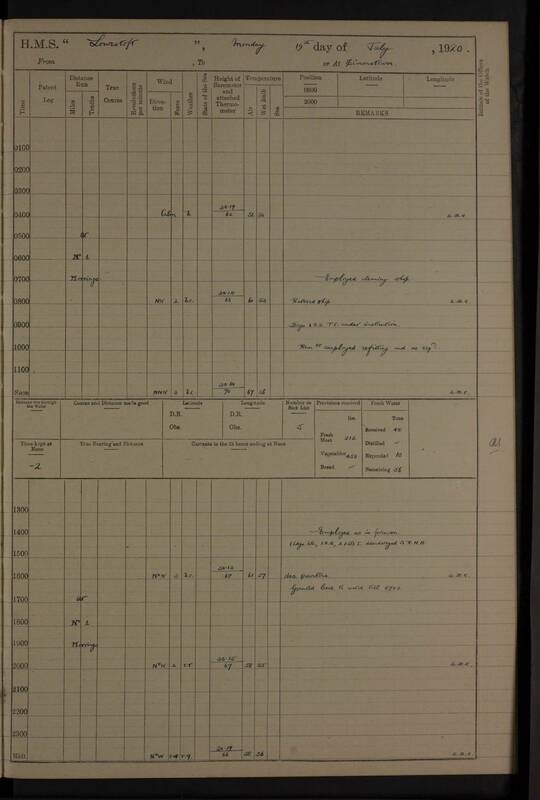 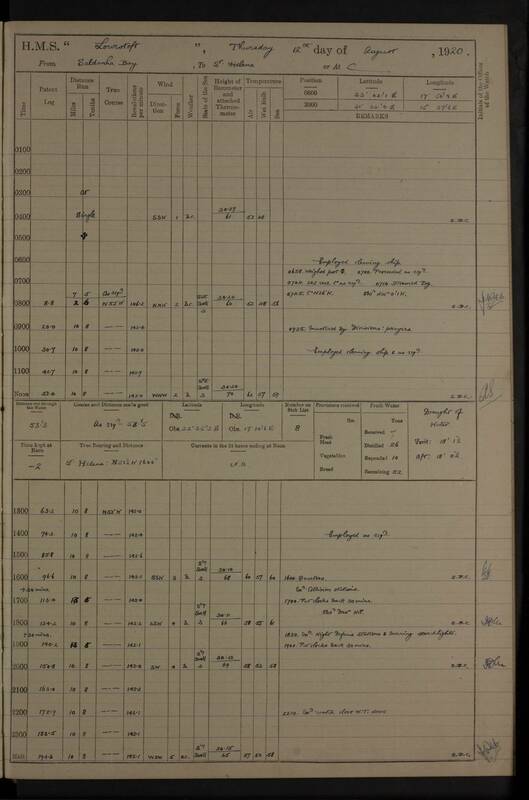 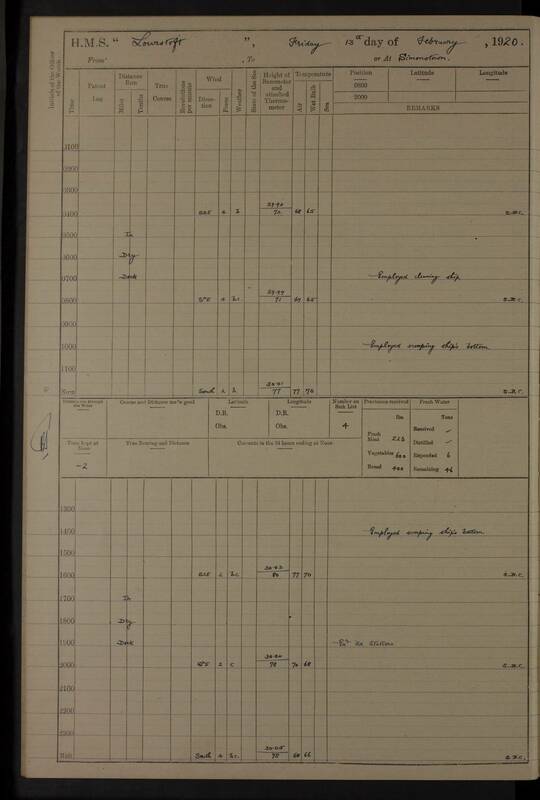 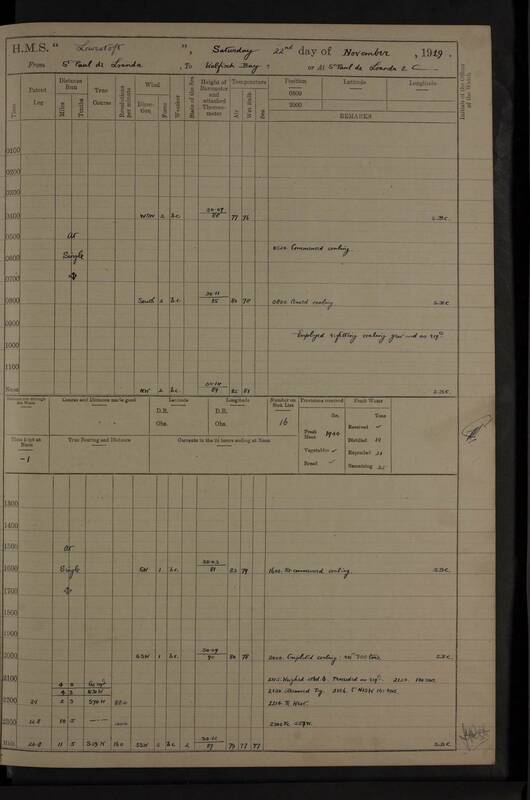 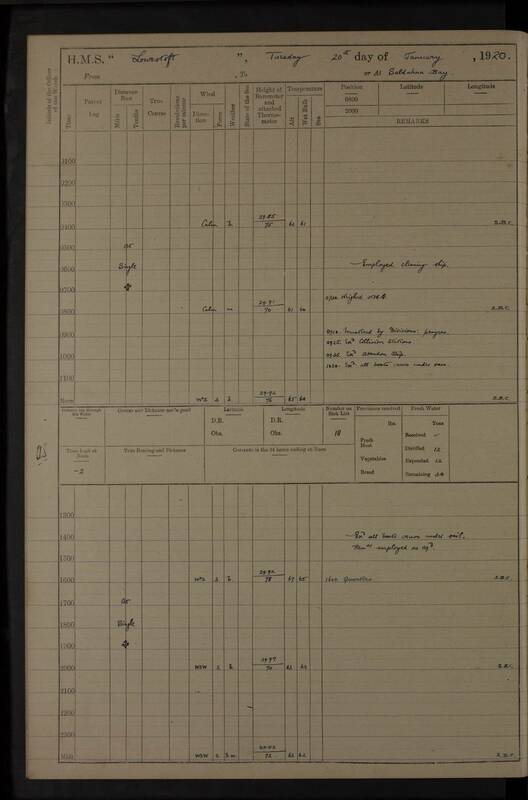 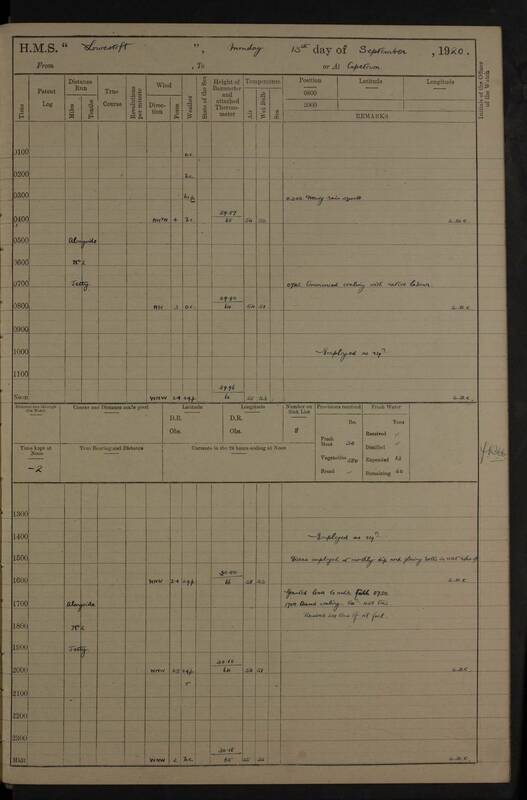 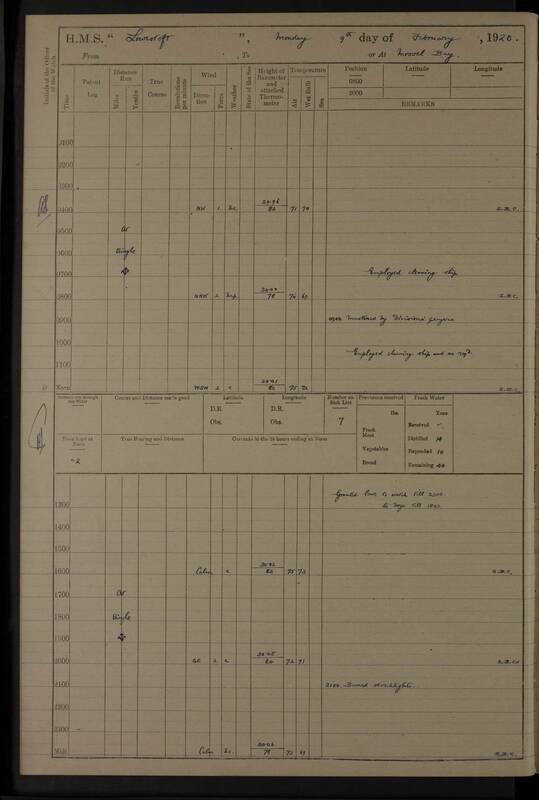 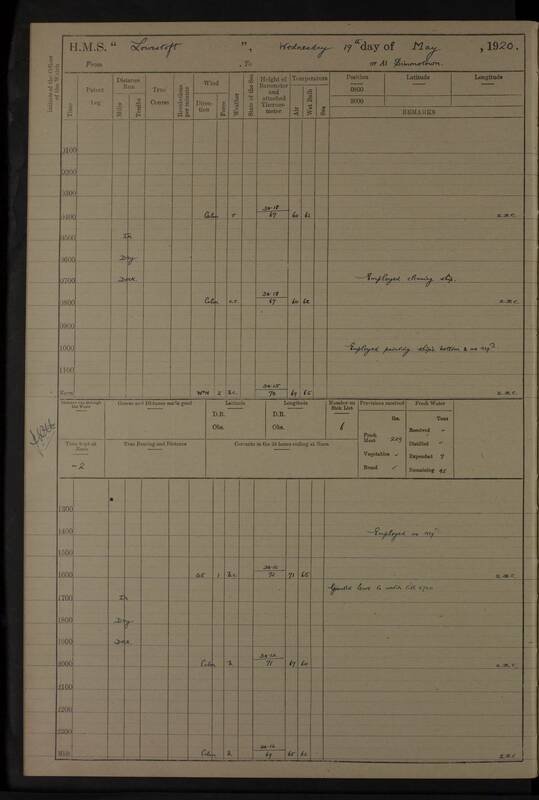 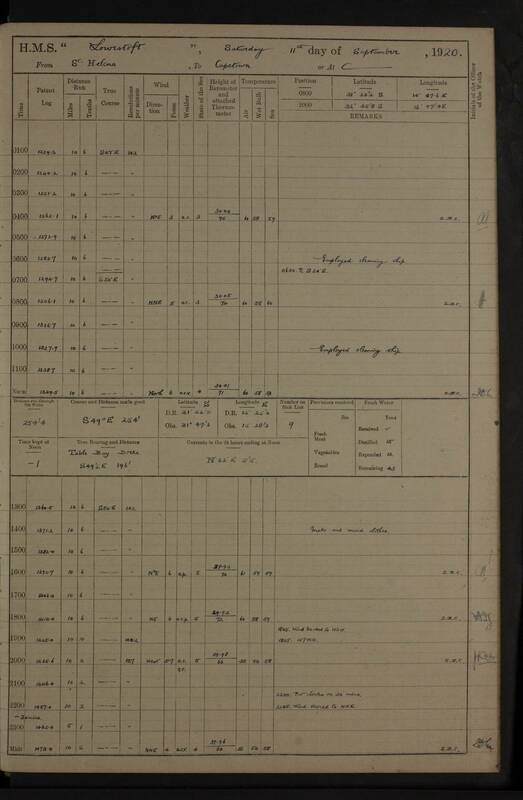 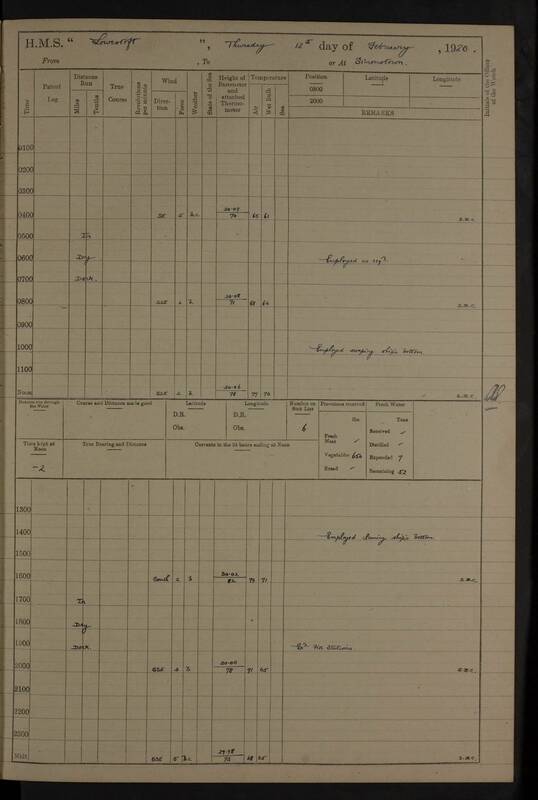 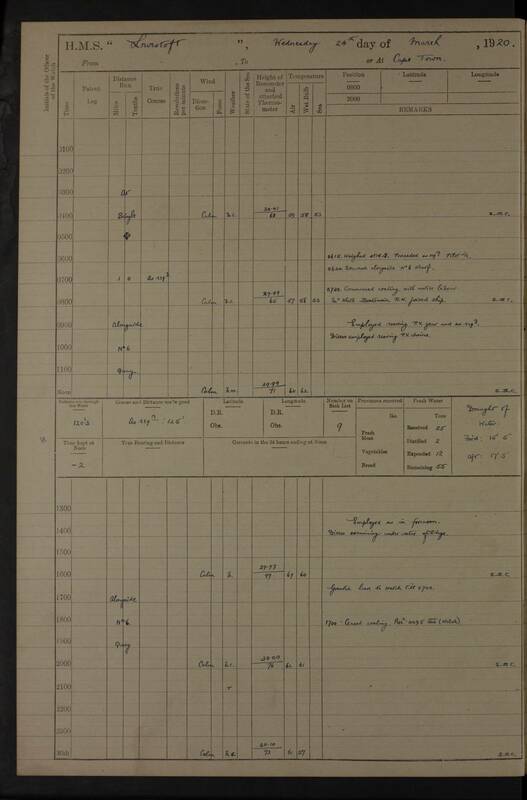 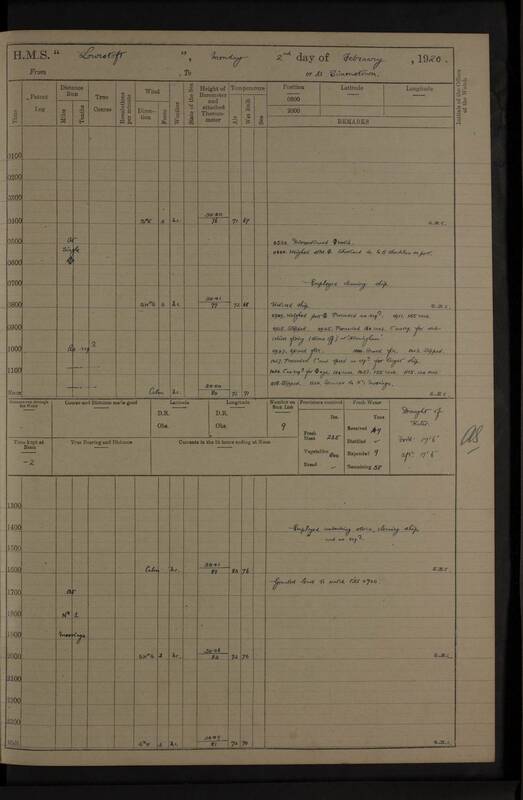 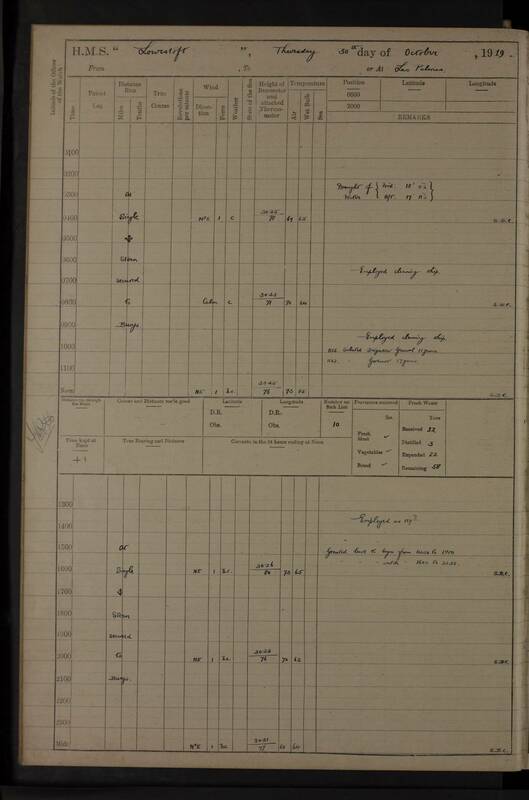 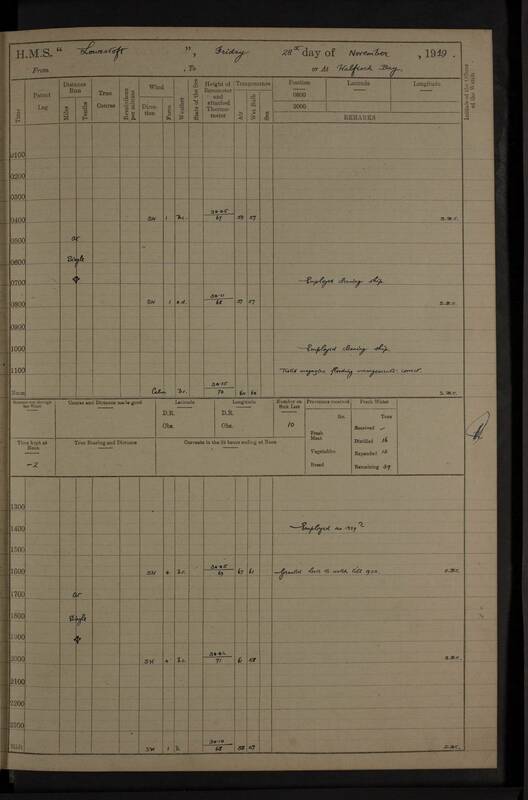 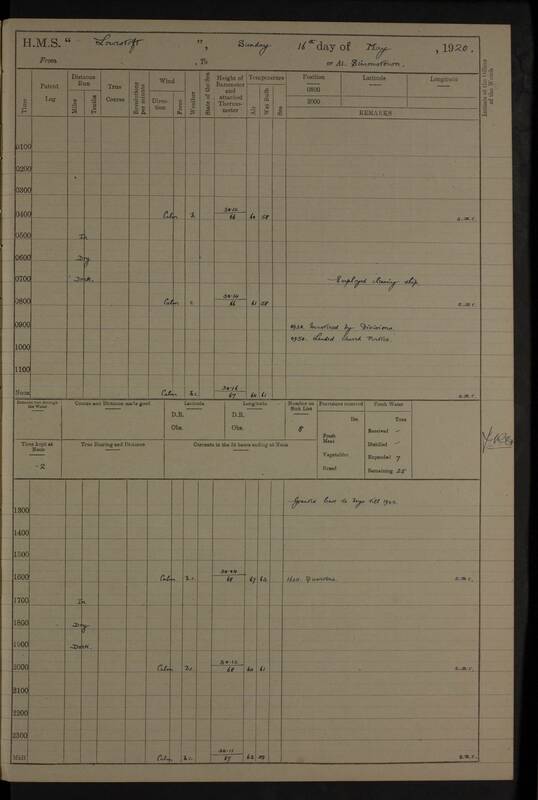 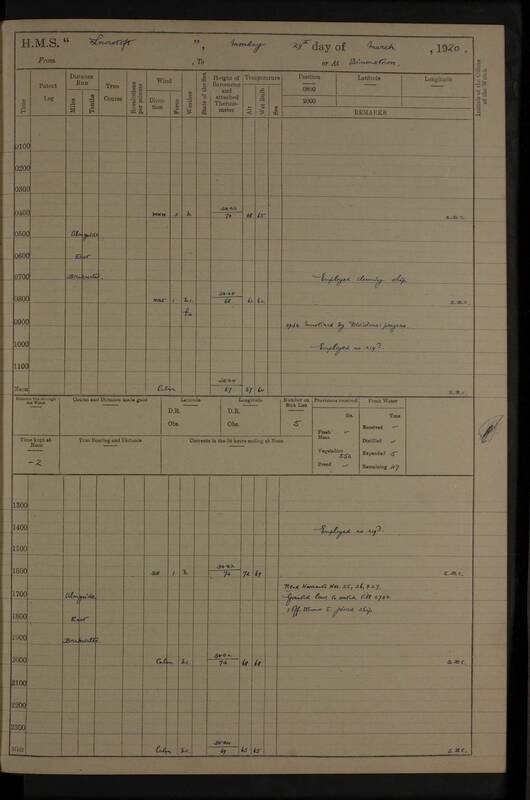 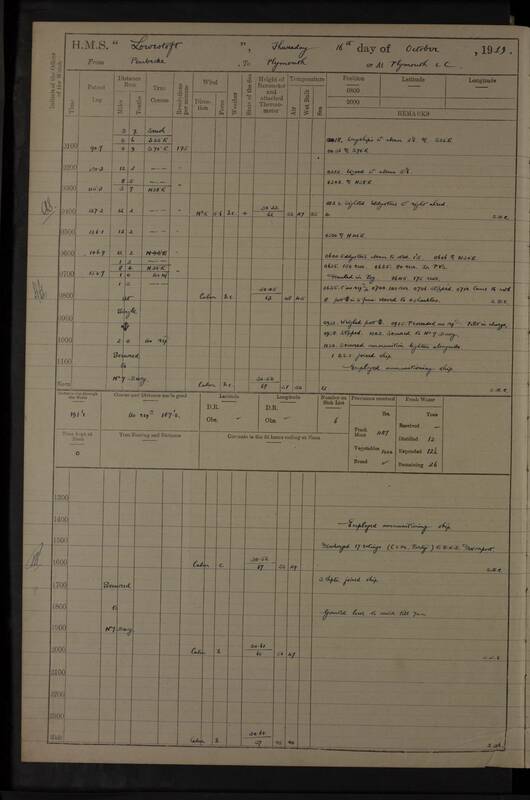 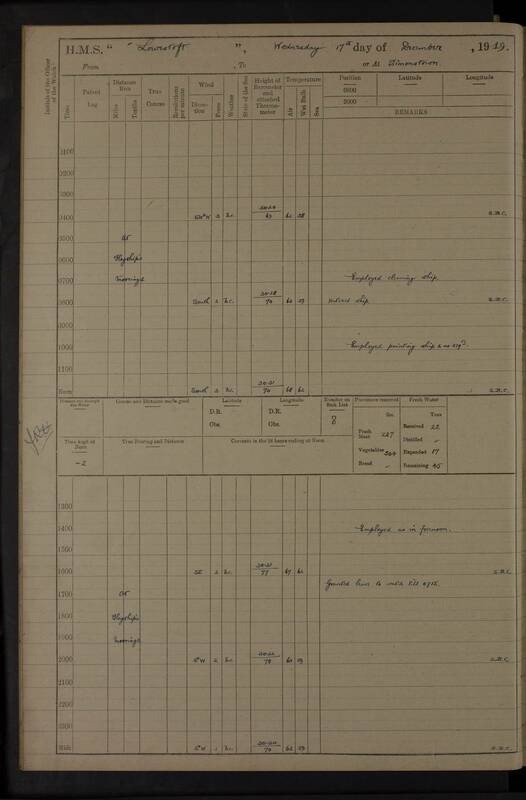 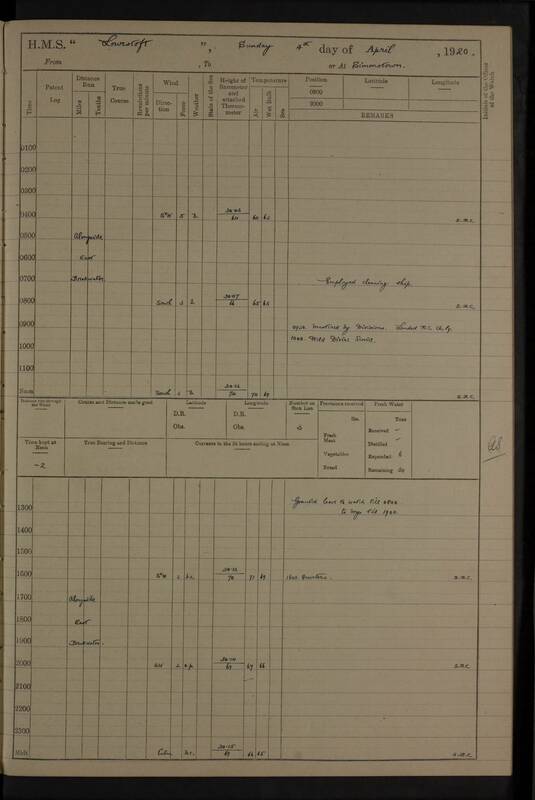 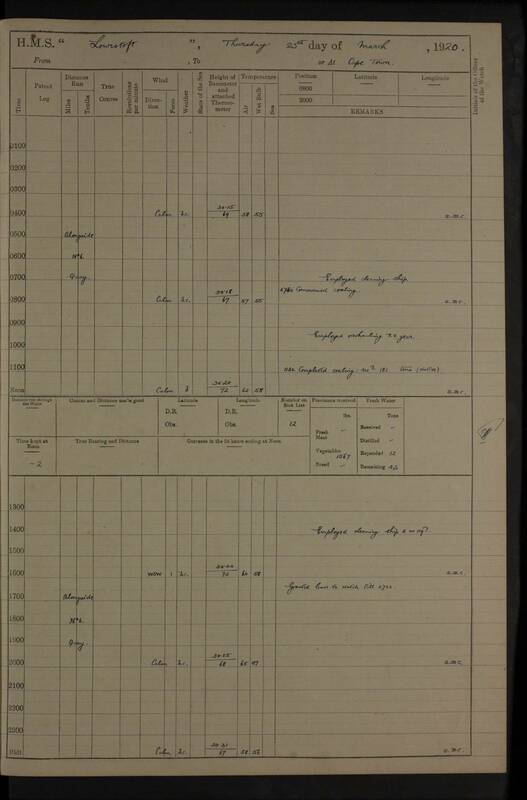 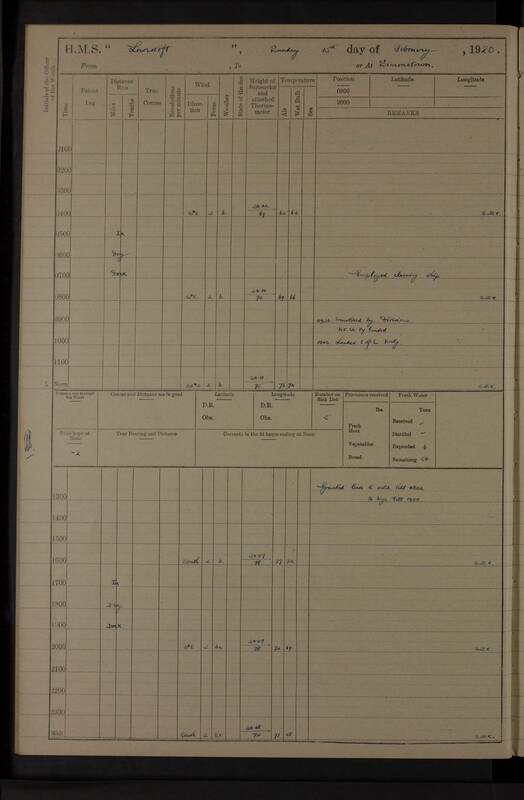 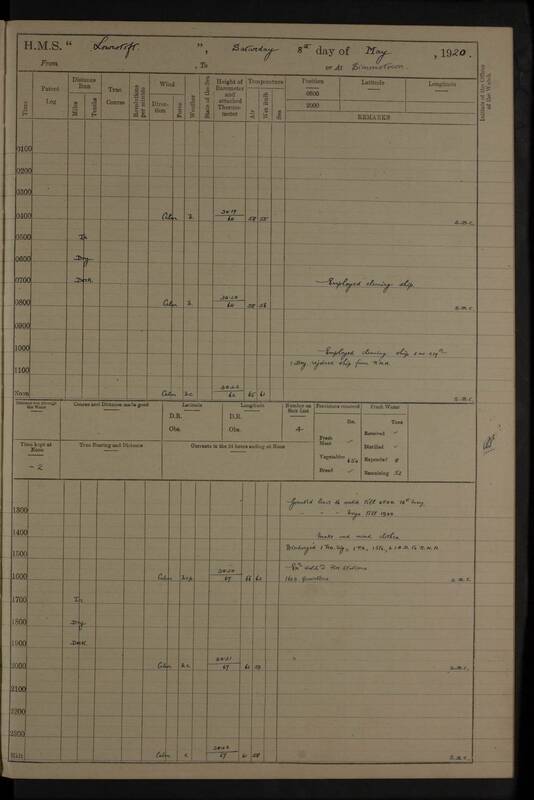 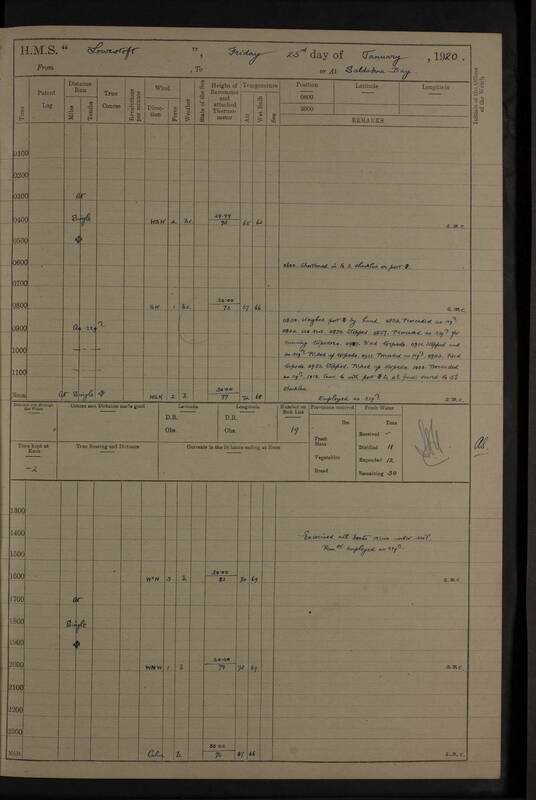 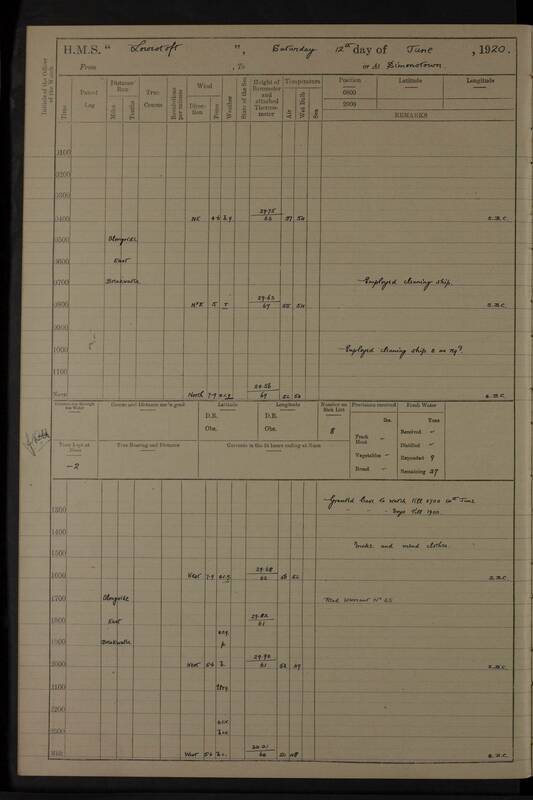 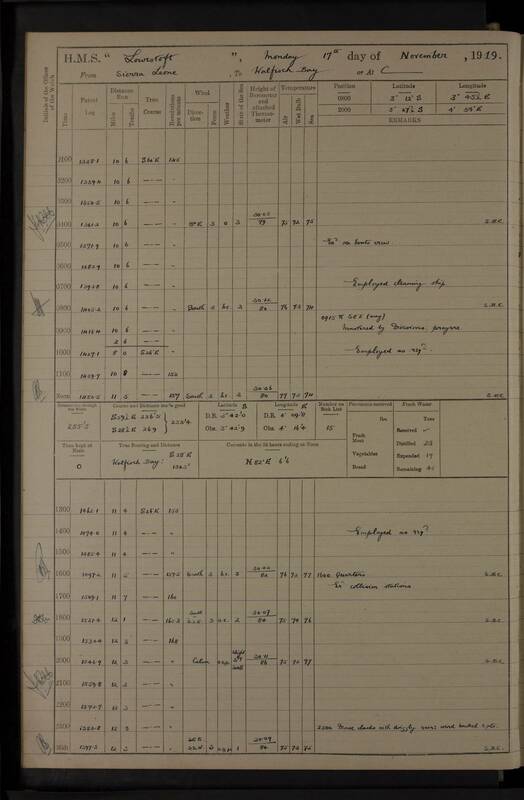 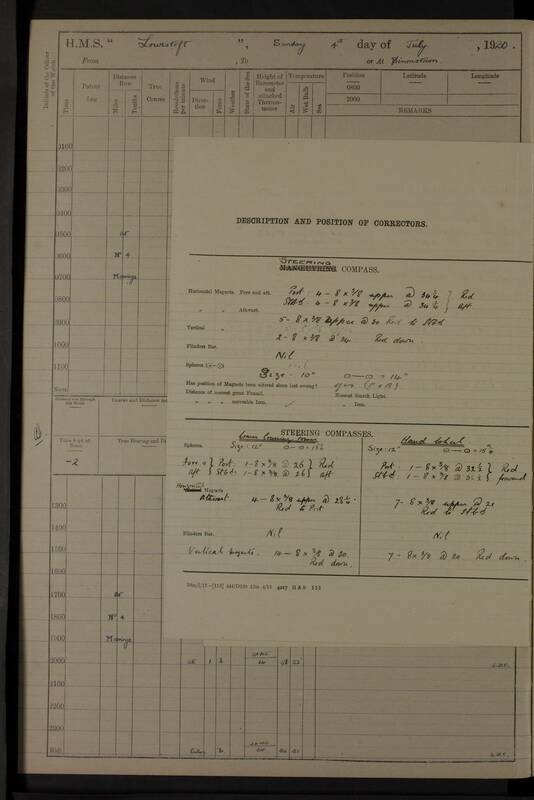 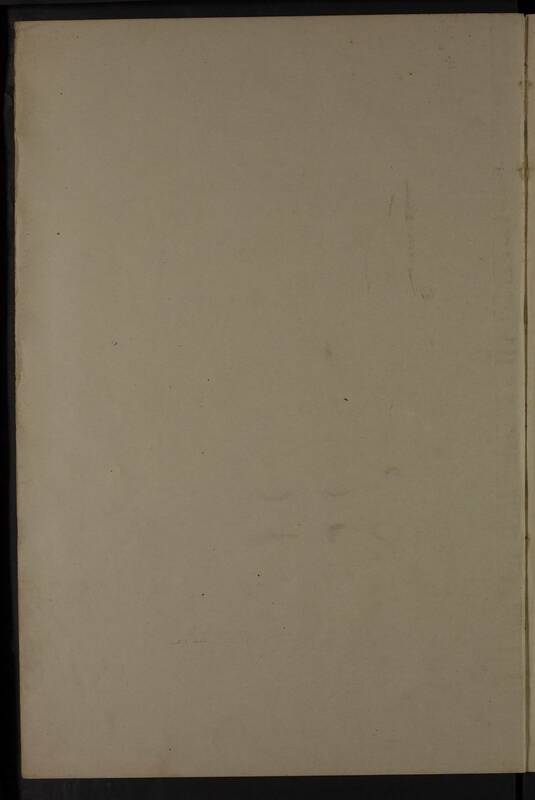 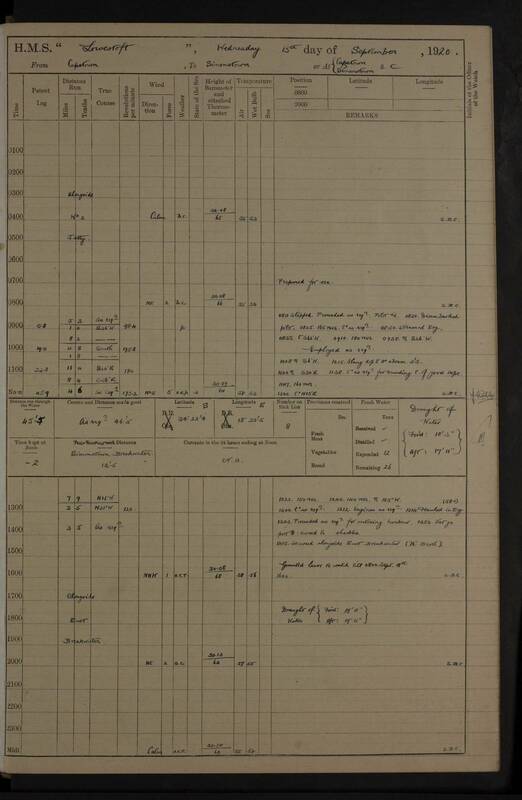 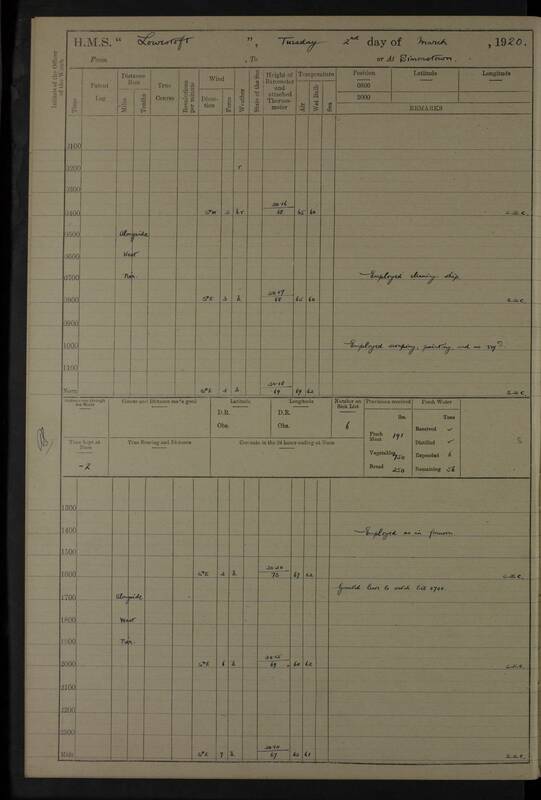 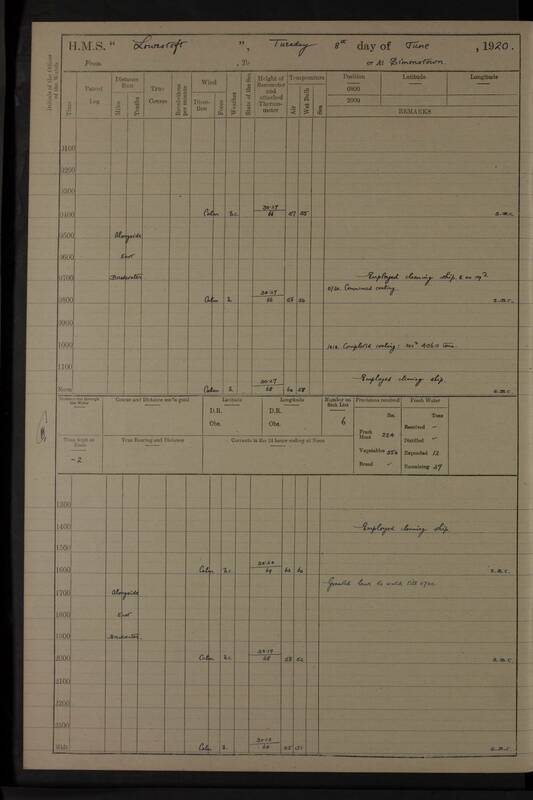 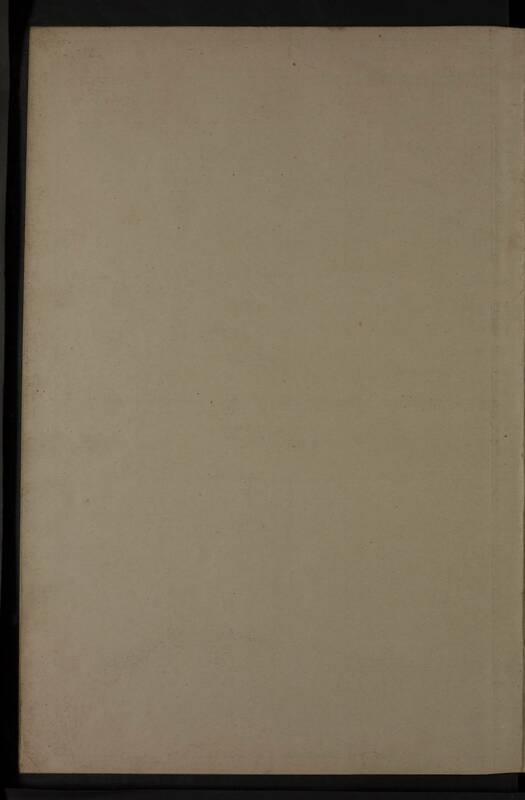 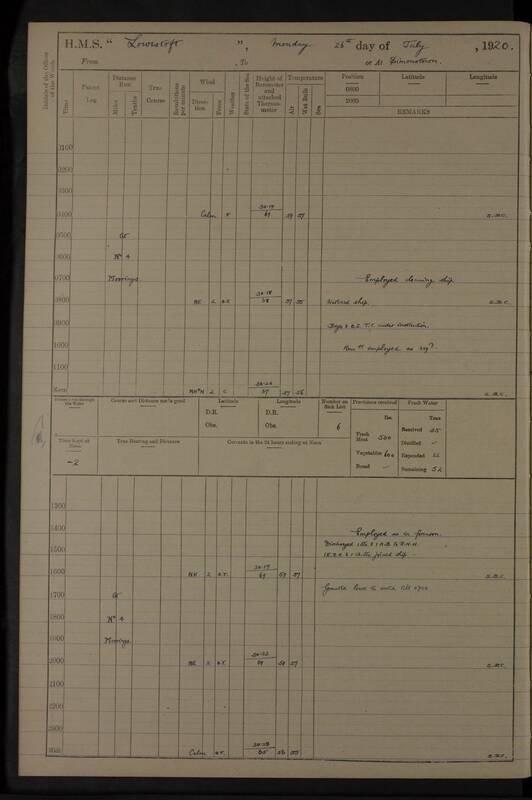 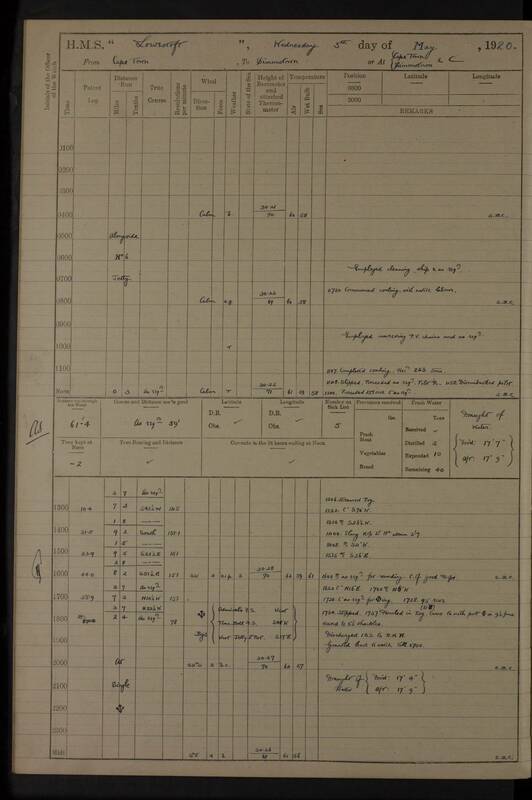 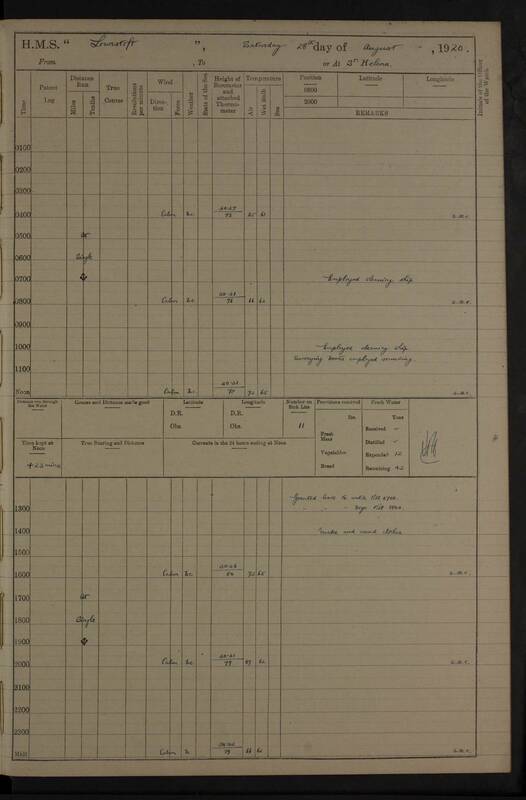 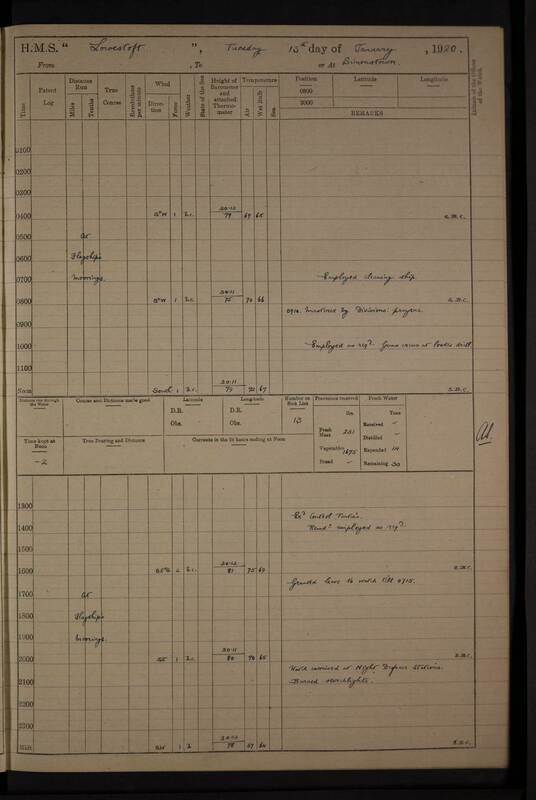 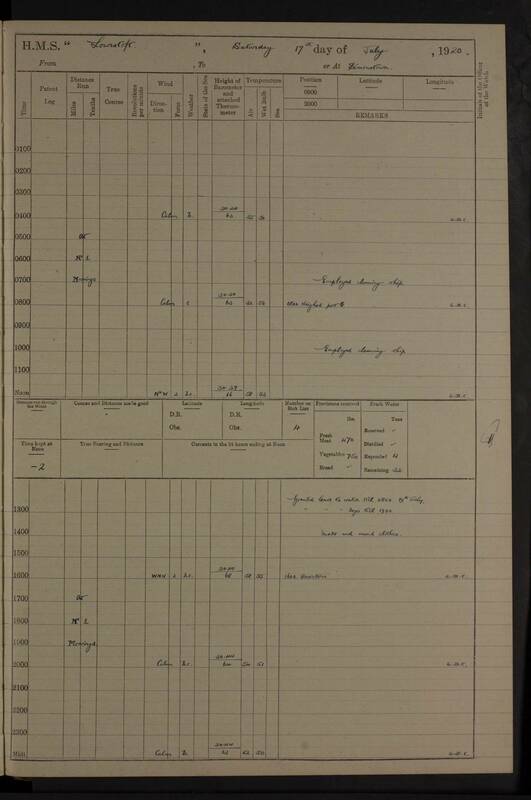 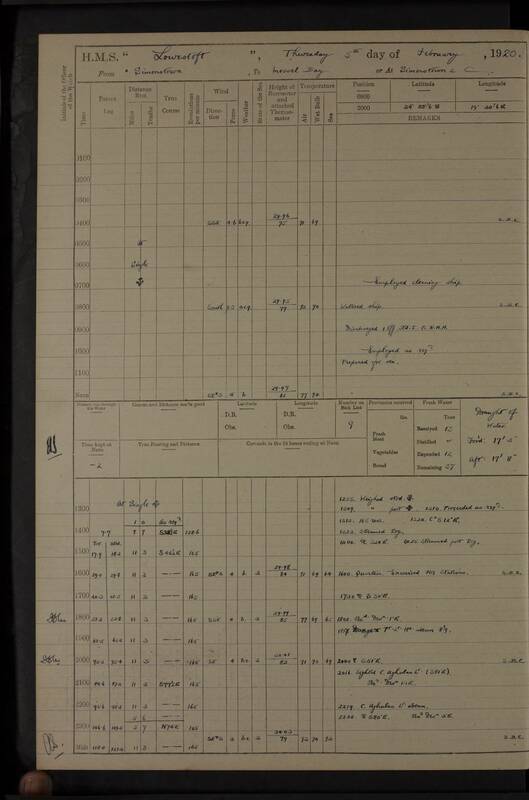 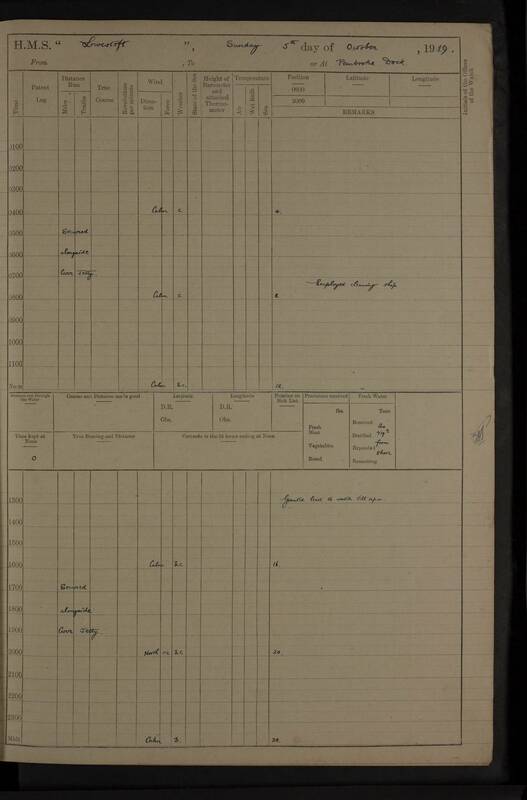 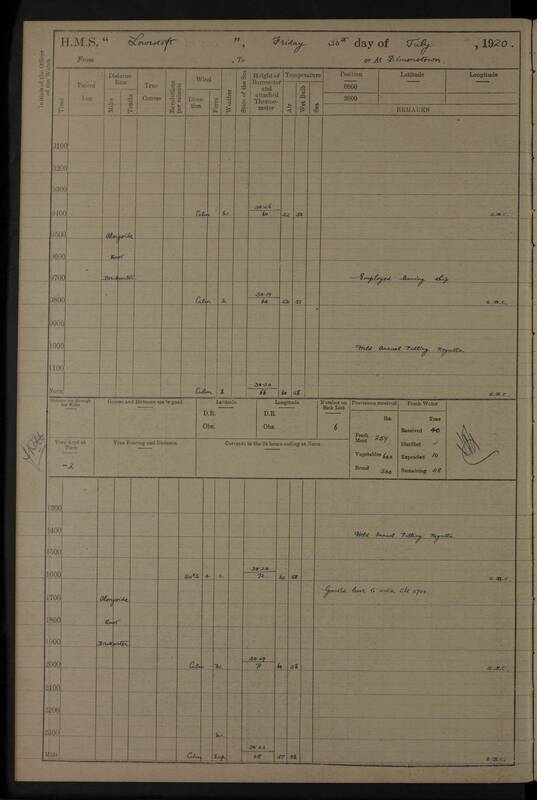 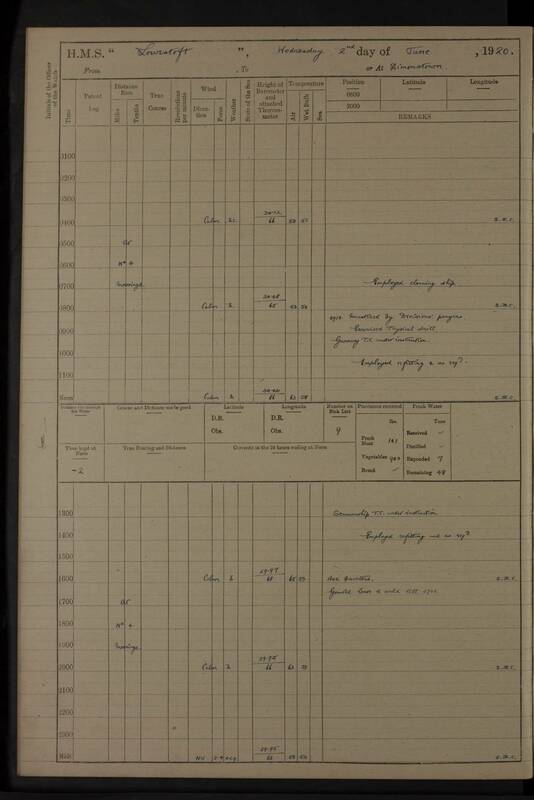 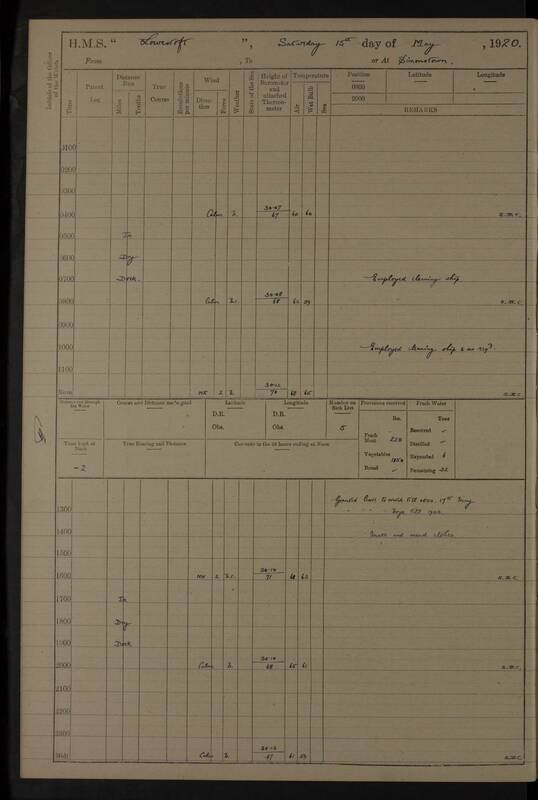 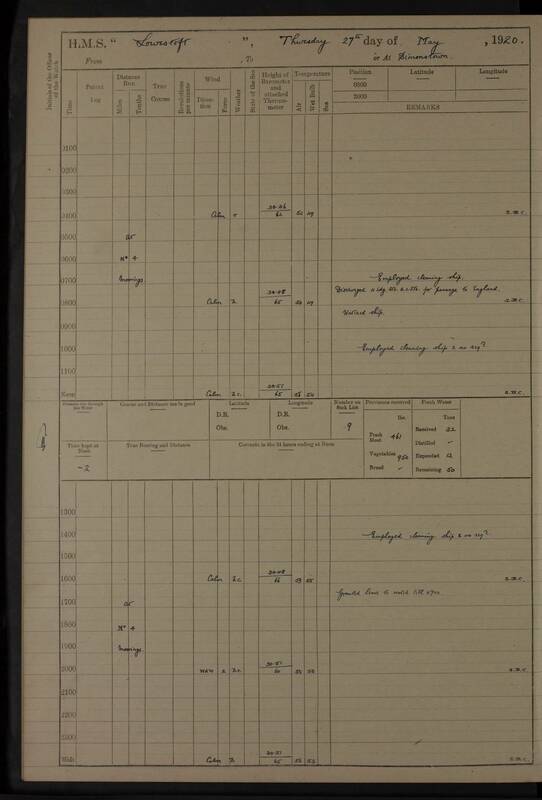 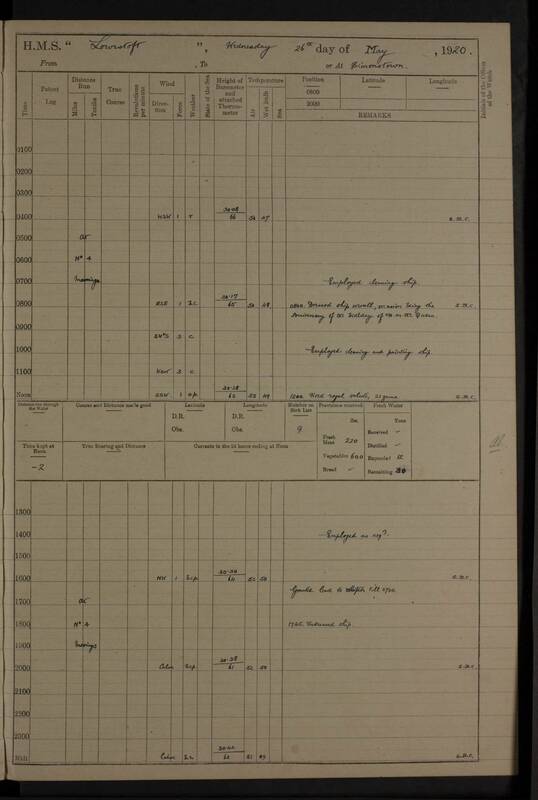 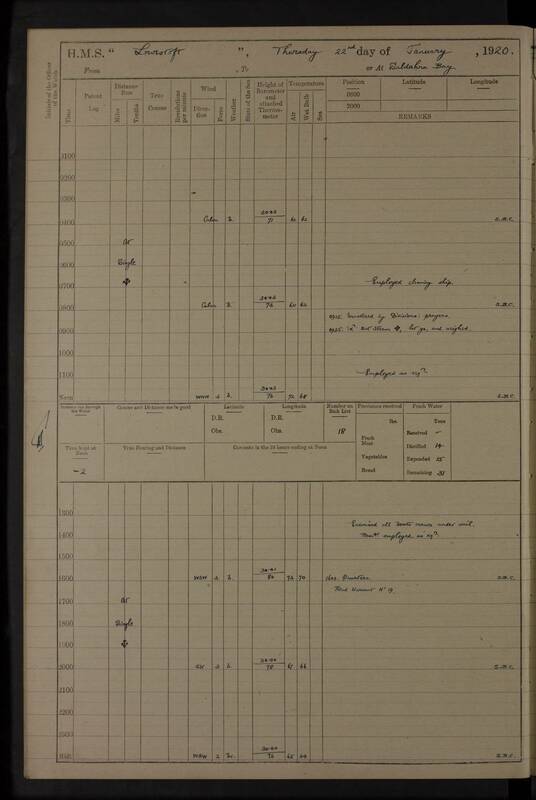 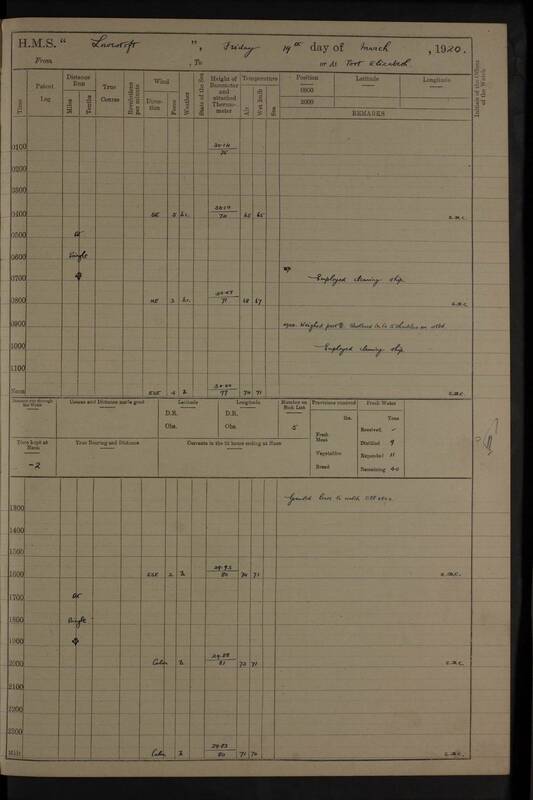 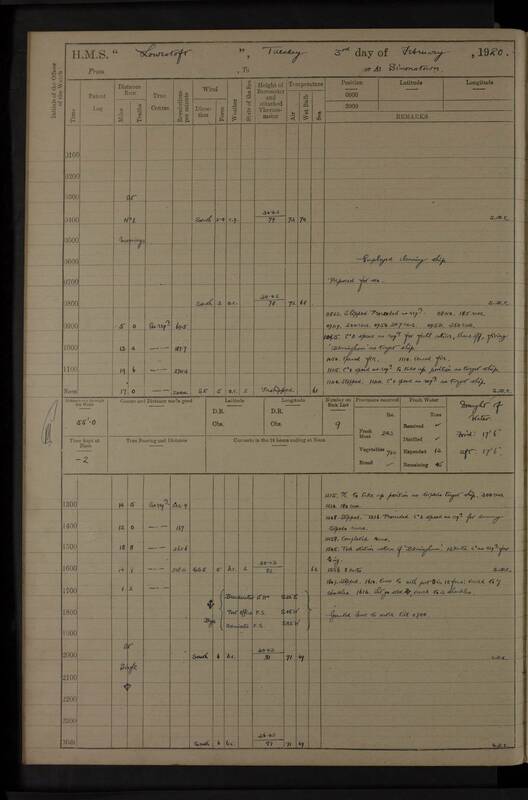 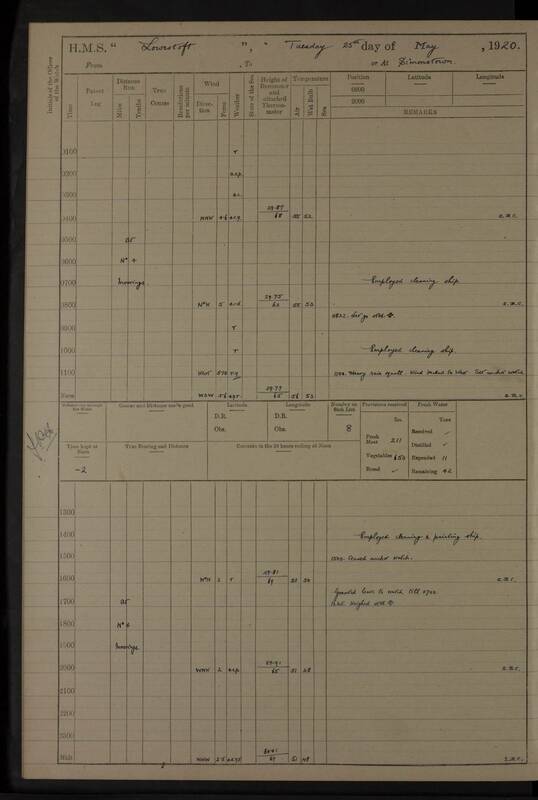 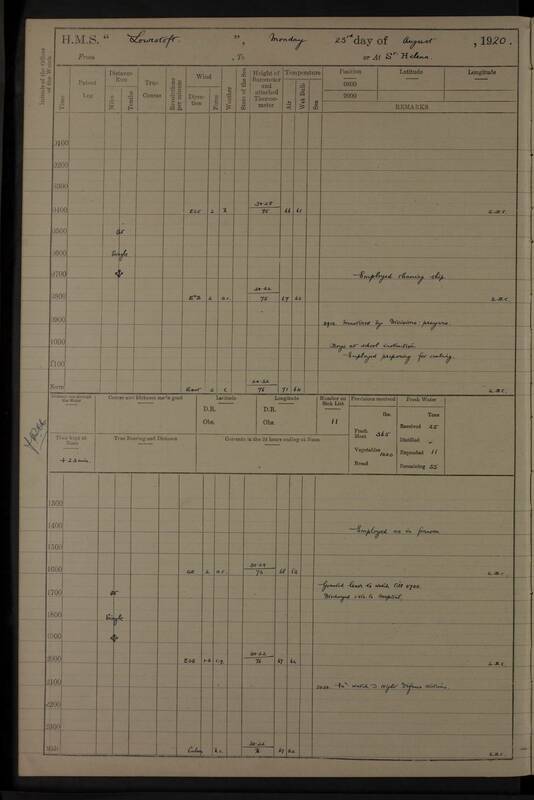 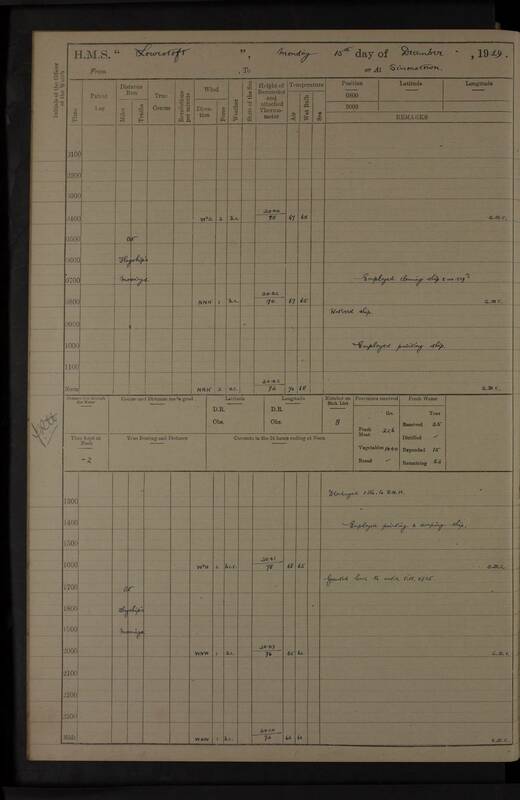 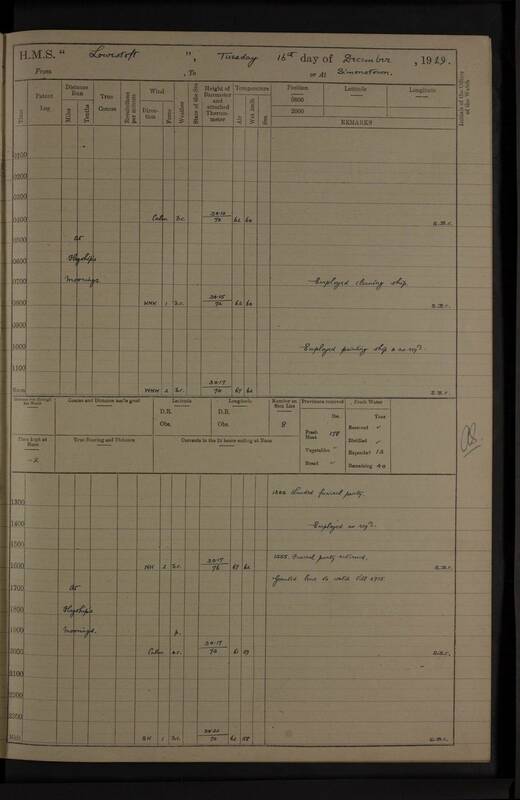 The following months of this log show relatively high numbers on the sick list, presumably caused by the continuing influenza pandemic of 1918/1919. 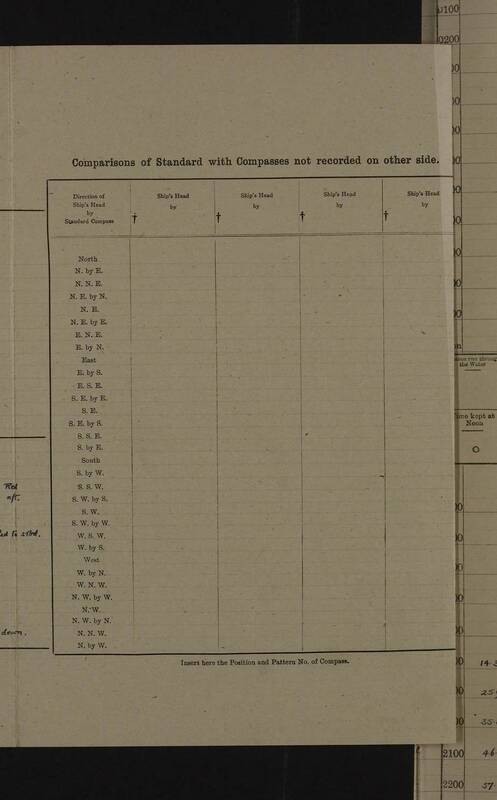 Only daily numbers over 10 have been included here. 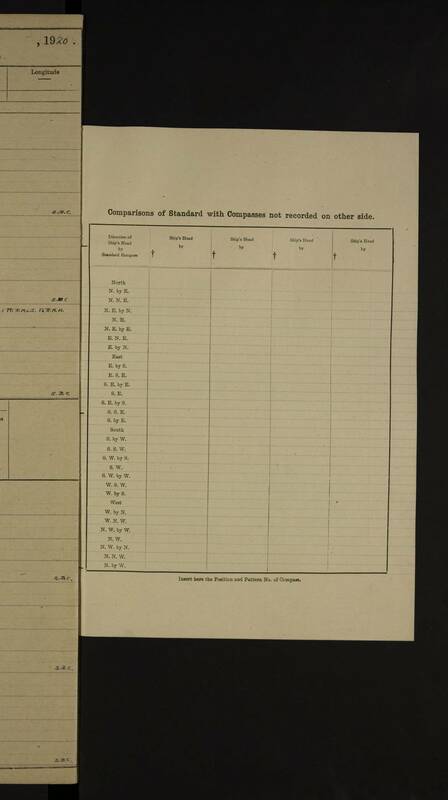 10.00am: Saluted Captain of Port, 11 guns. 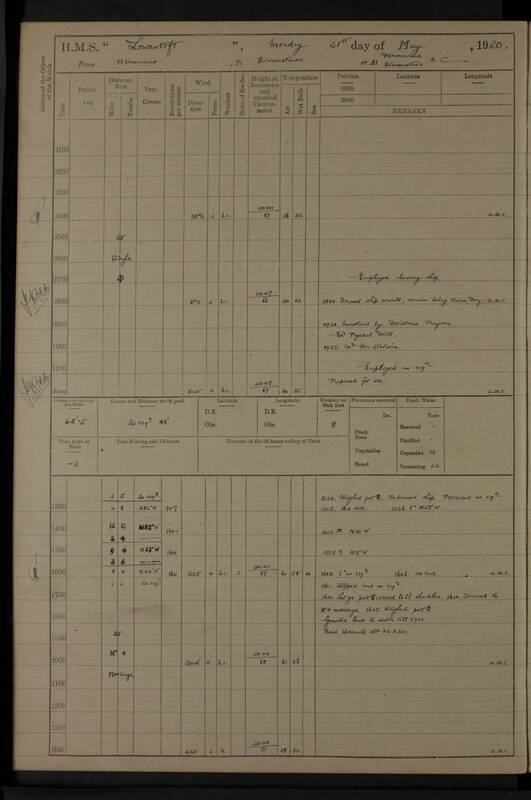 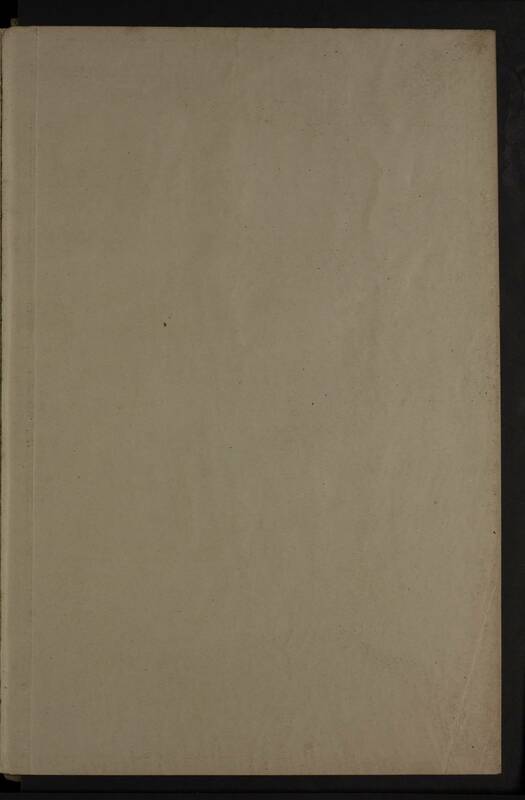 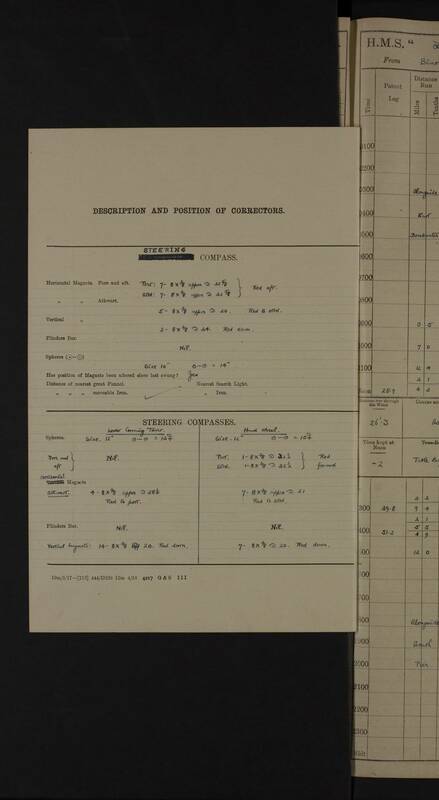 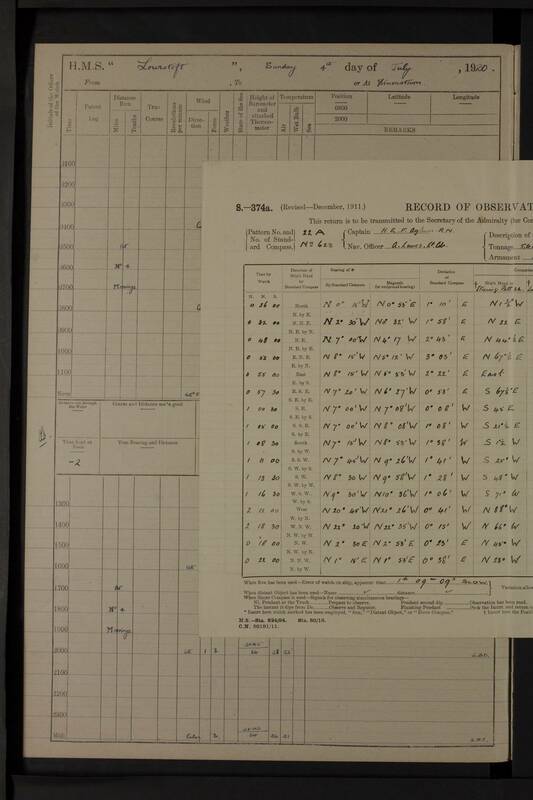 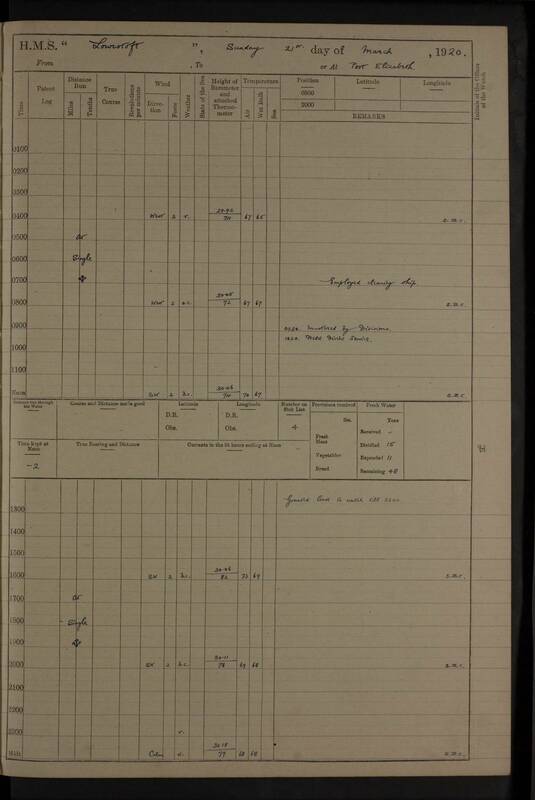 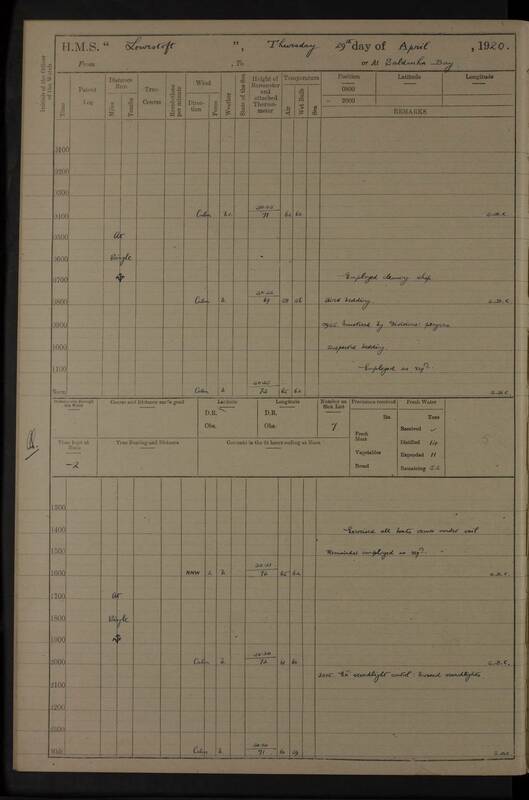 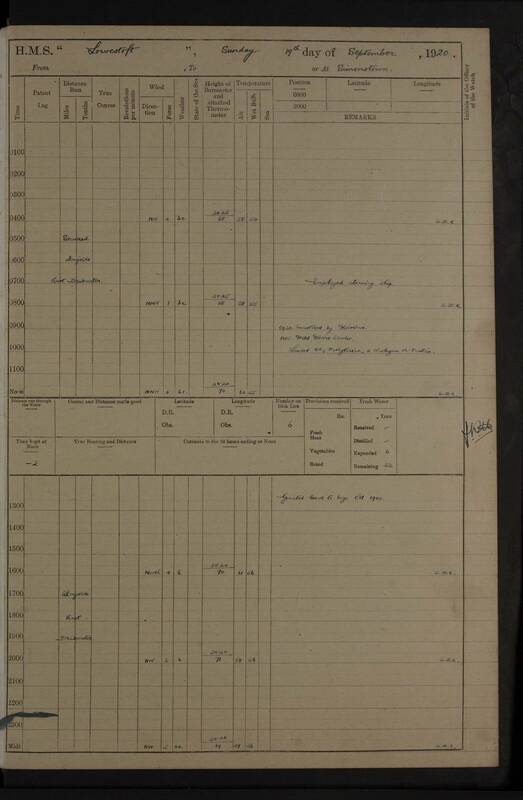 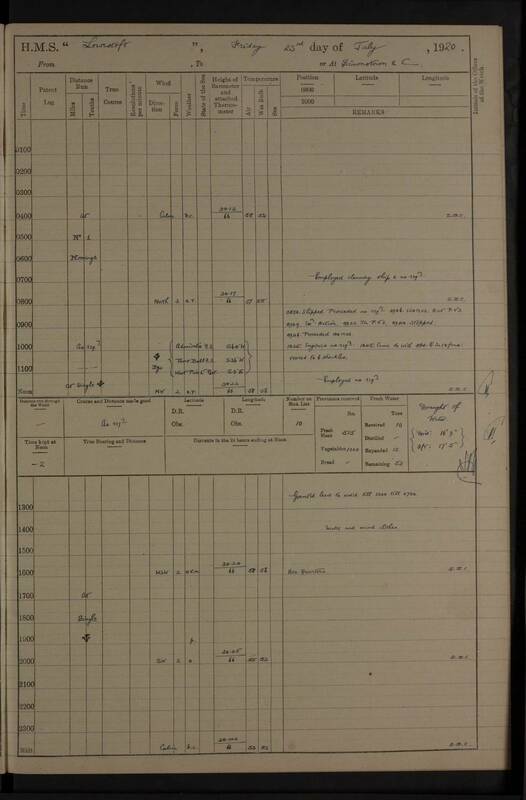 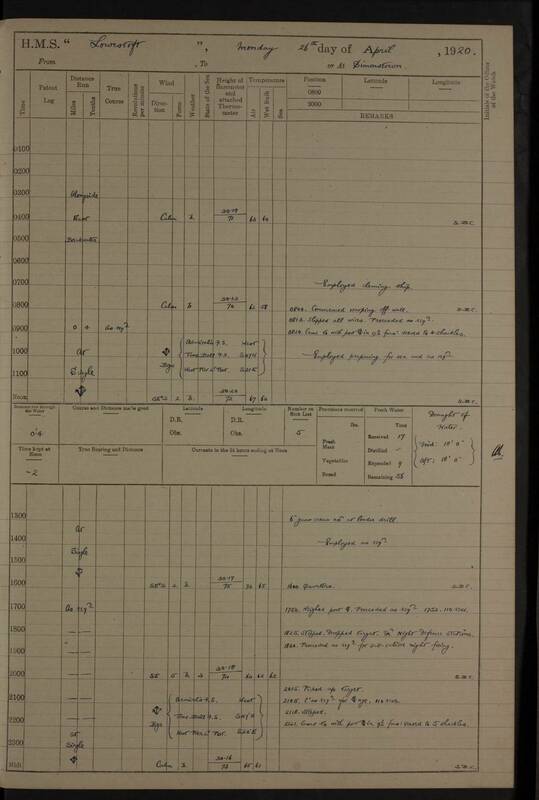 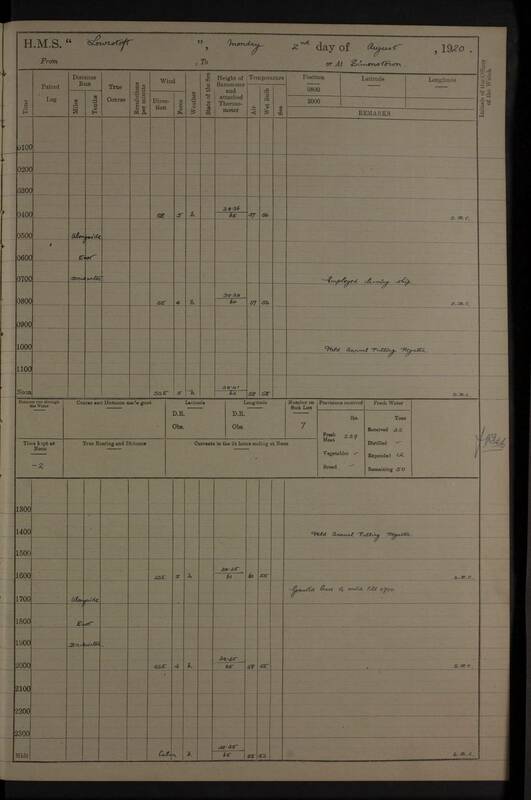 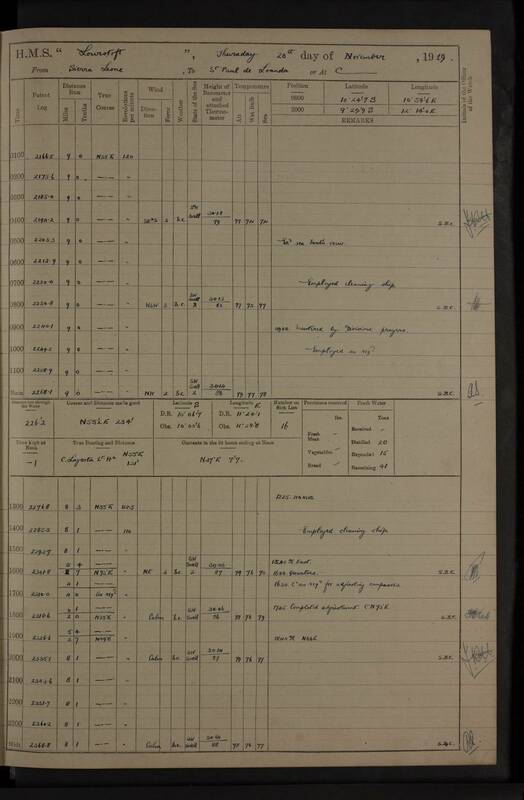 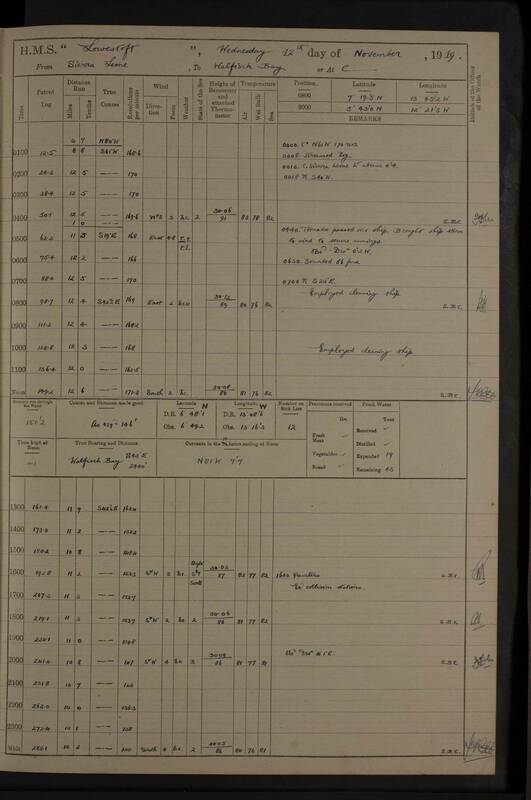 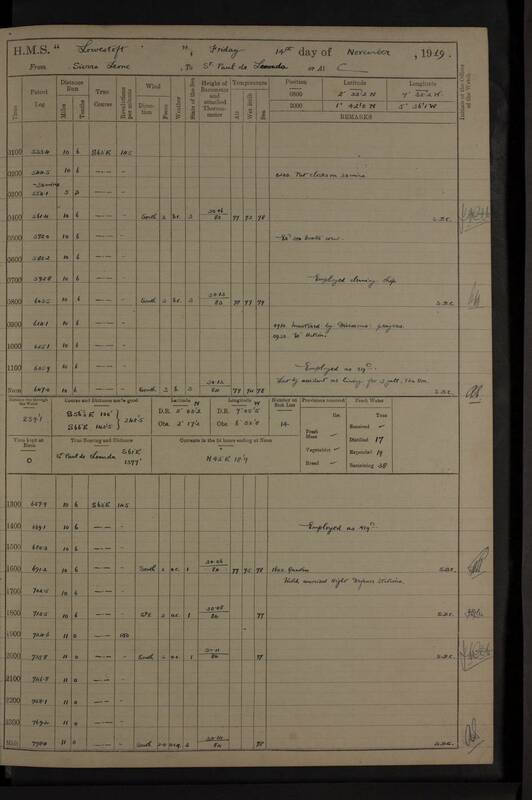 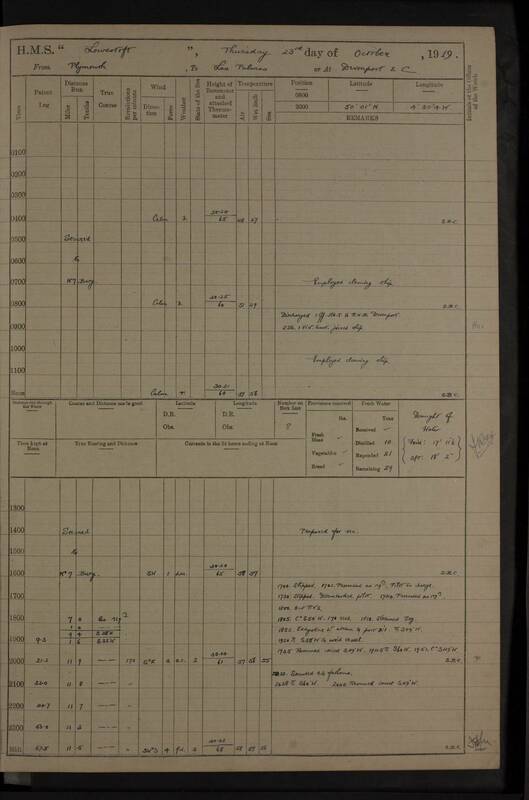 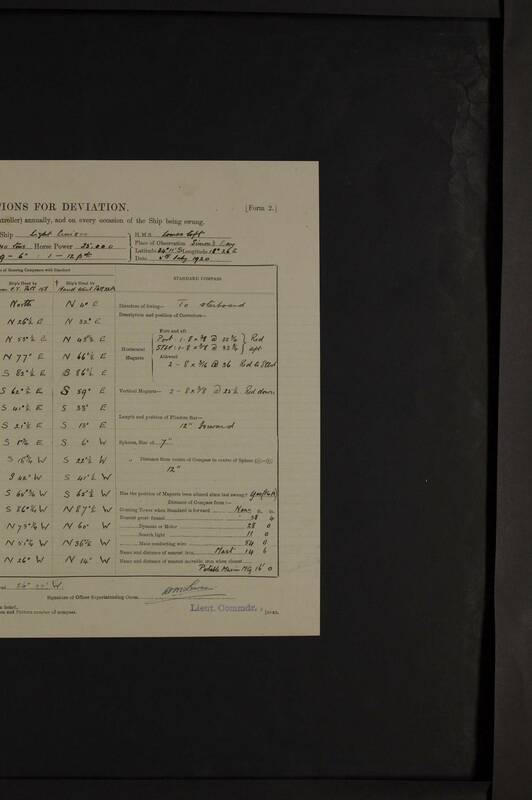 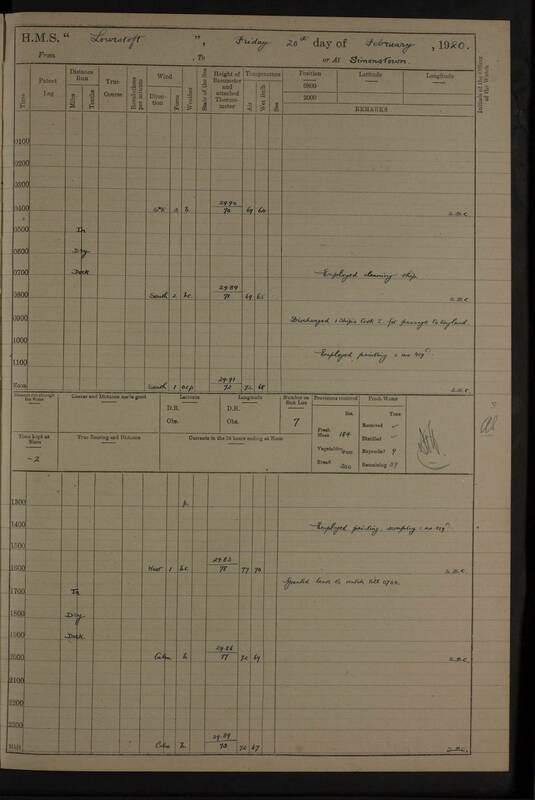 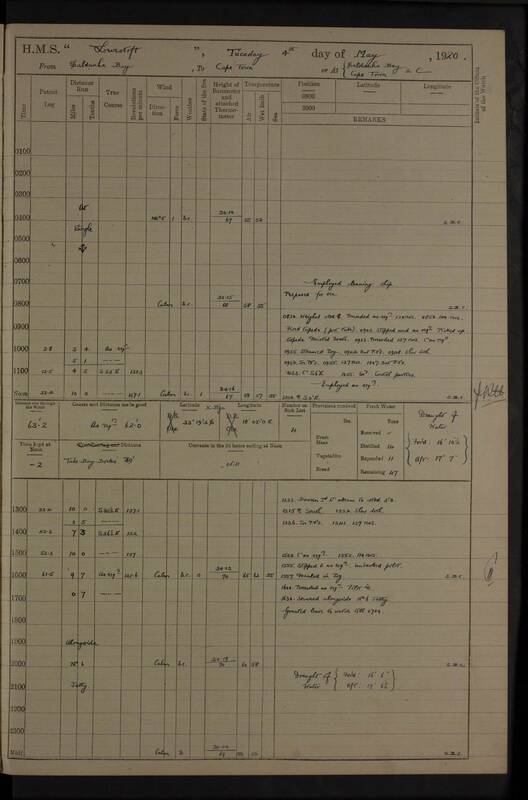 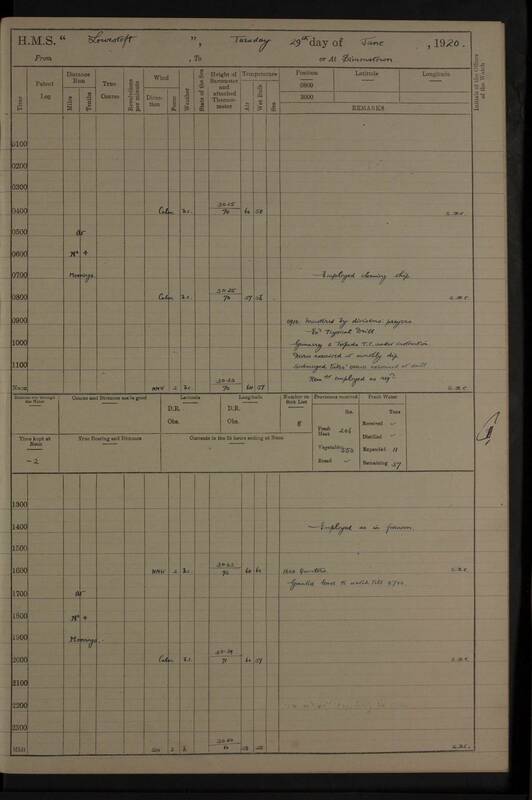 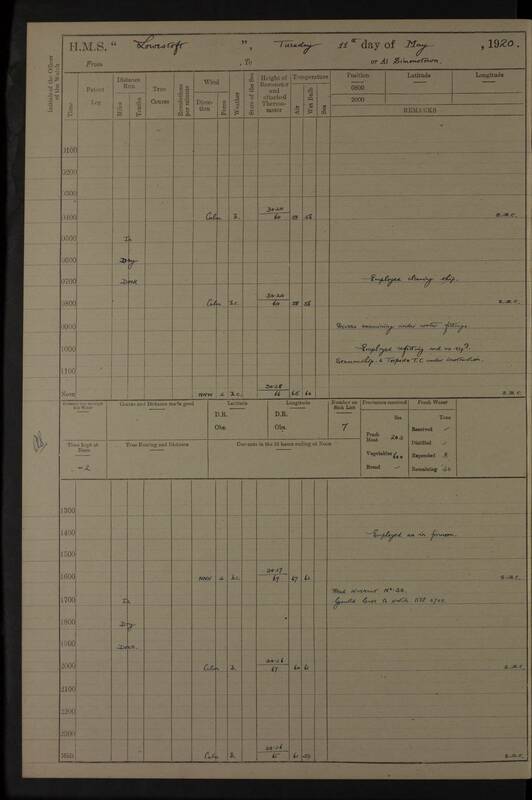 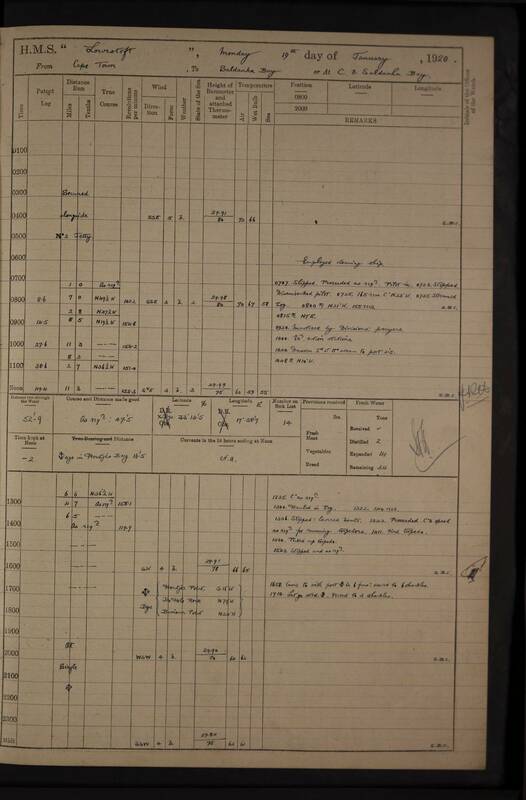 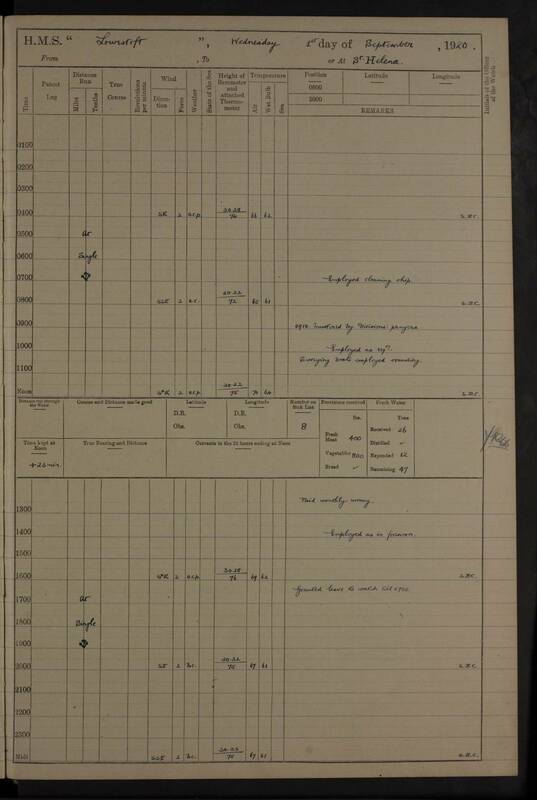 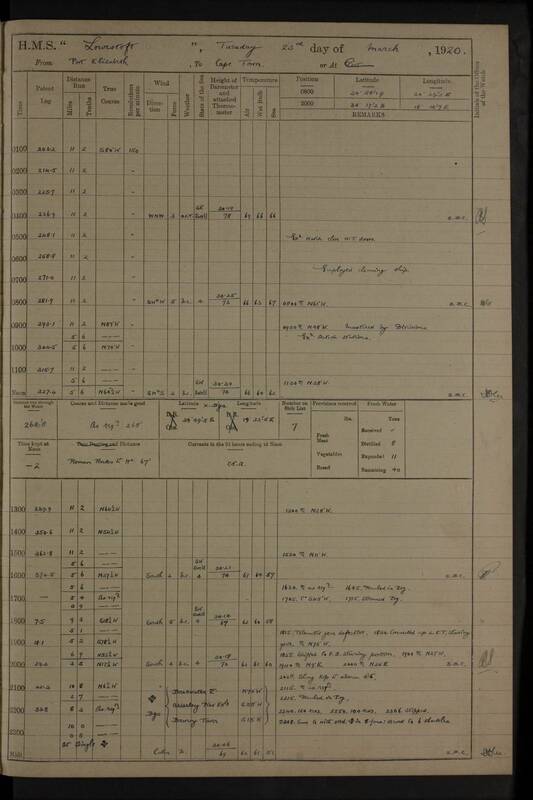 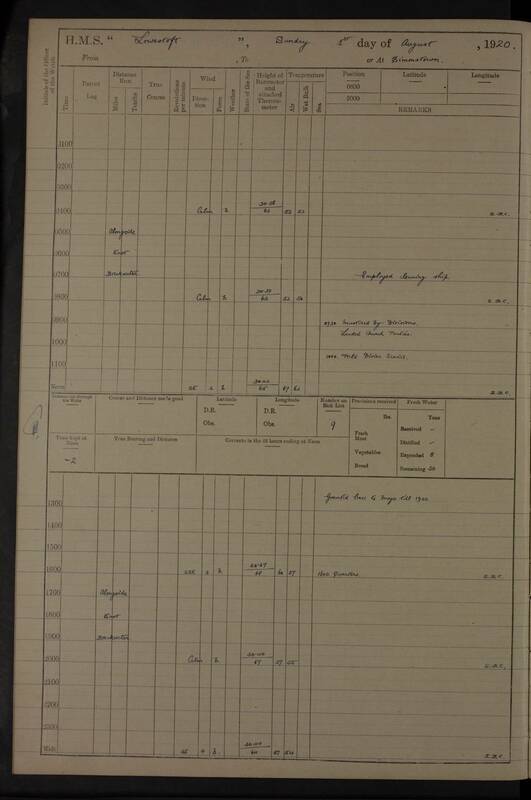 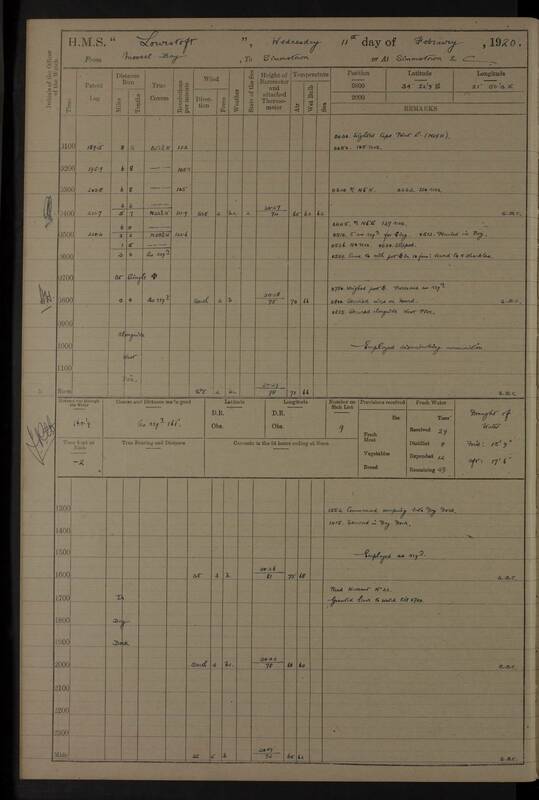 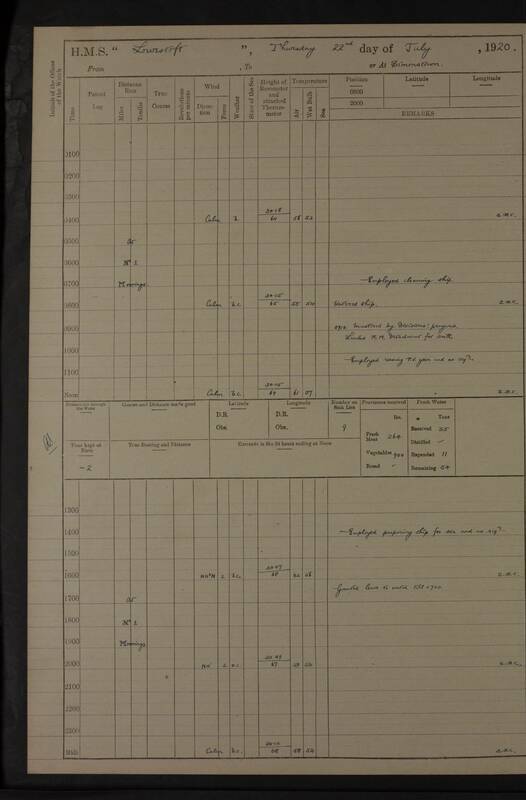 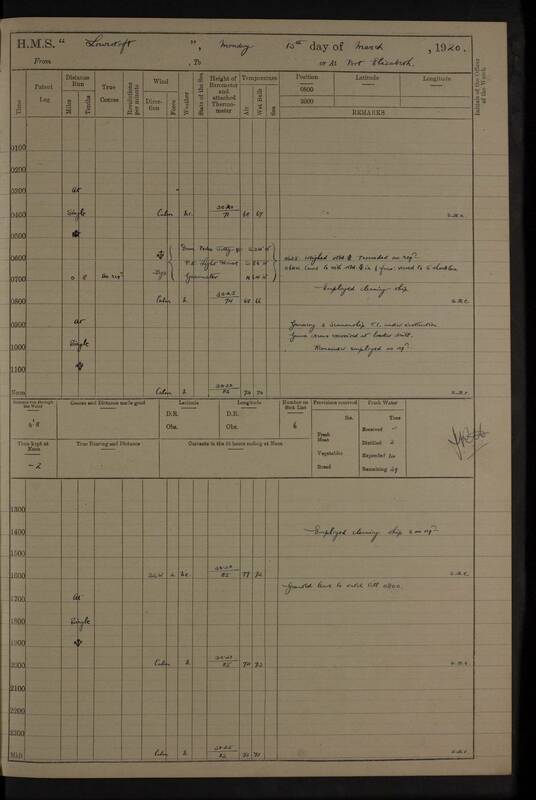 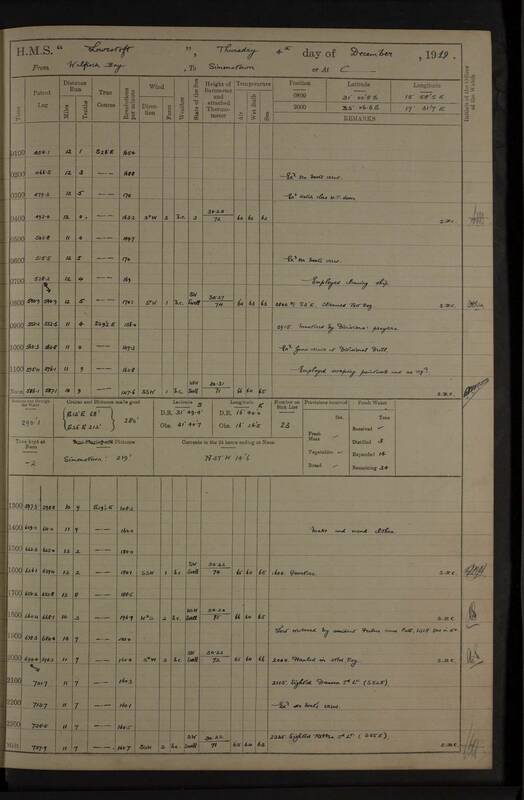 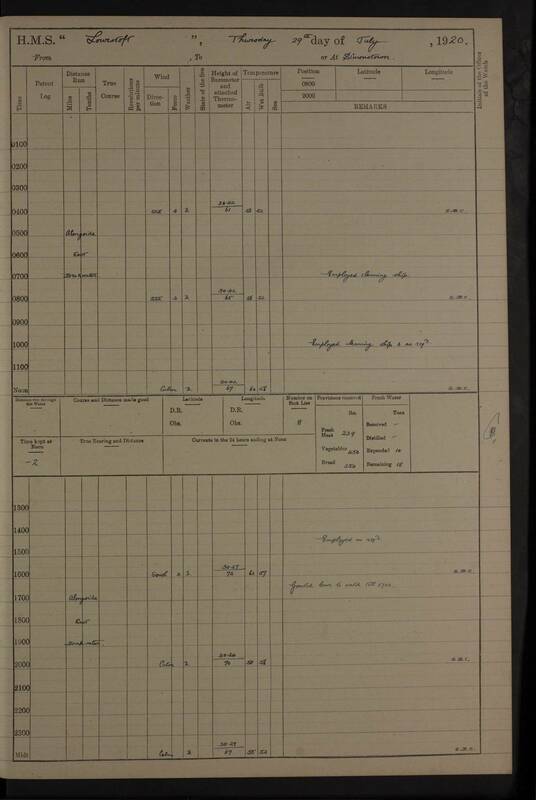 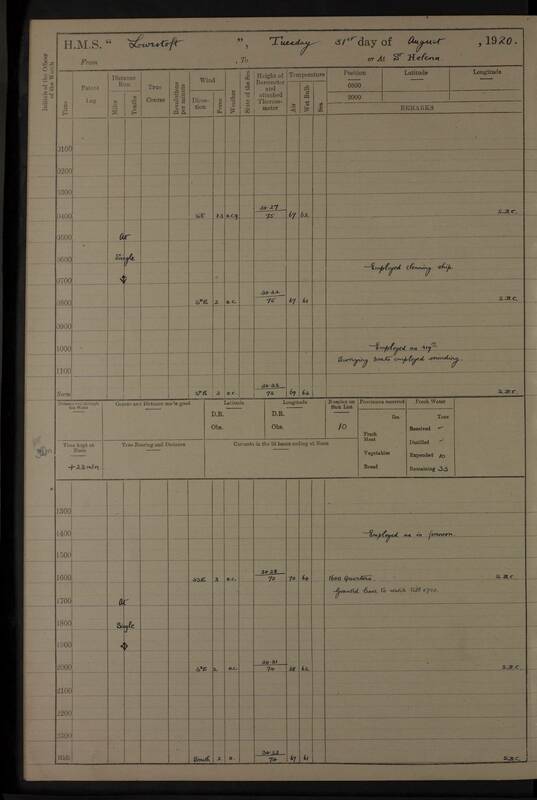 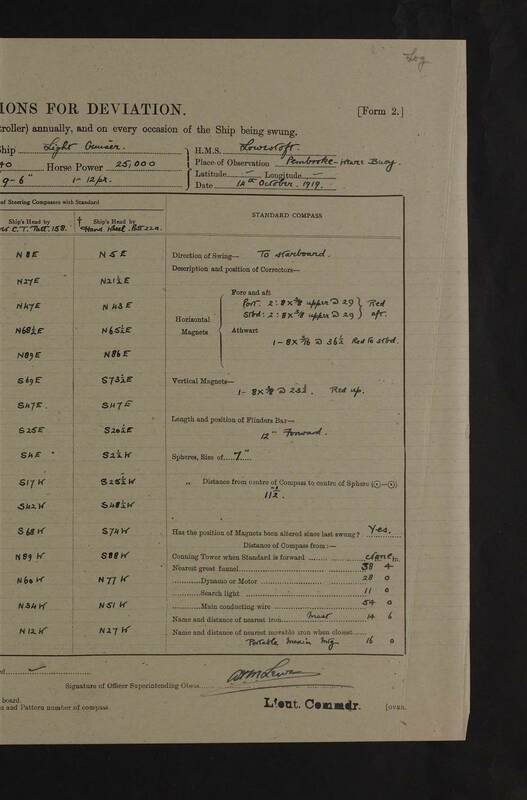 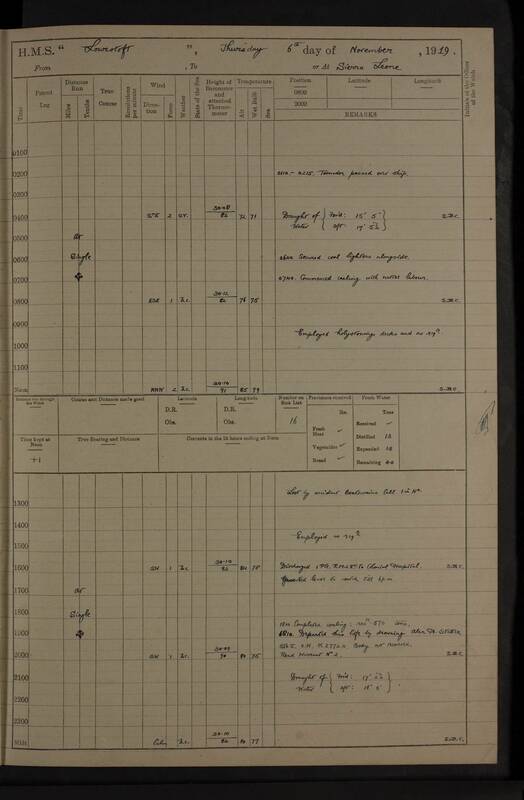 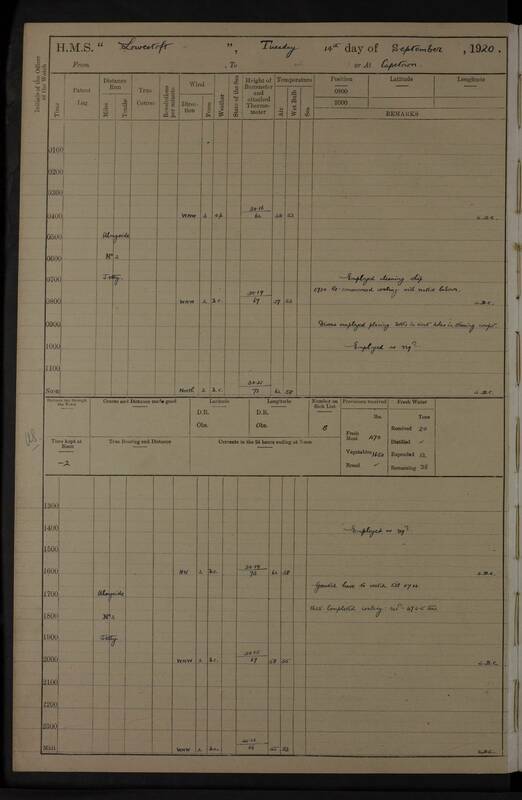 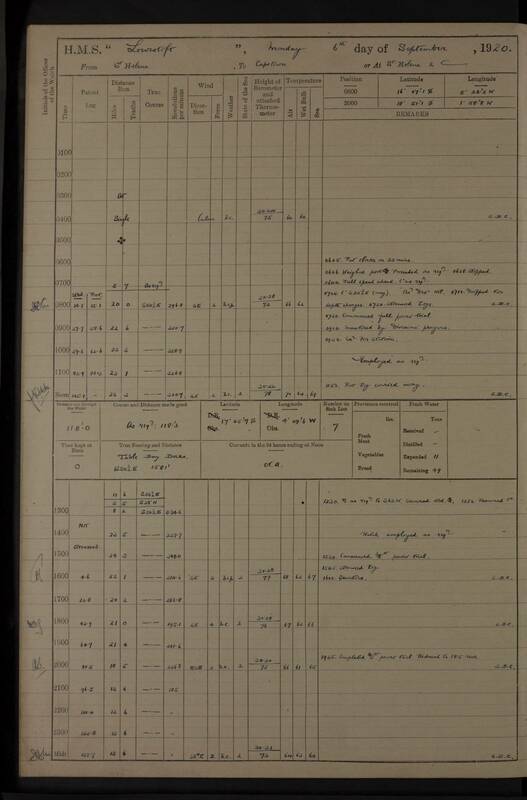 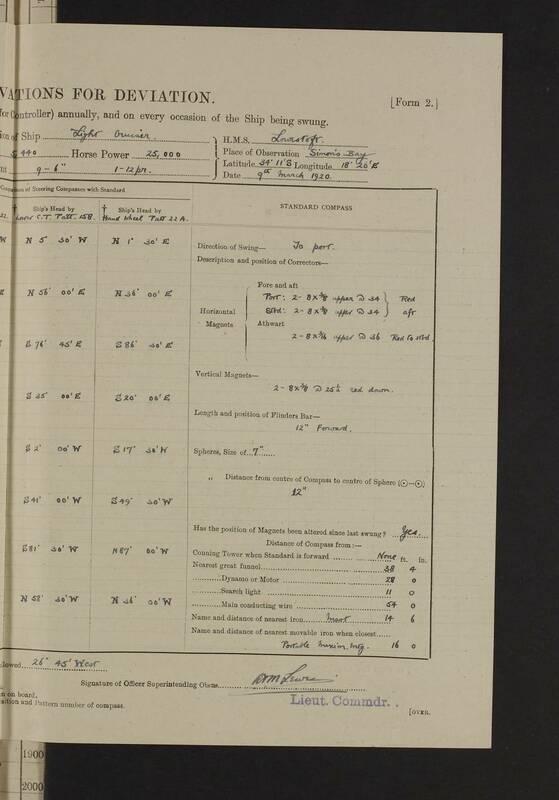 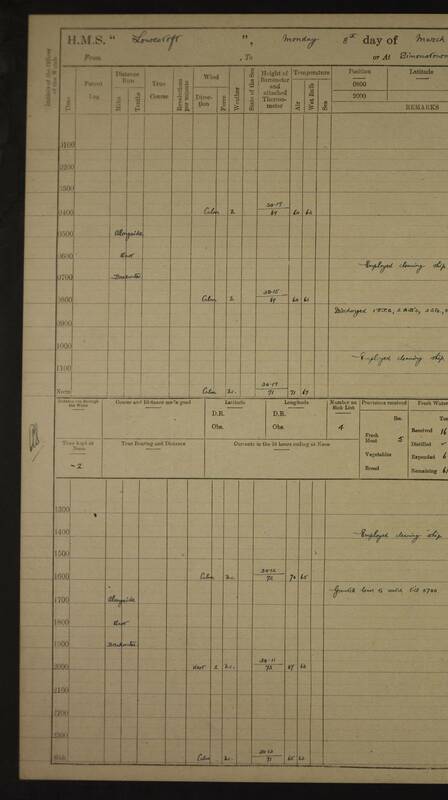 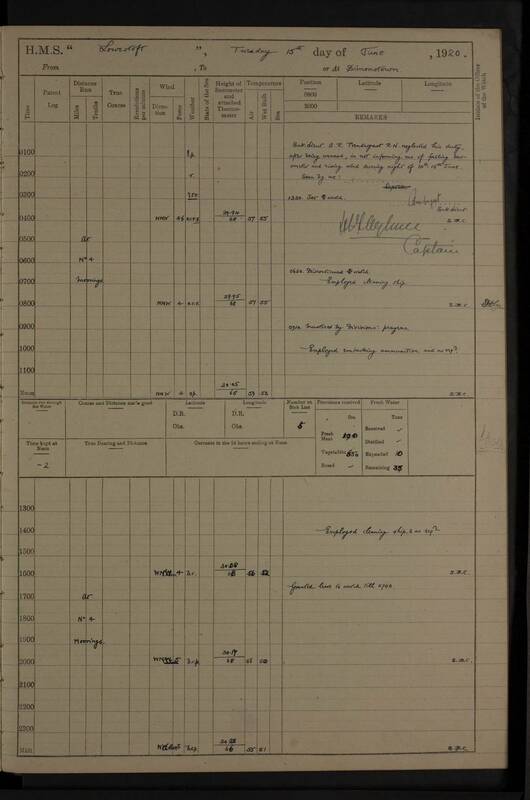 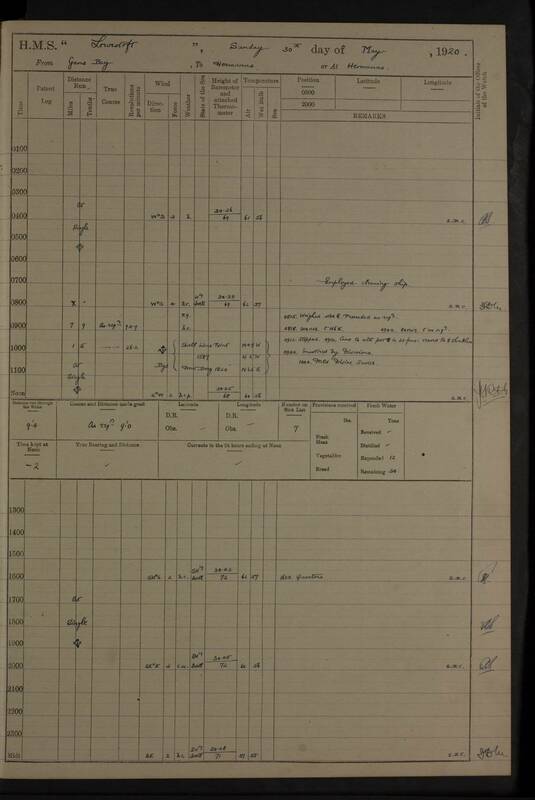 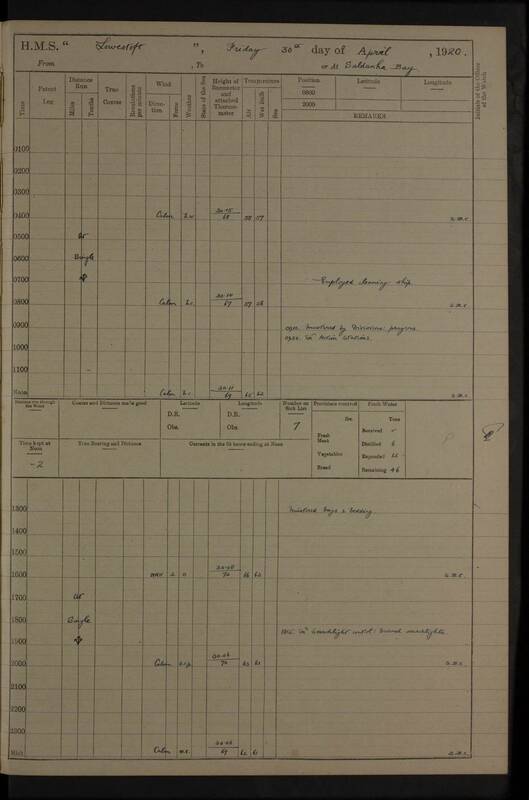 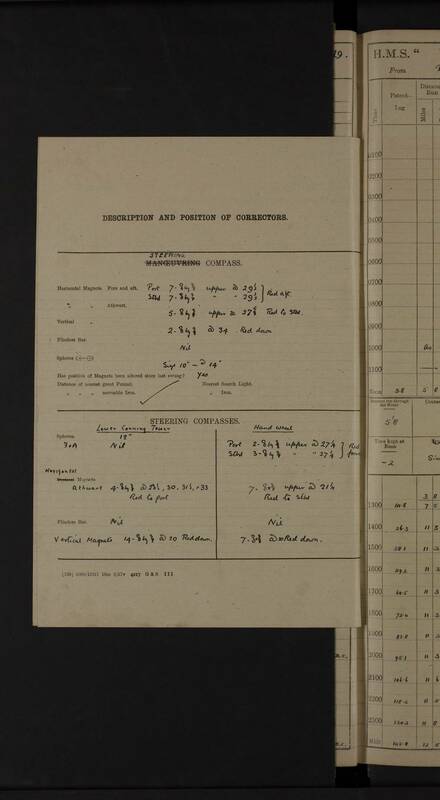 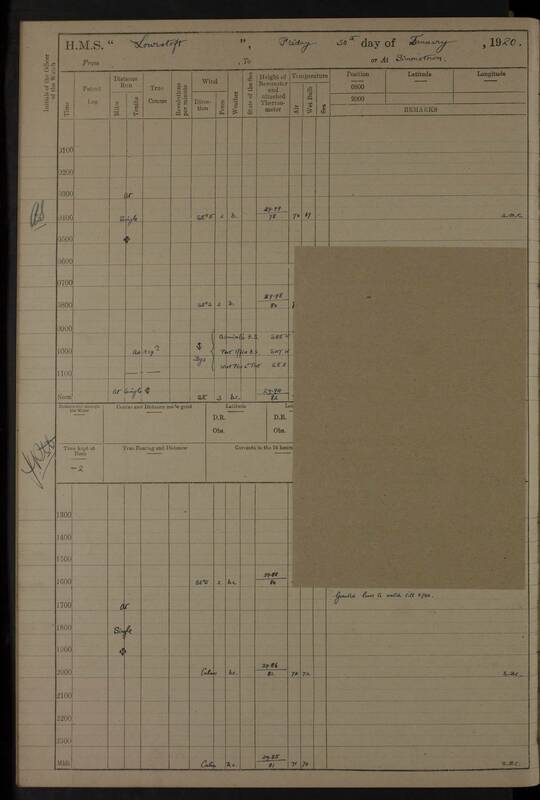 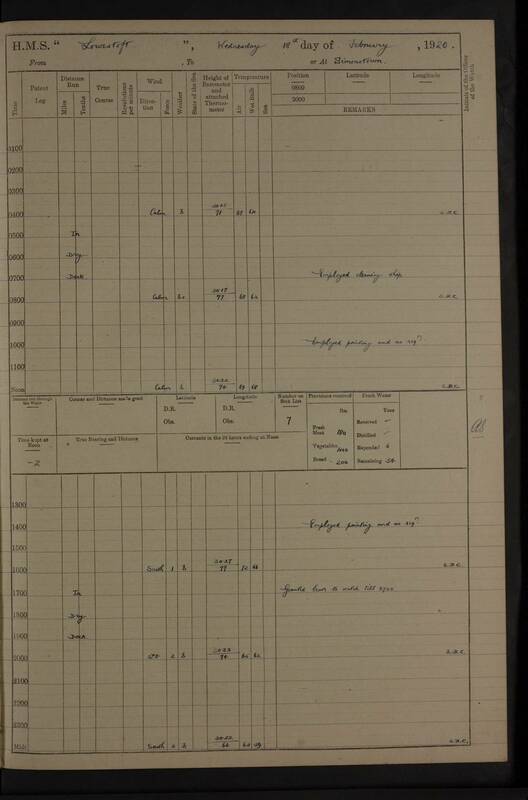 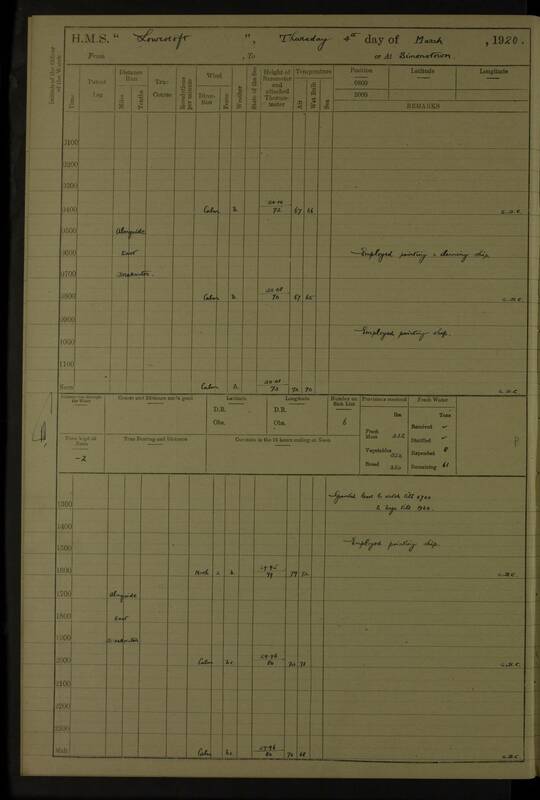 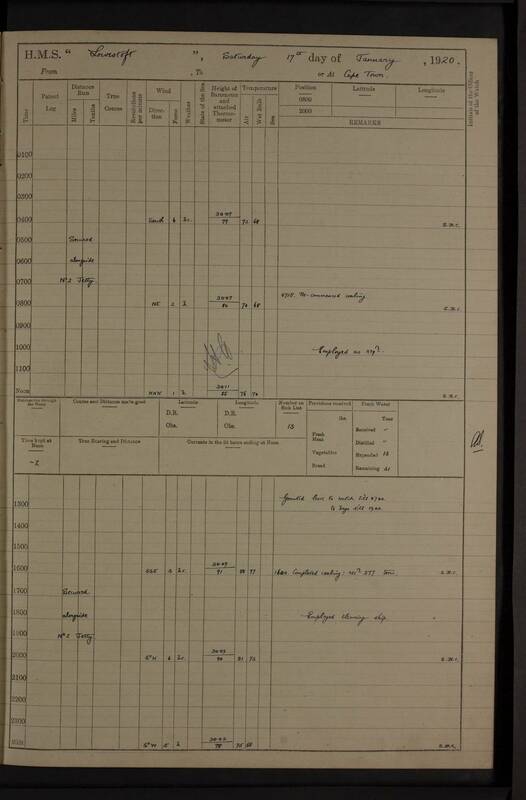 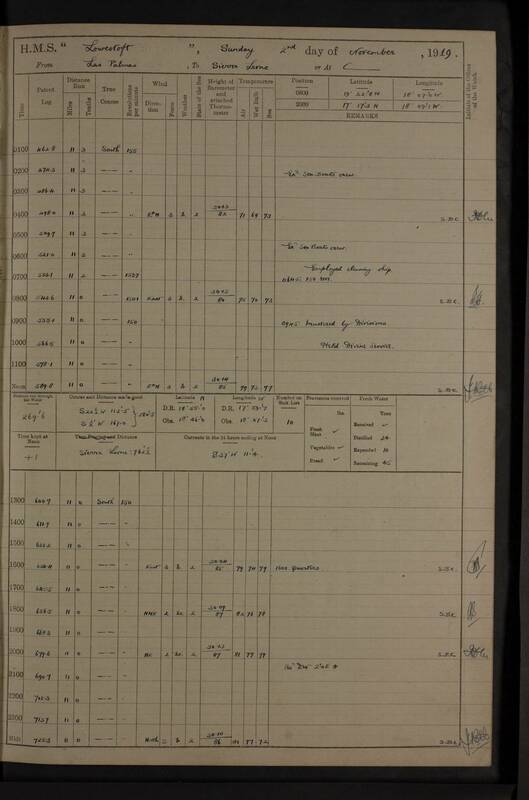 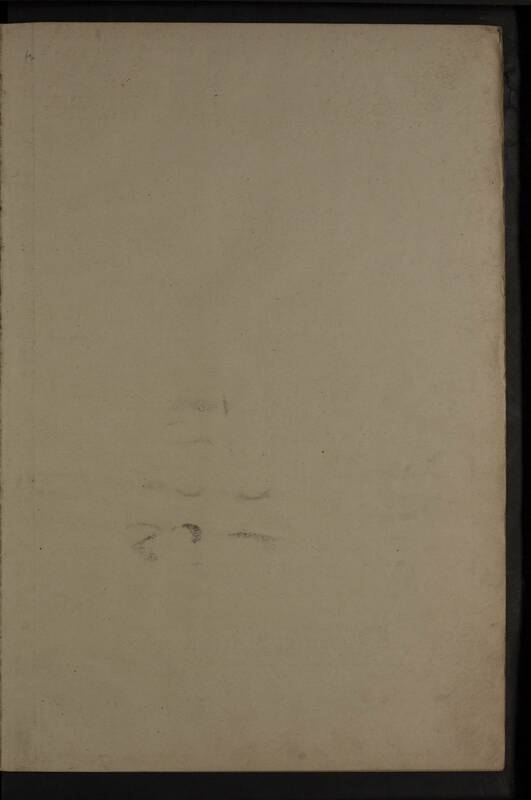 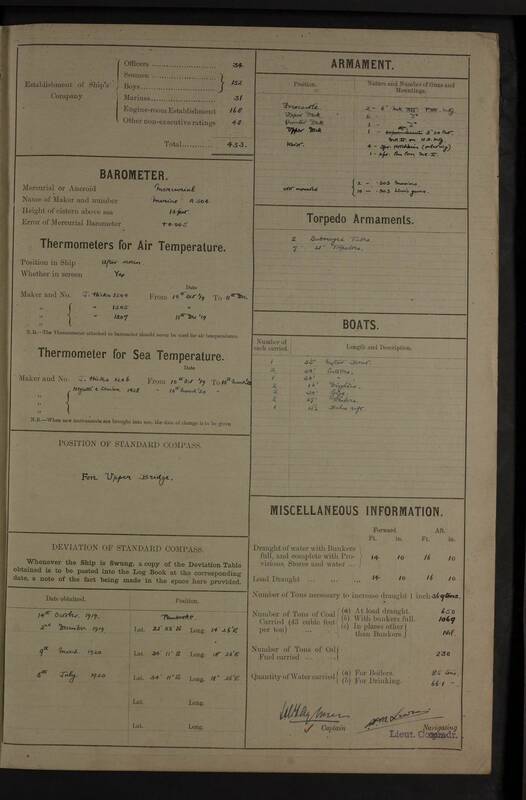 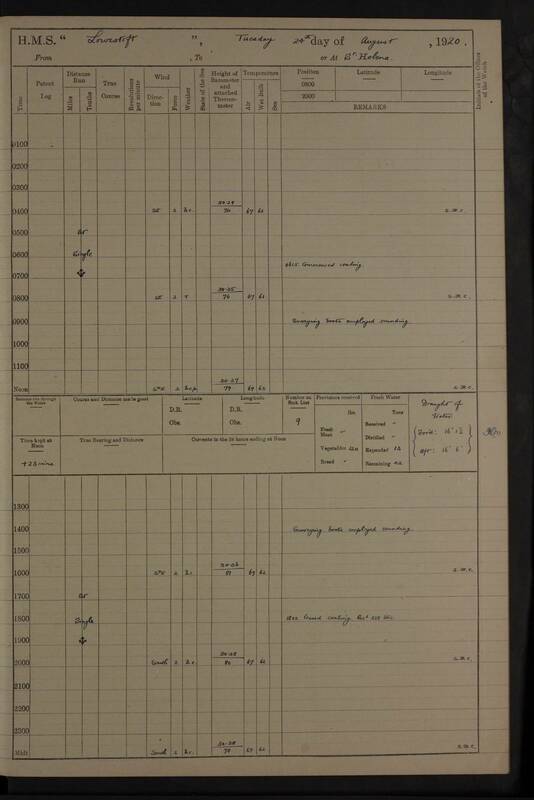 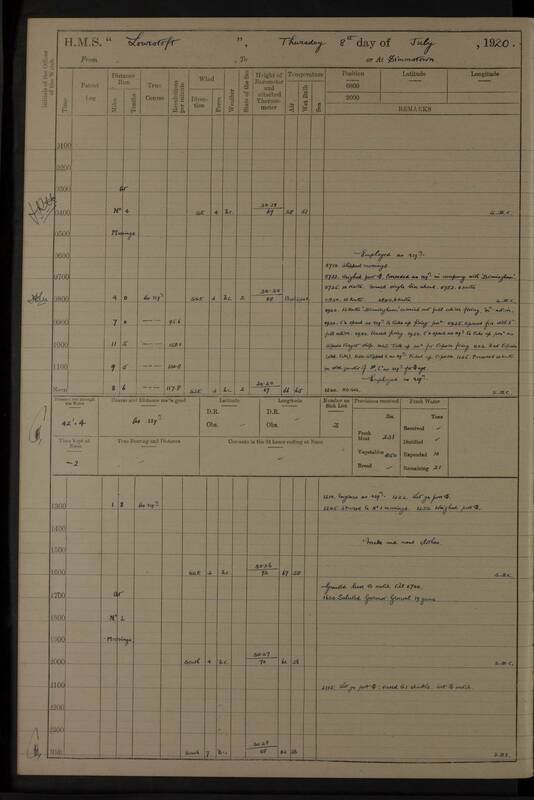 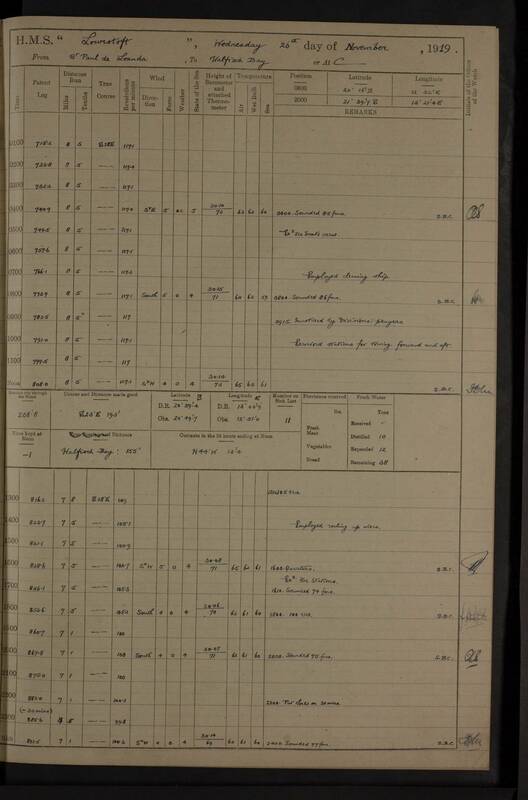 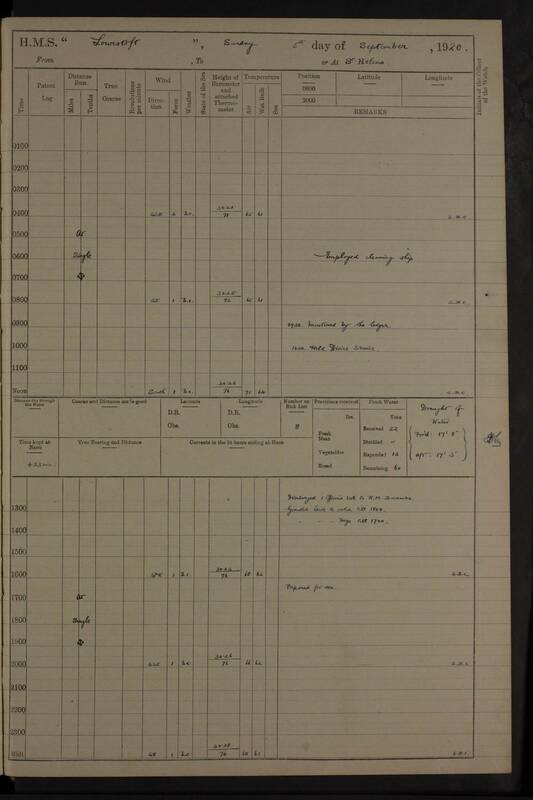 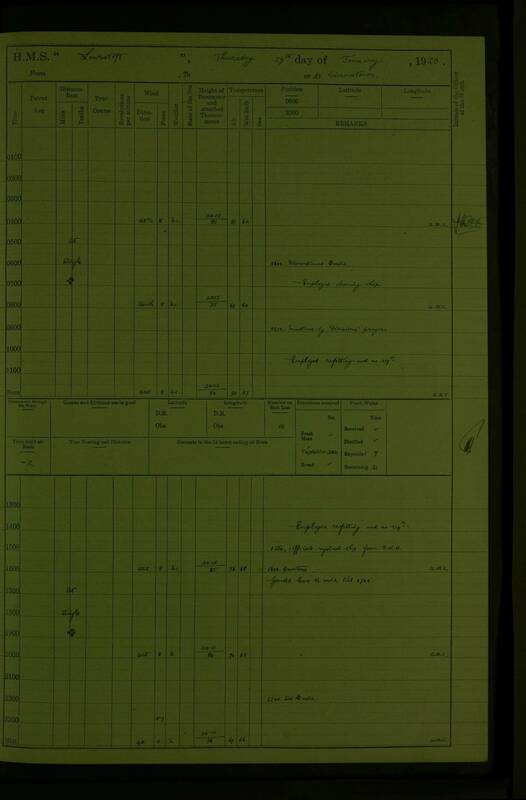 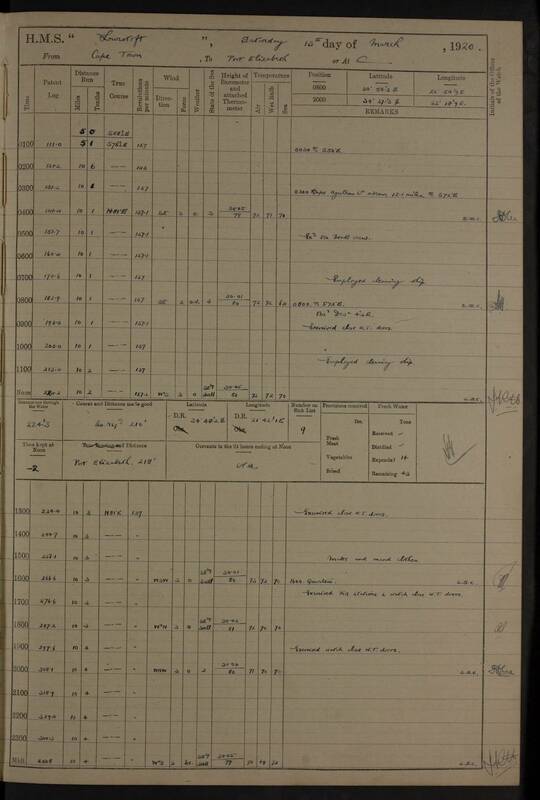 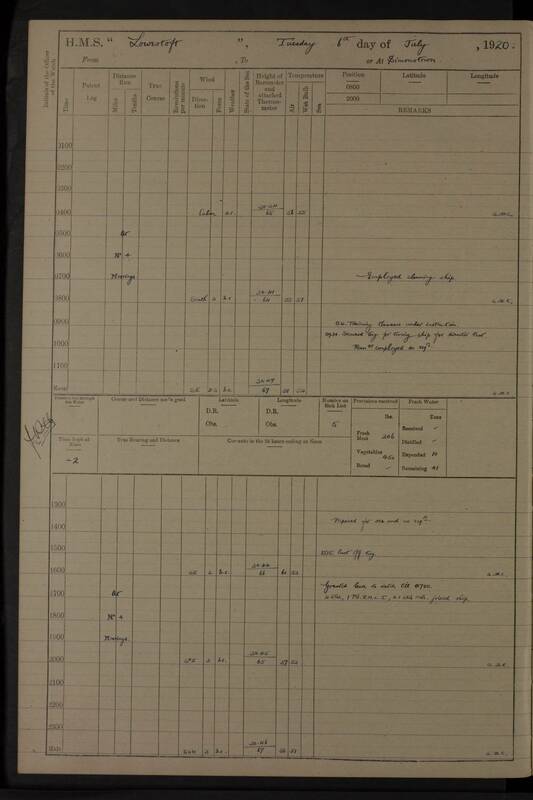 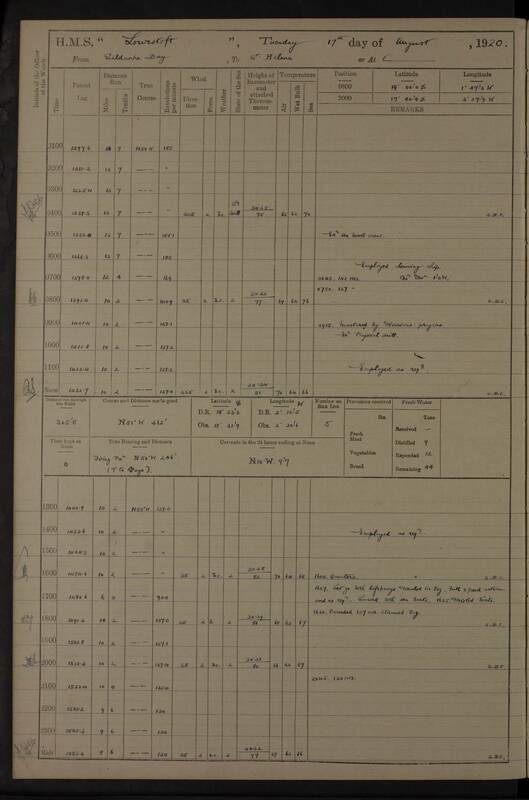 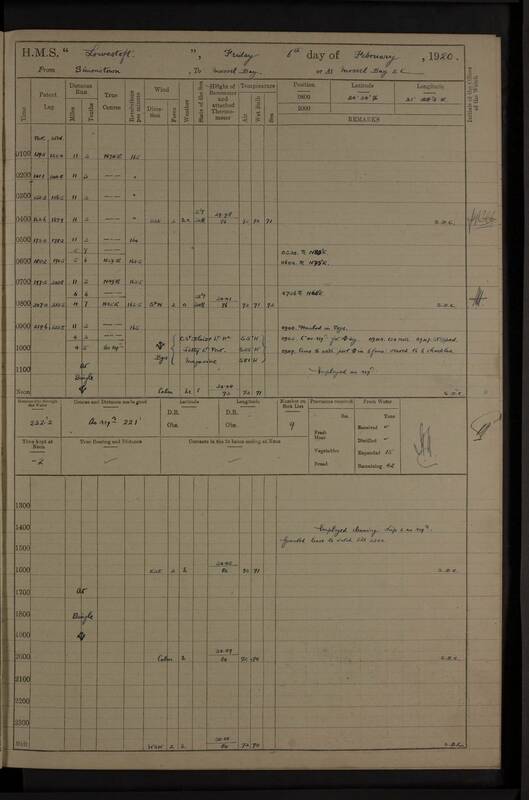 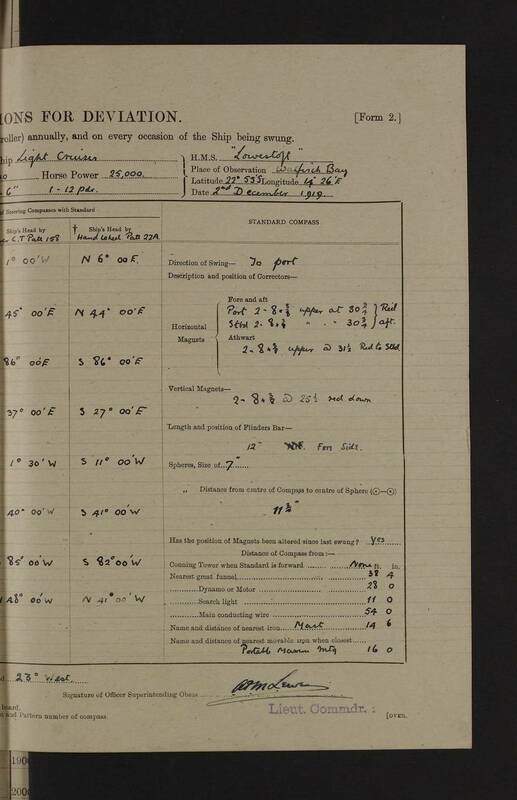 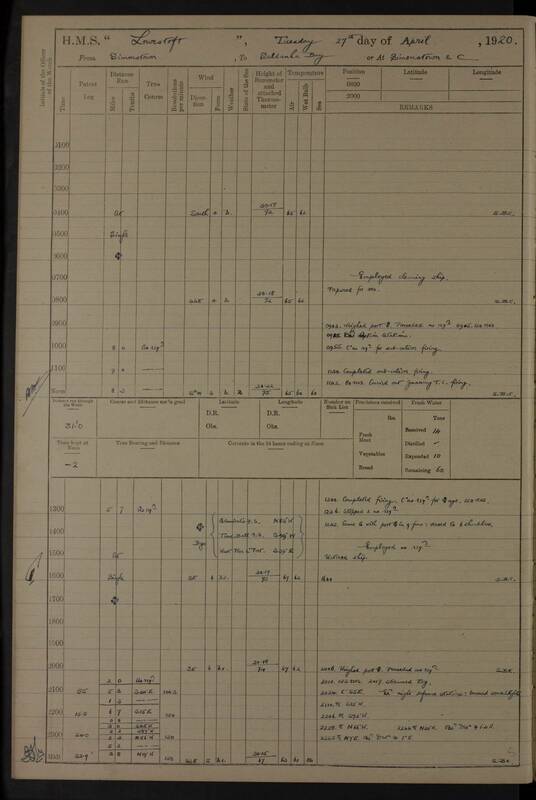 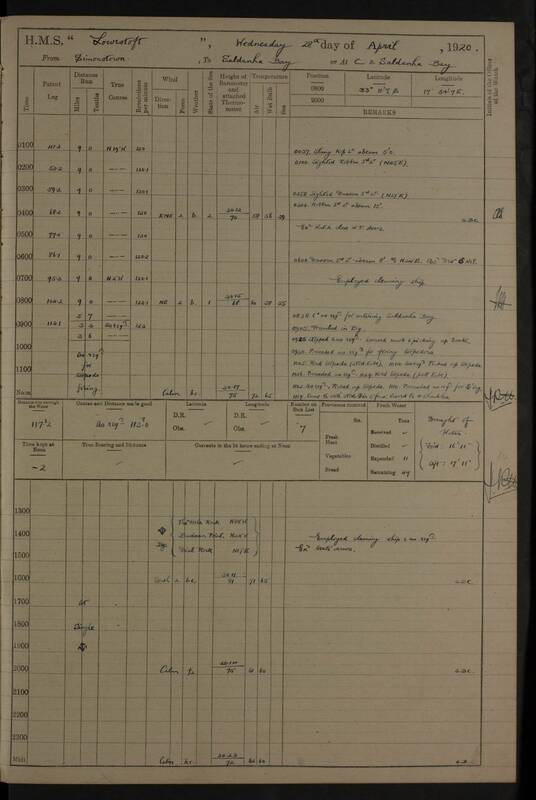 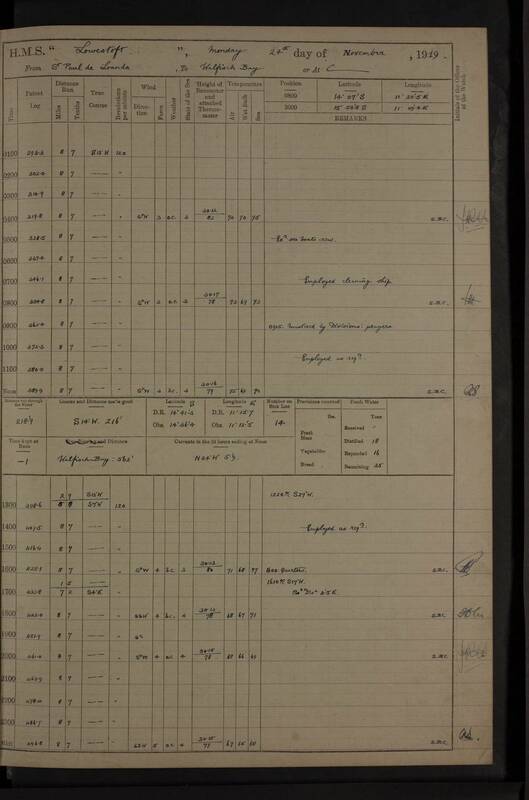 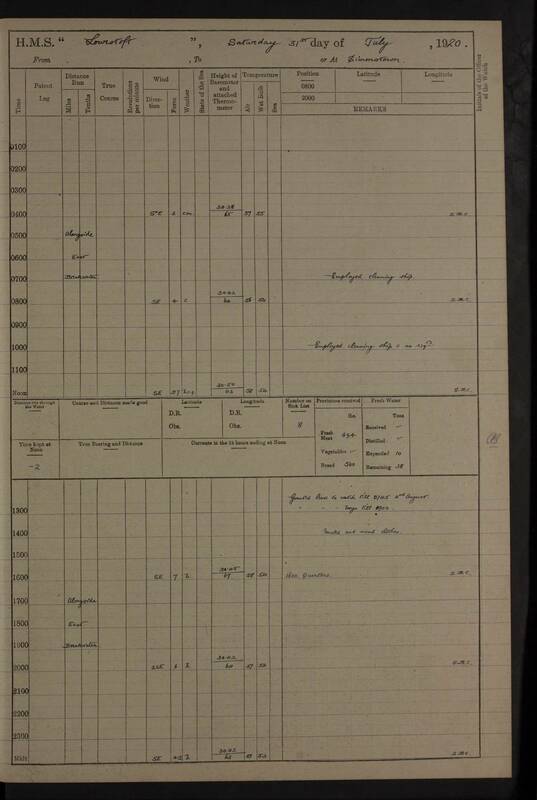 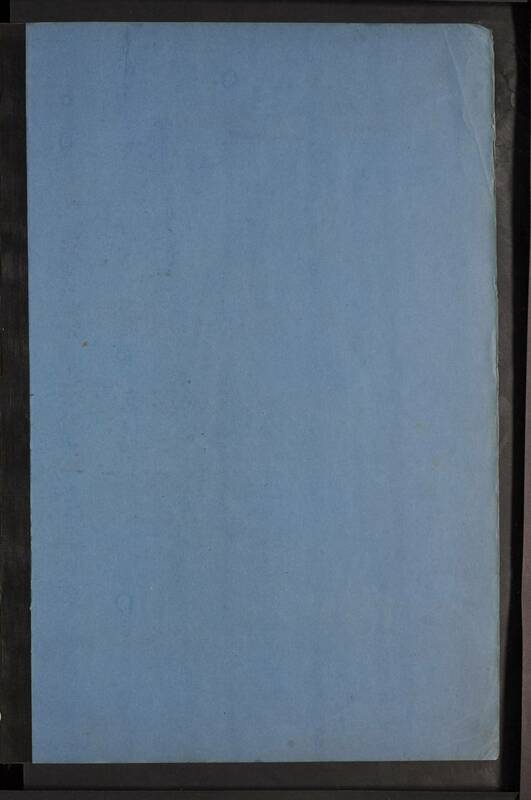 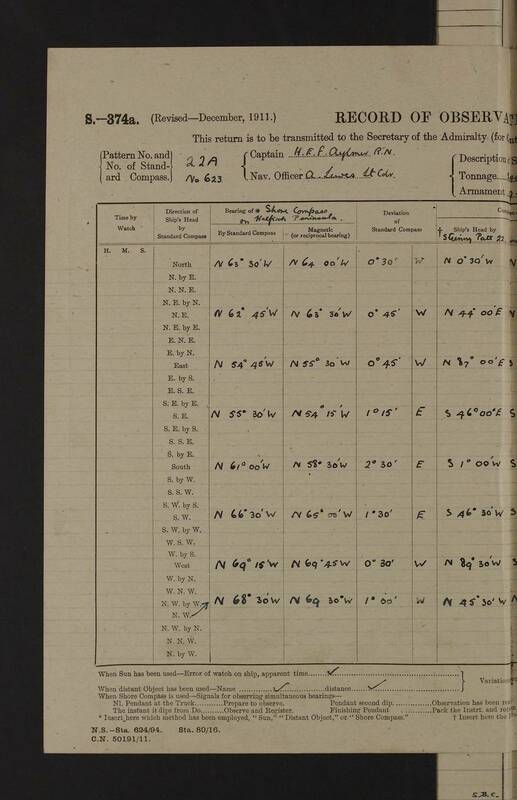 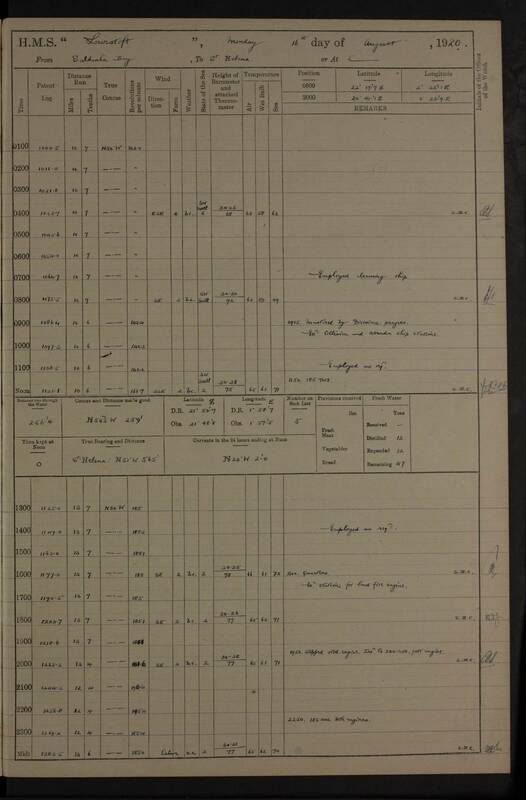 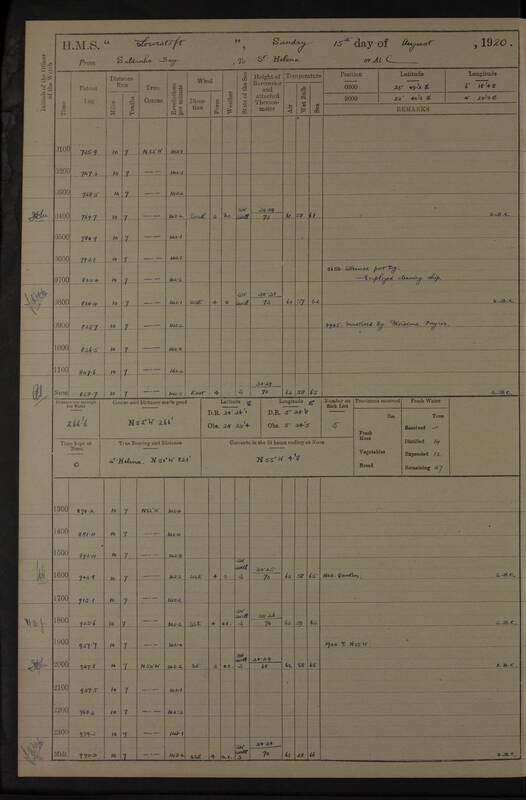 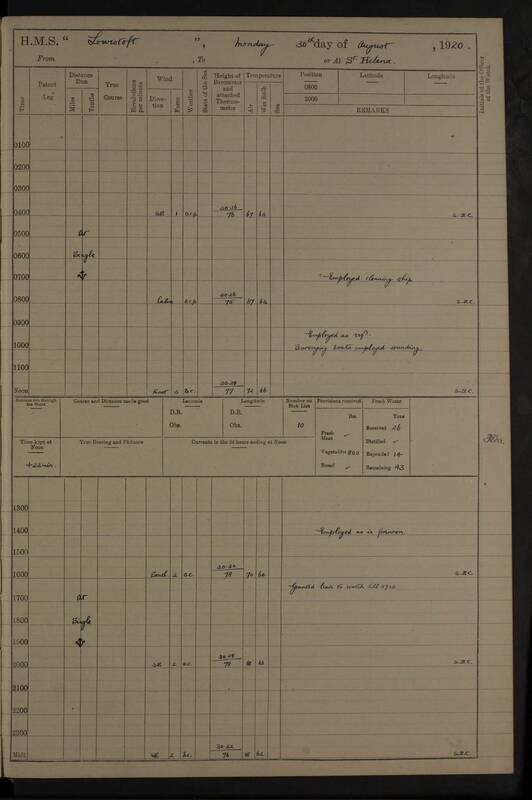 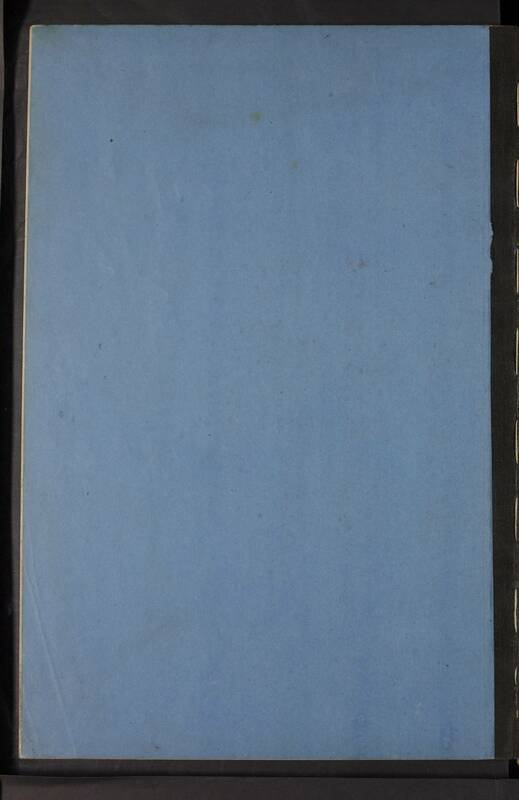 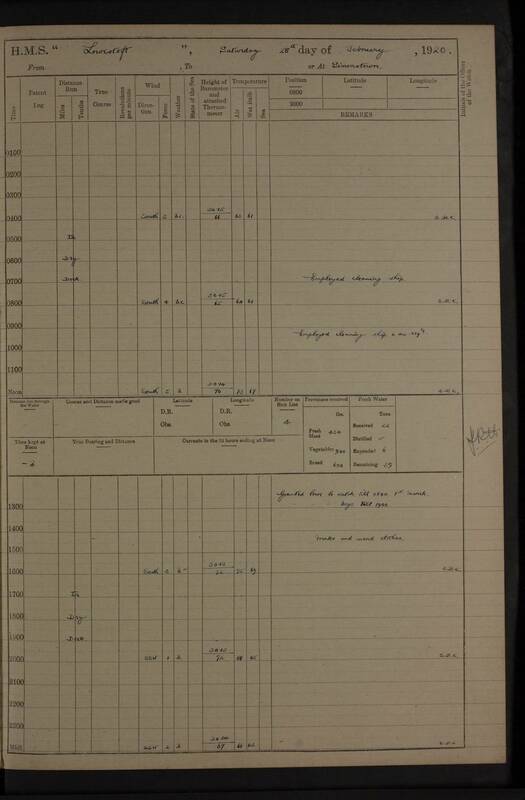 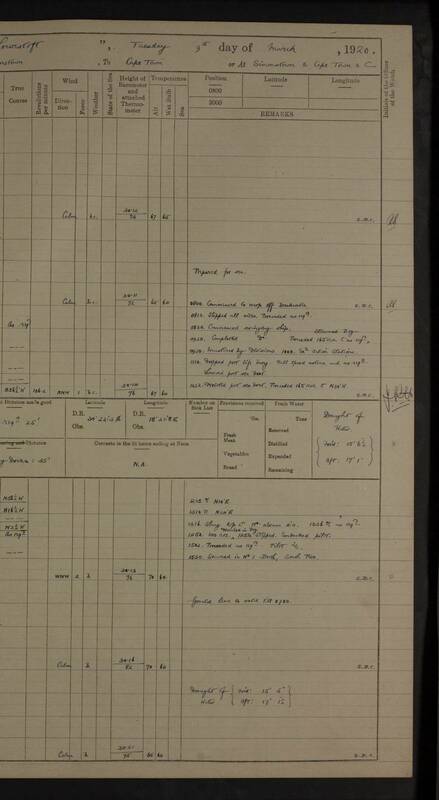 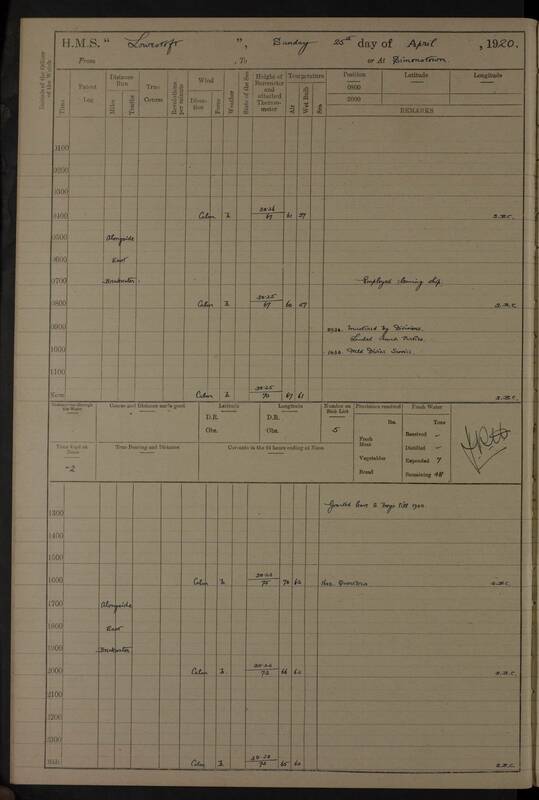 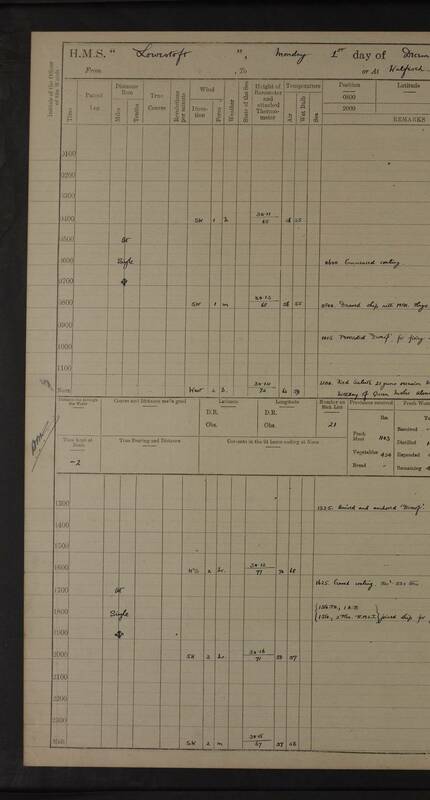 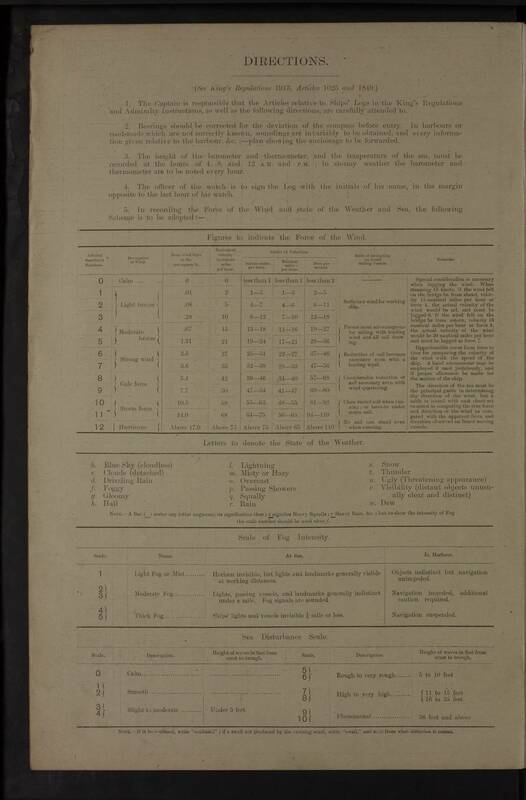 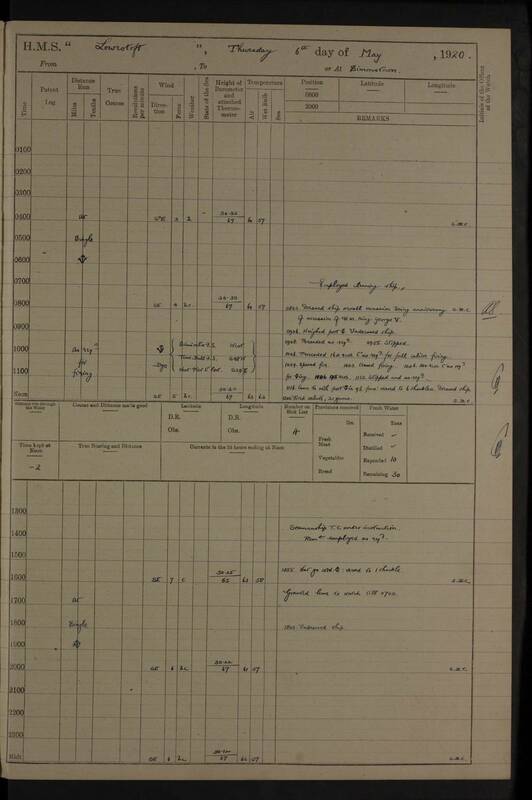 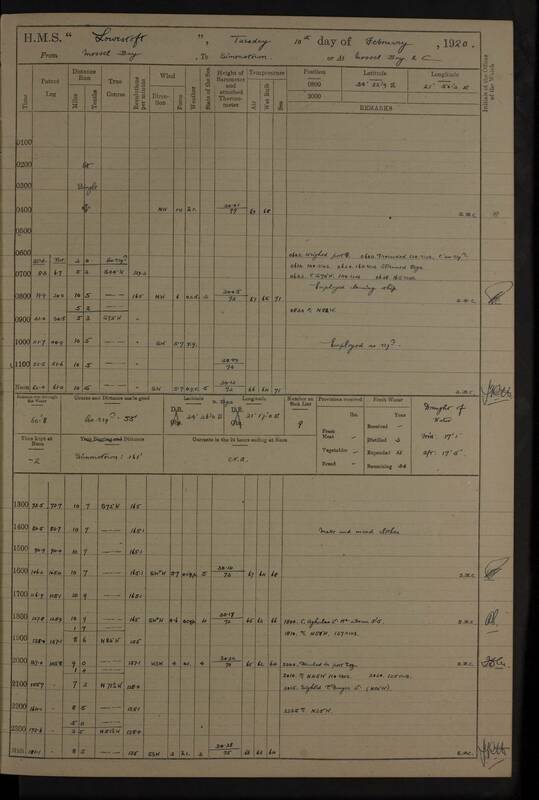 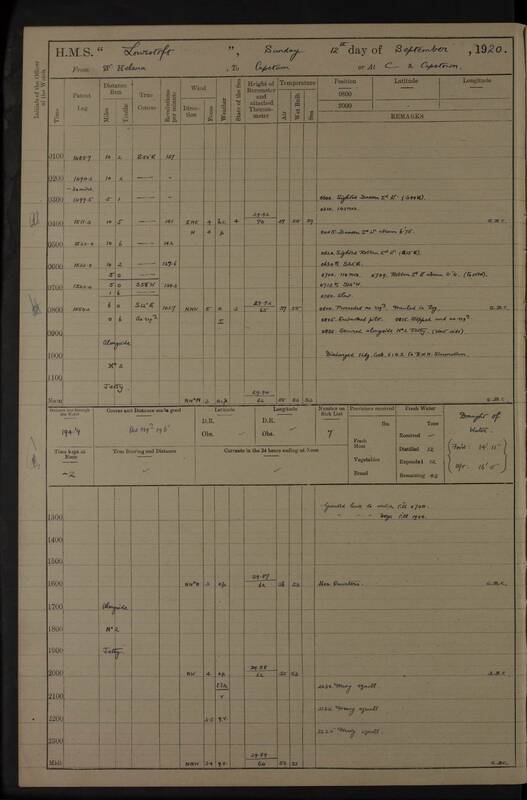 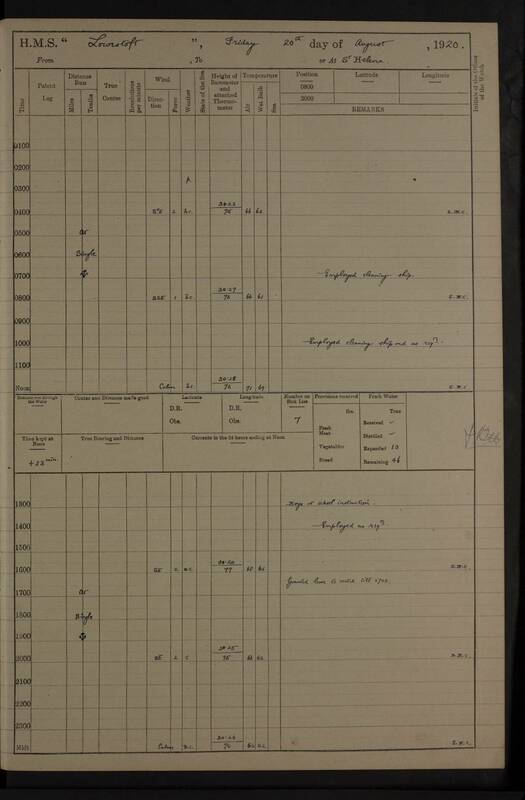 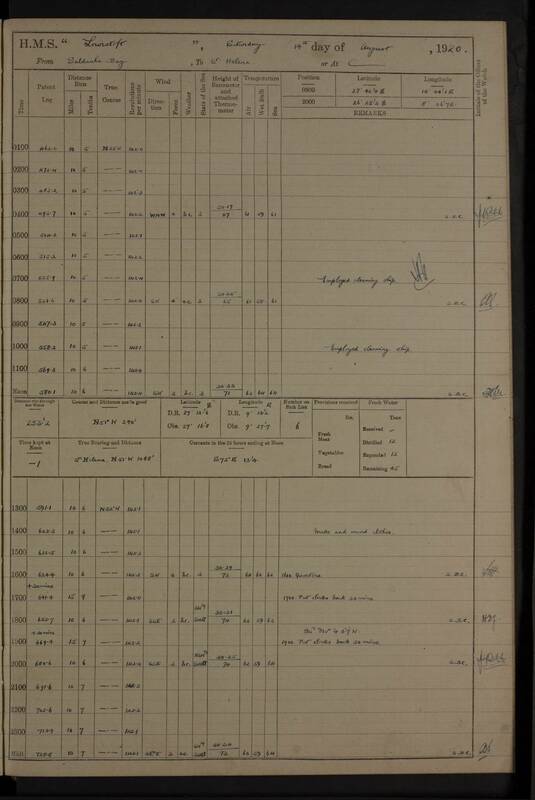 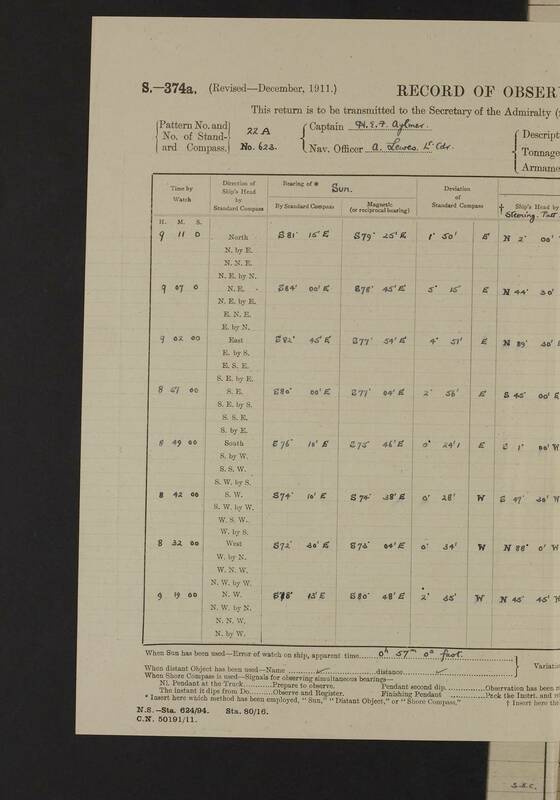 Sub Lieutenant AR Prendergast RN neglected his duty, after being warned, in not informing me of falling barometer and rising wind during night of 14th-15th June.